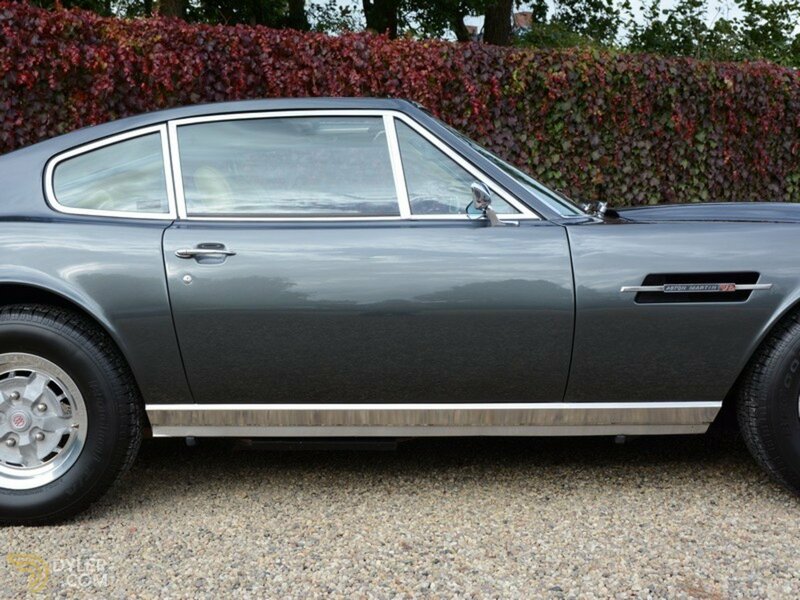 Extremely beautiful V8 Aston Martin. 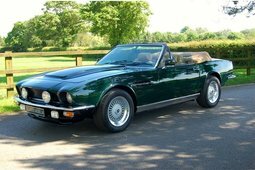 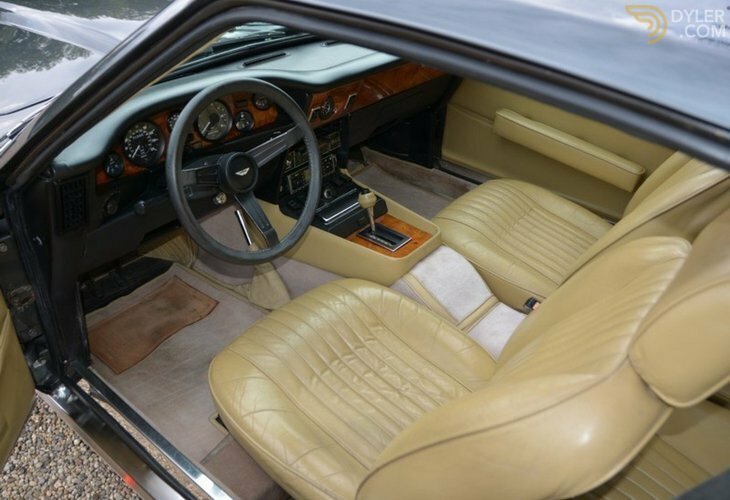 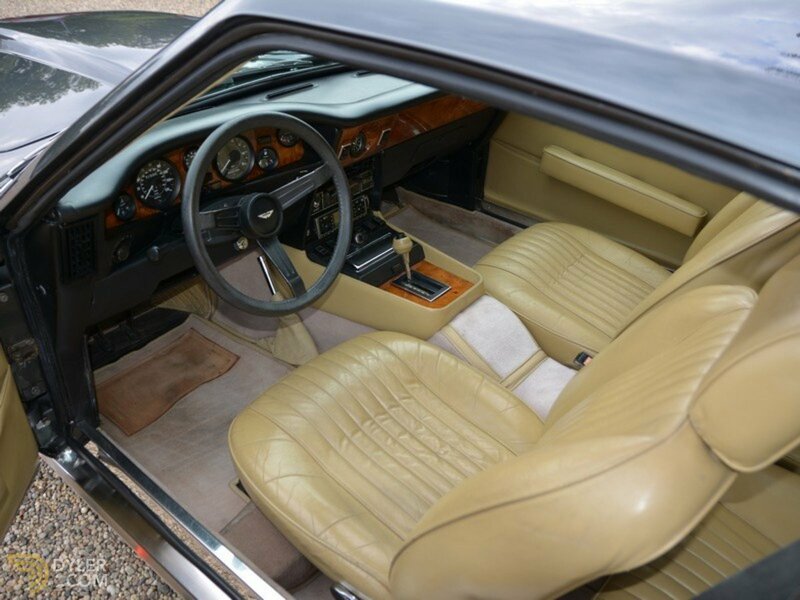 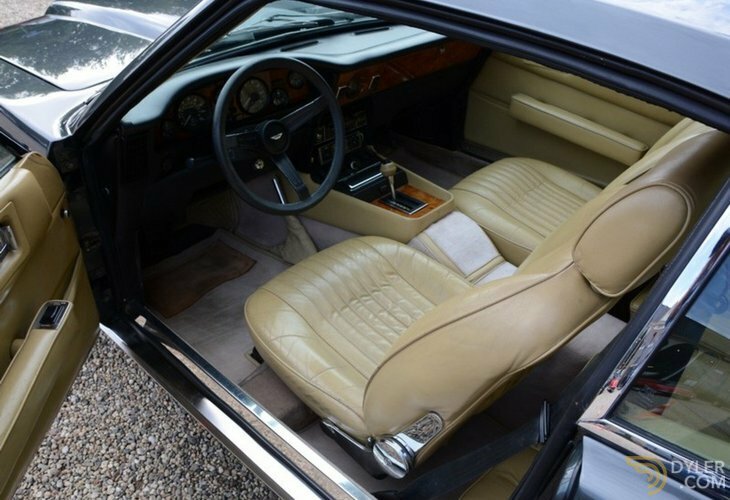 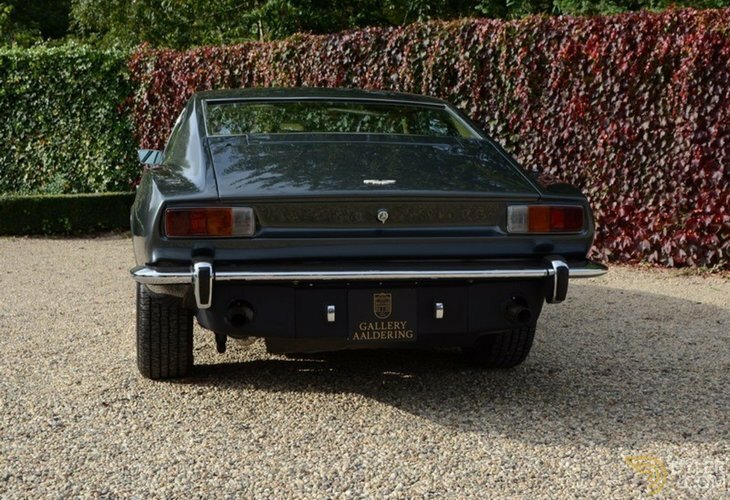 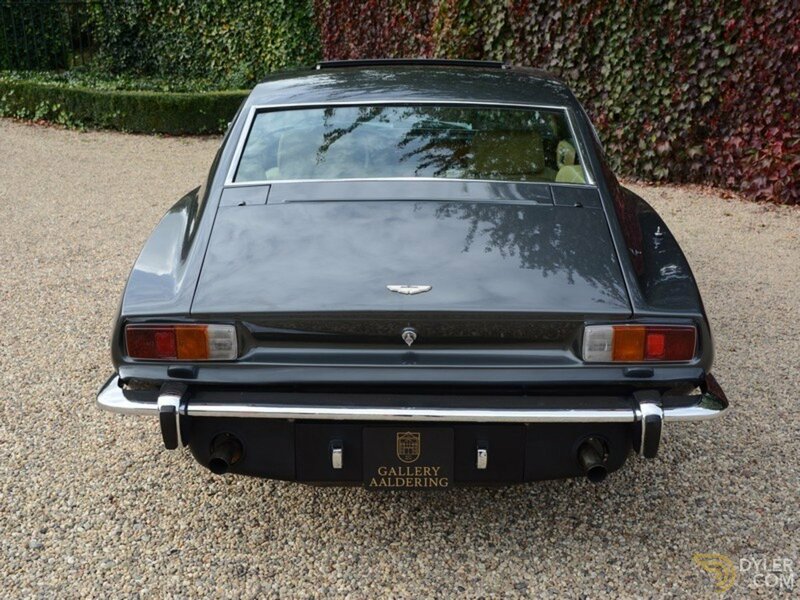 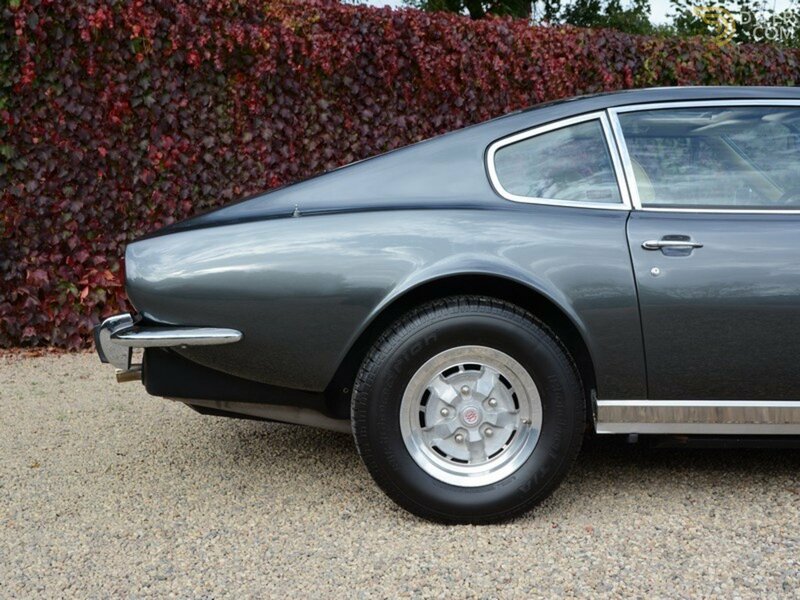 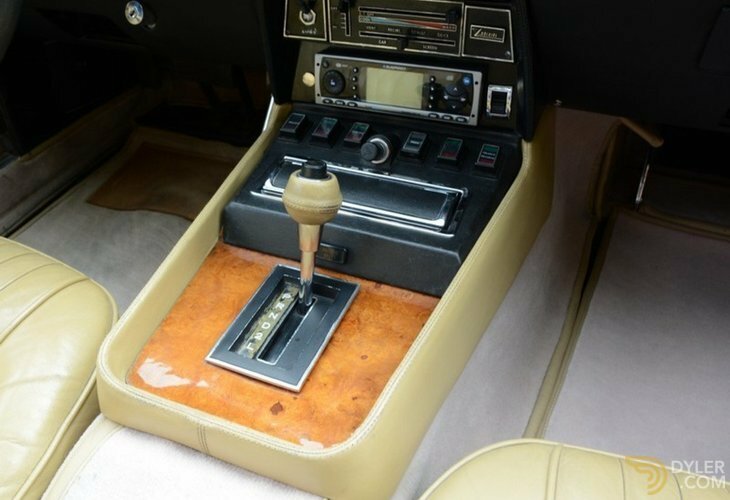 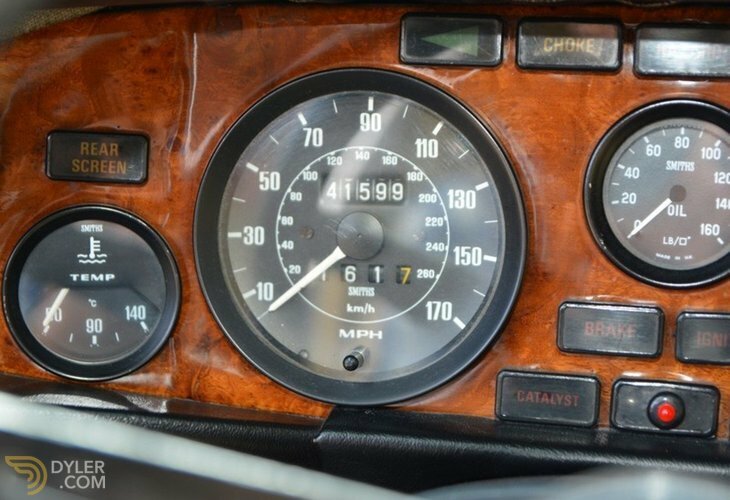 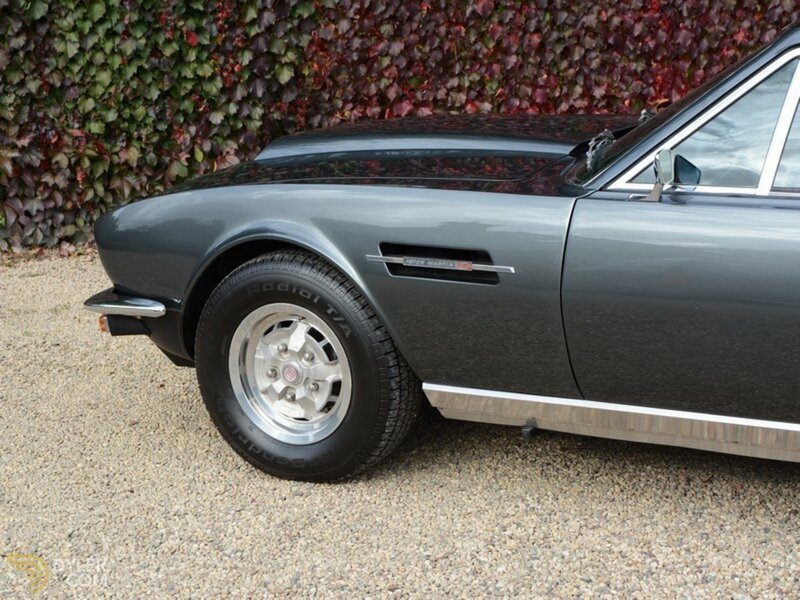 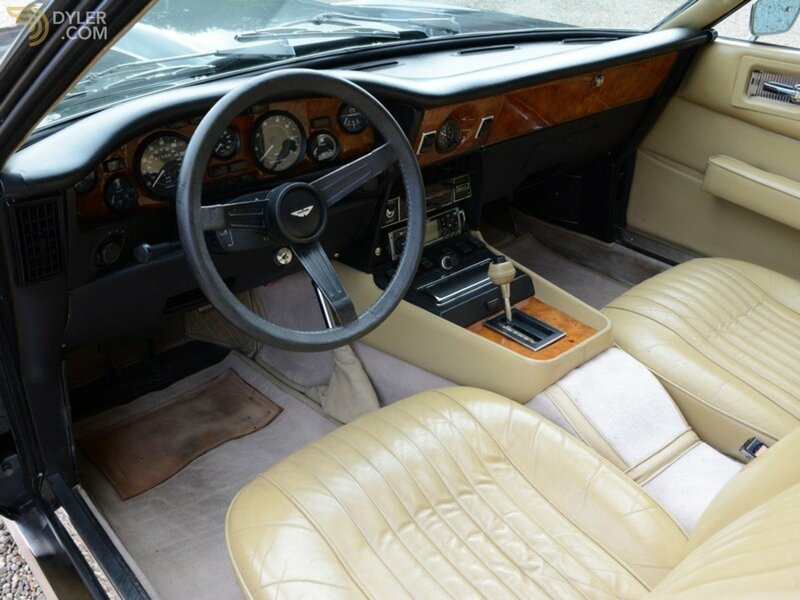 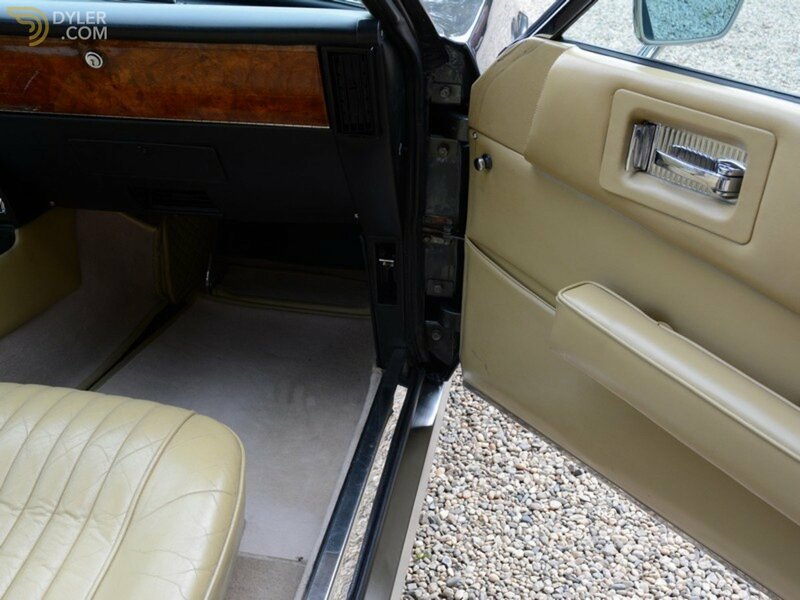 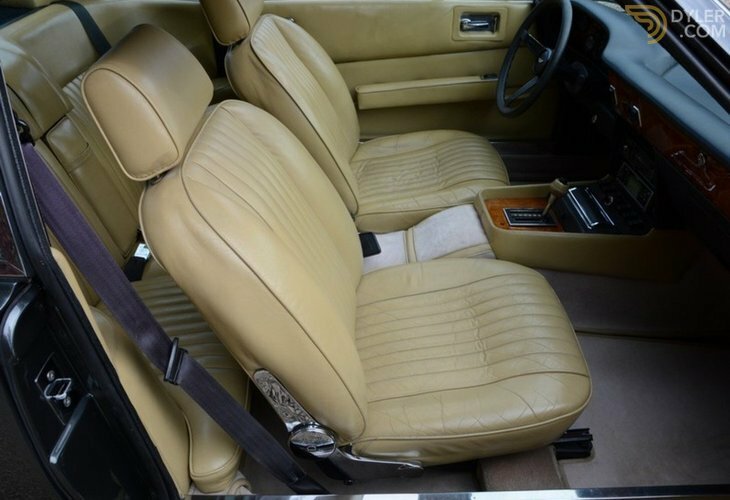 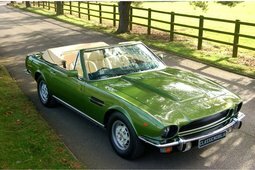 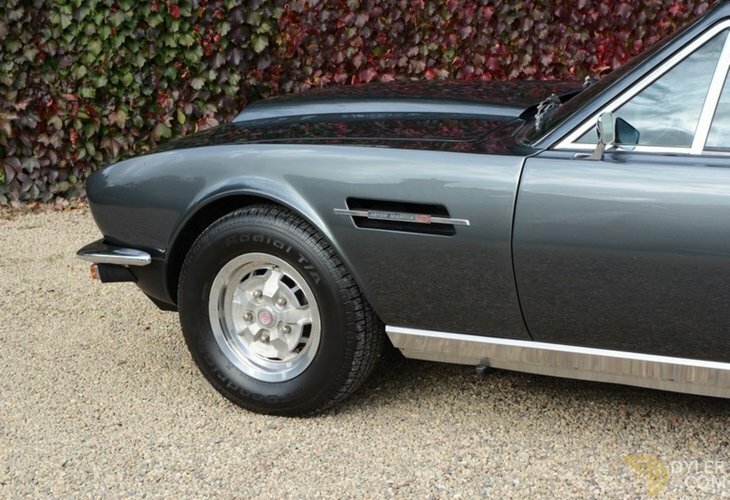 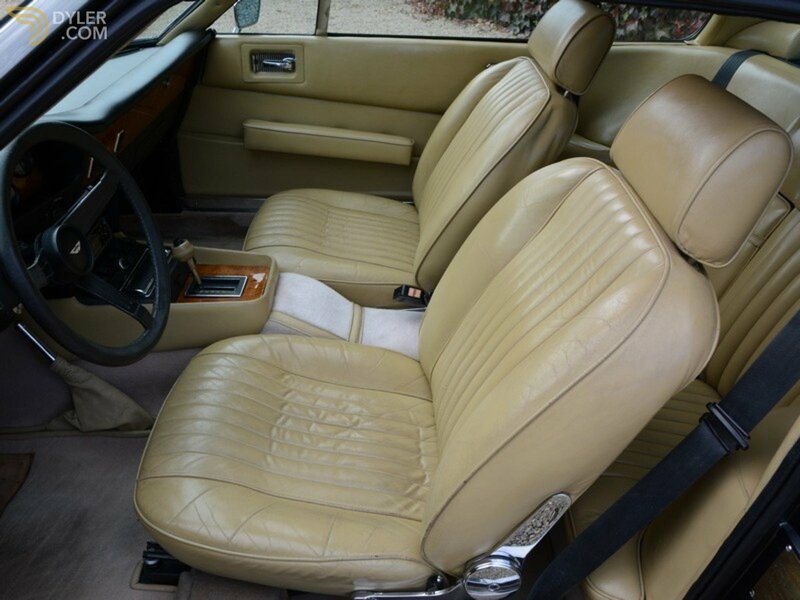 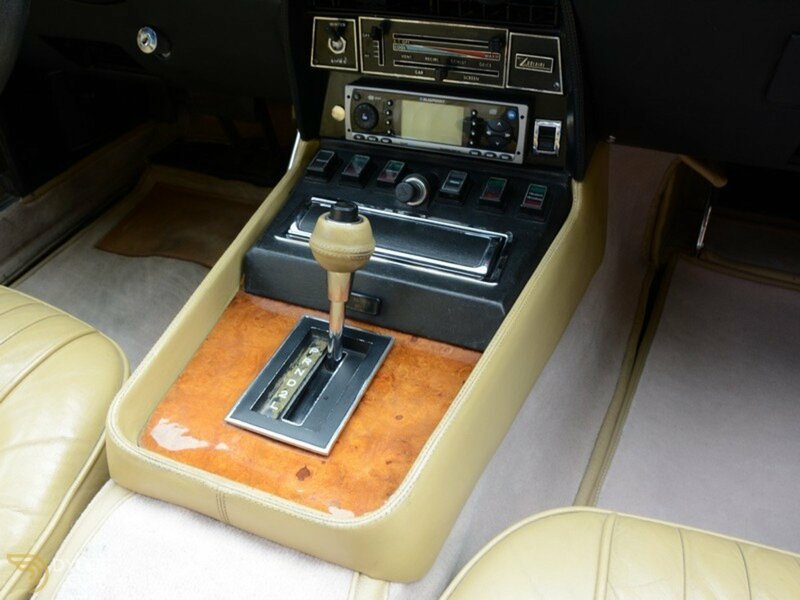 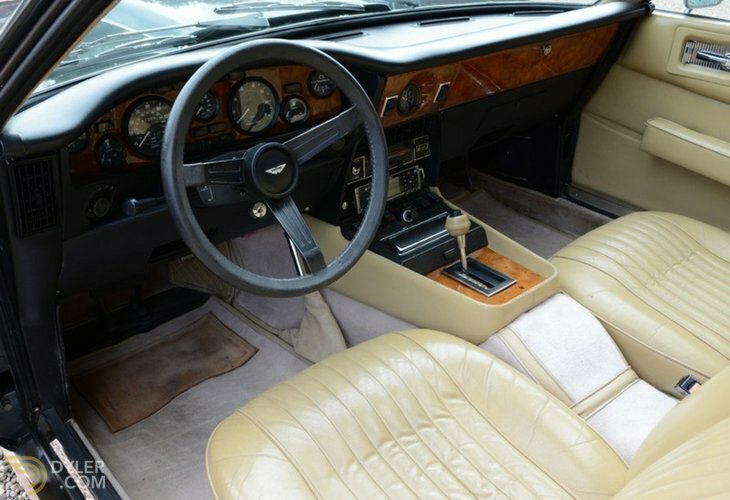 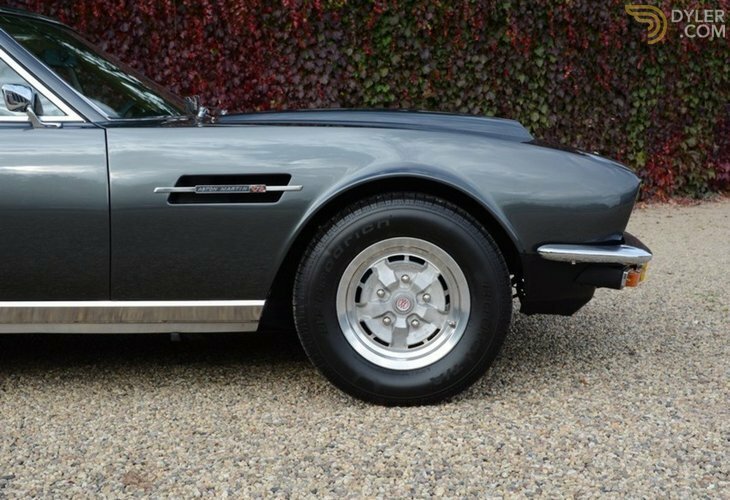 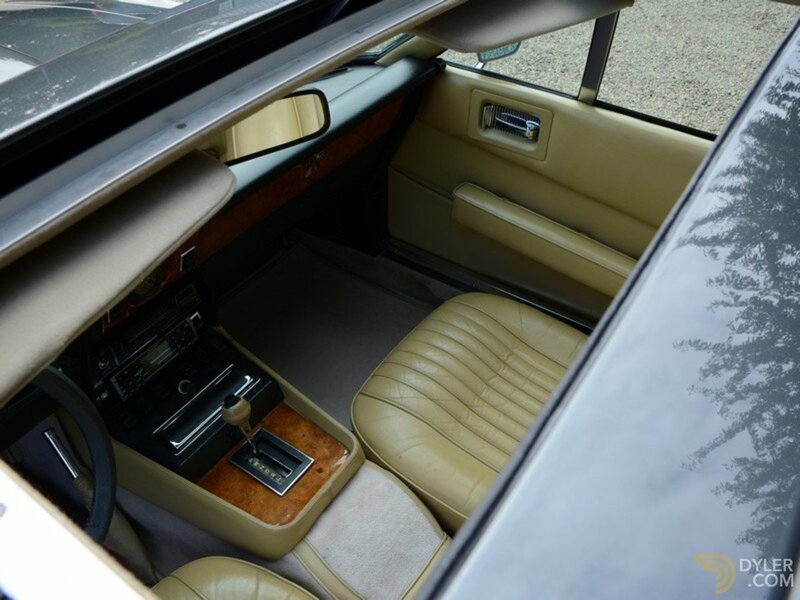 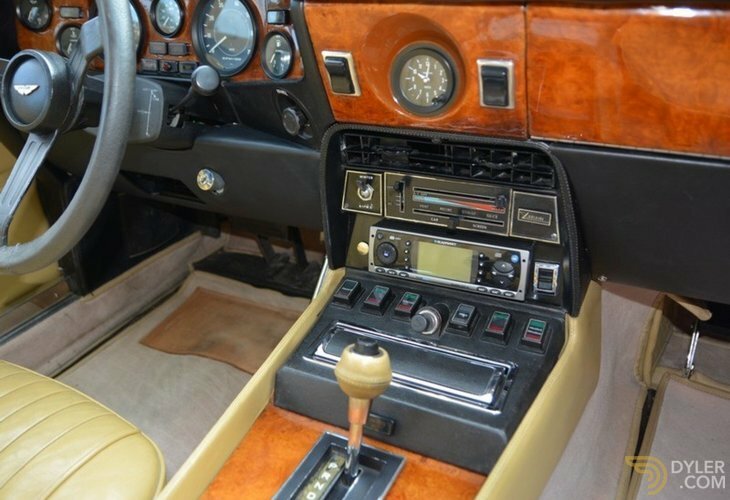 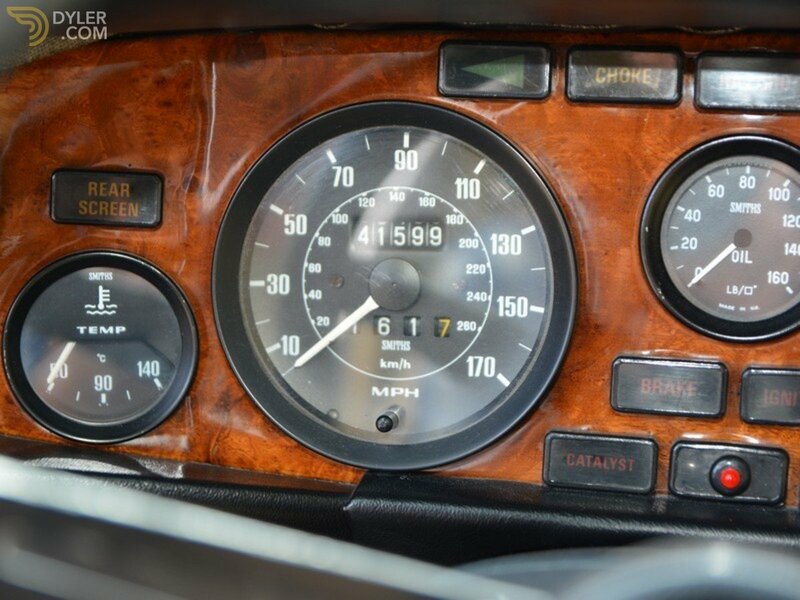 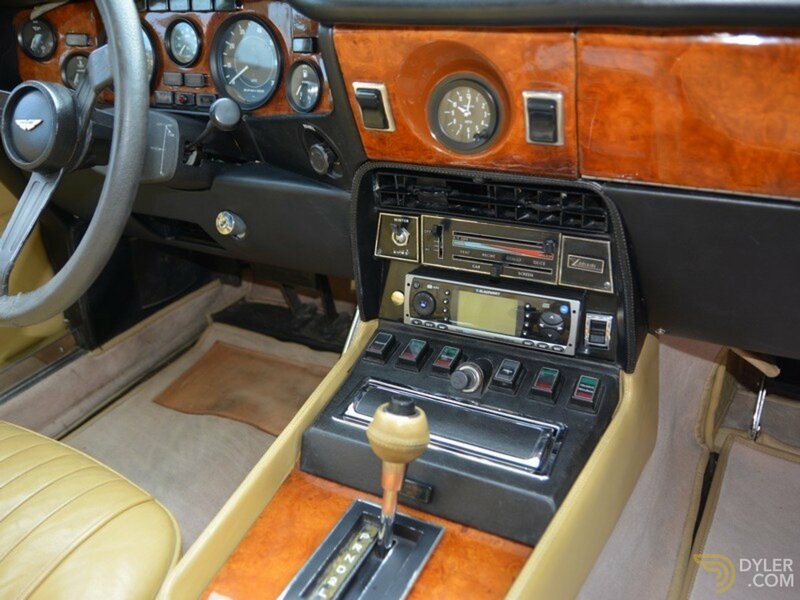 Built 8th July 1977, shipped over to AML Inc. in the States on 13th July 1977 and arrived at the Aston Martin dealership in Nevada in the fall of that year. 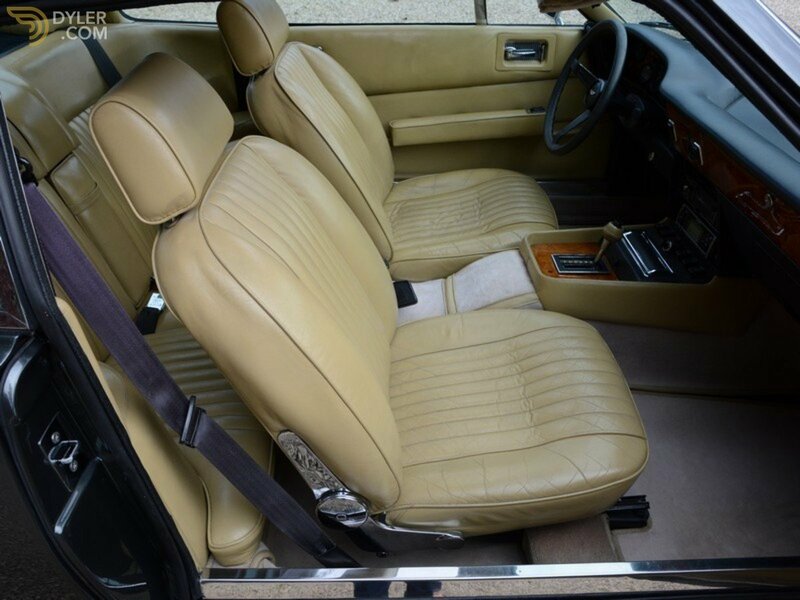 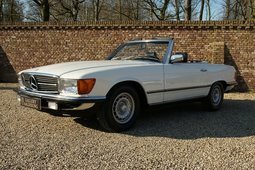 The first owner, a Mr. Keith, bought this car for his wife in 1979 as a present. 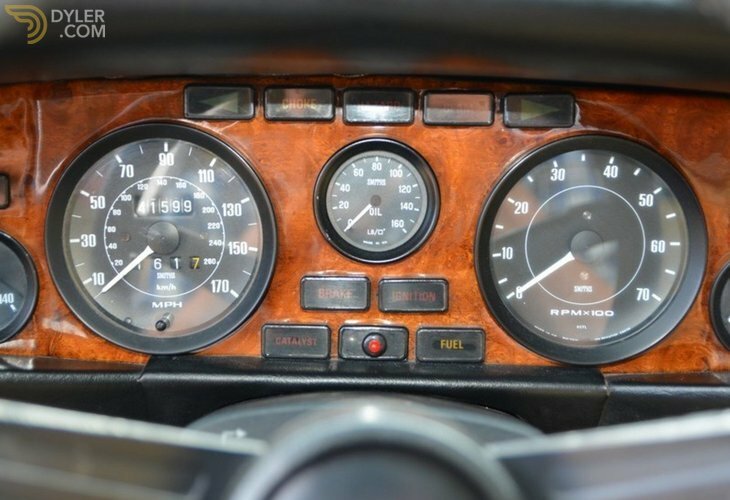 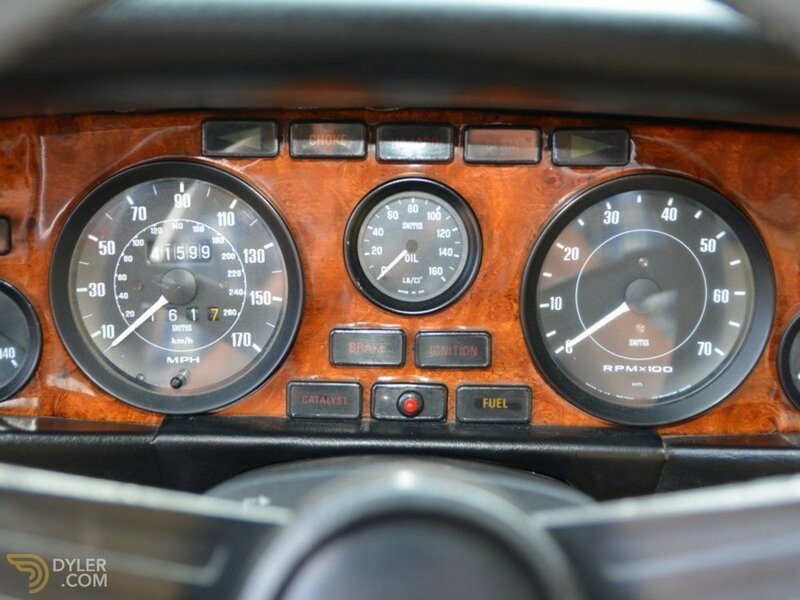 In 1997 at 102,255 miles, the engine was completely overhauled. 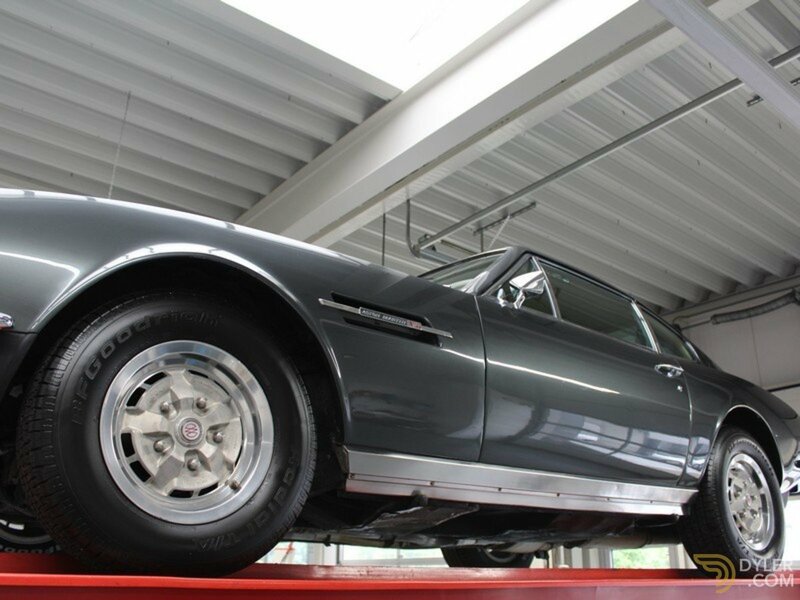 The car has always enjoyed specialist servicing. 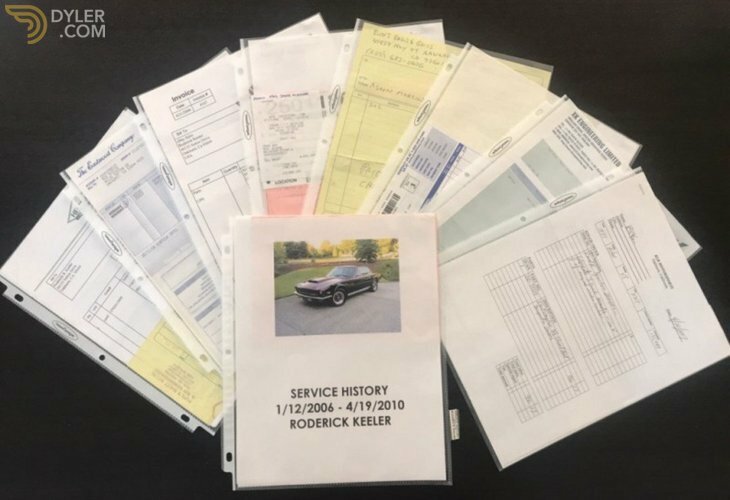 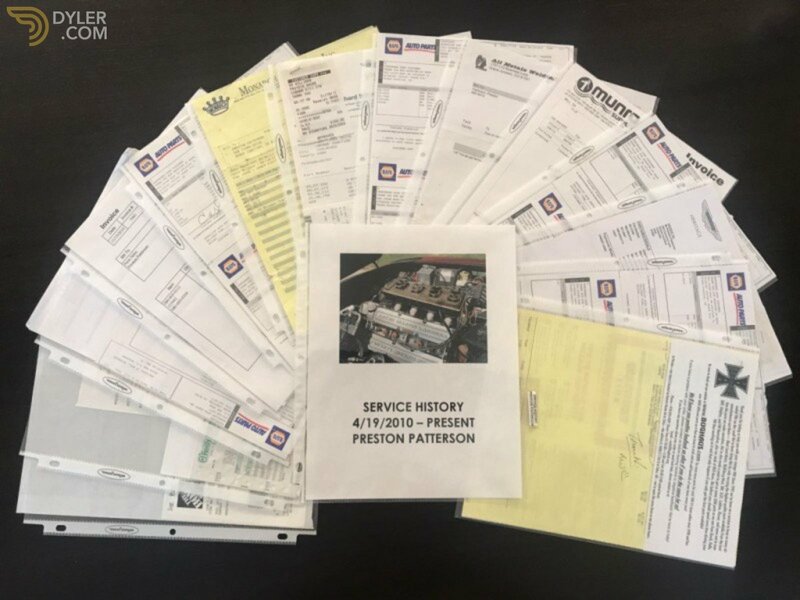 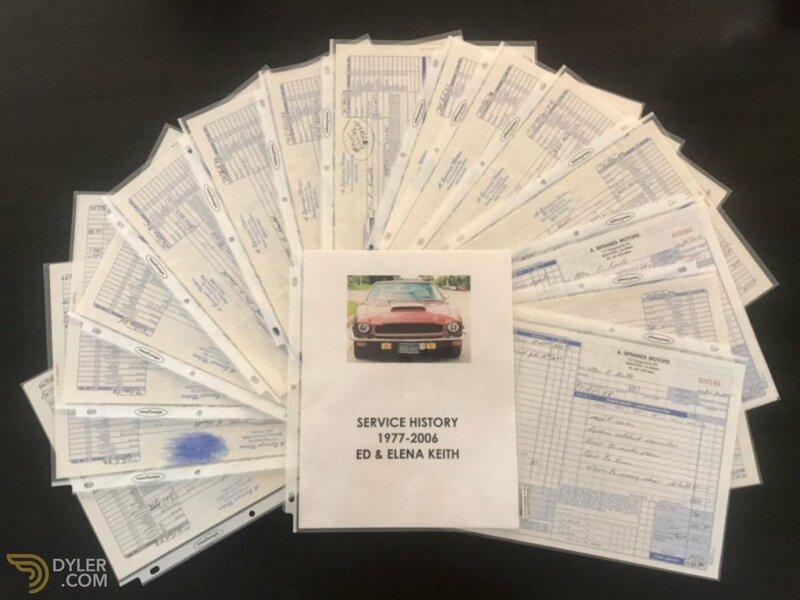 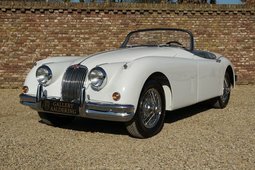 For more than 20 years the same specialist worked on the car! 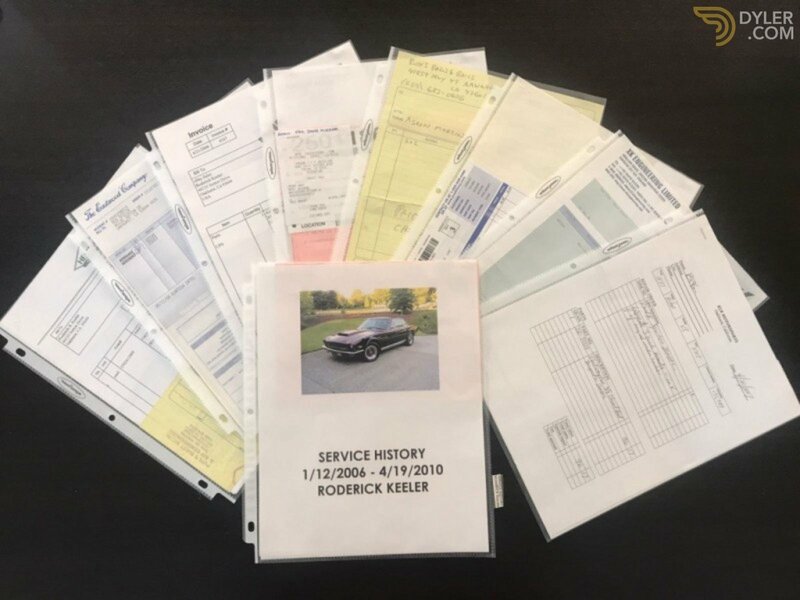 Everything has been meticulously documented, with photo`s and bills in abundance. 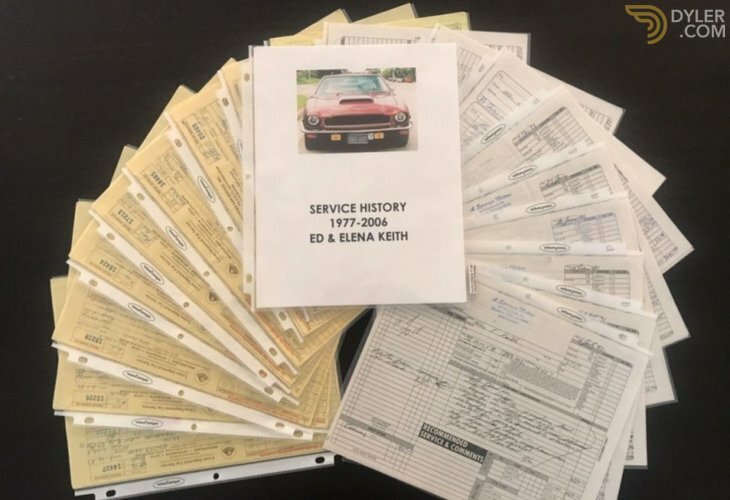 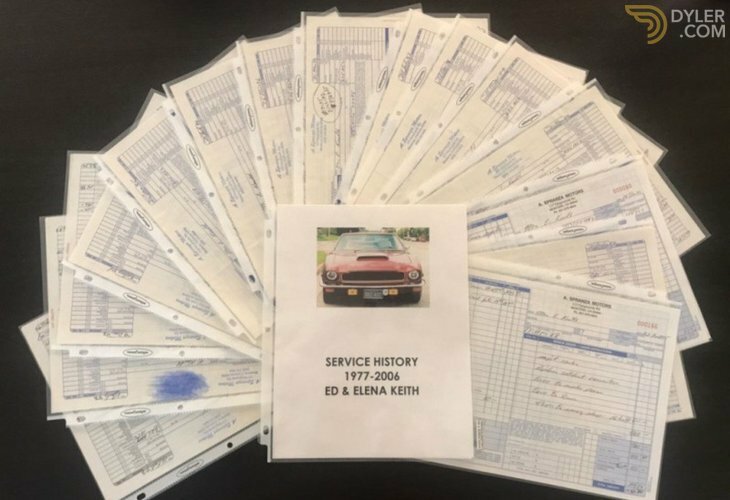 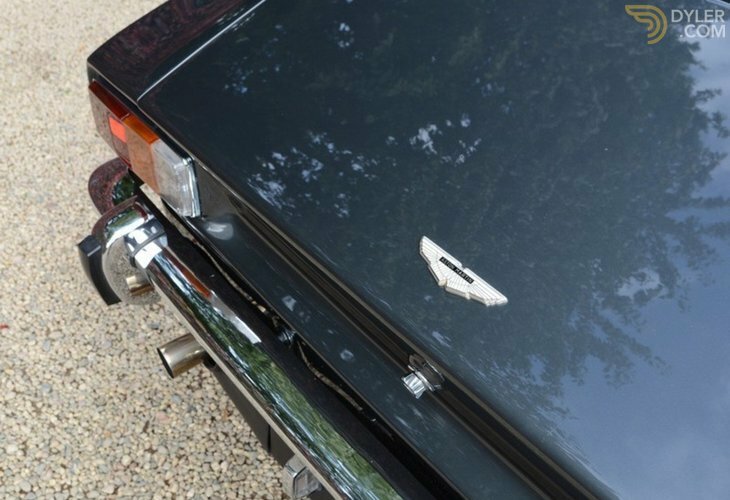 The Keith’s kept the car for more than 27 years. 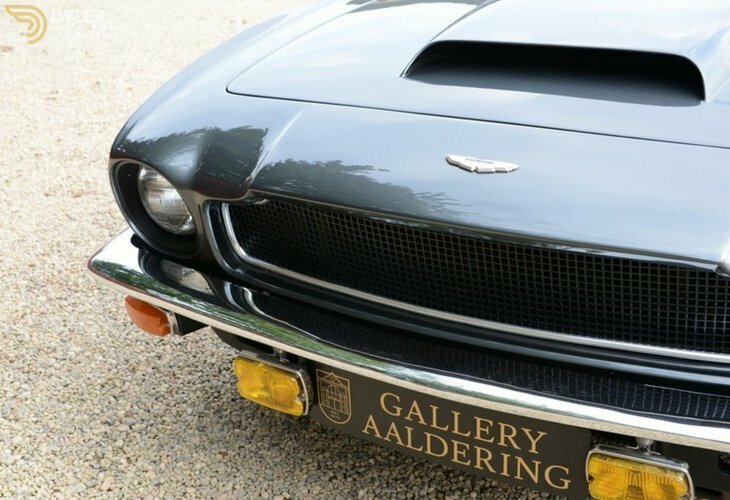 On 12th January 2006 the second owner, a Mr. Keeler, took possession. 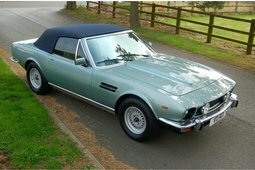 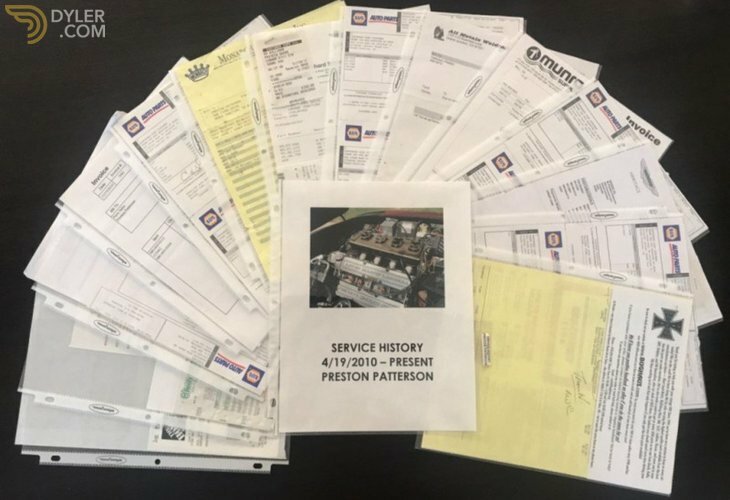 After 4 years he sold the car, to the last owner, a Mr. Petterson, on the 19th April 2010, when it had clocked up a total of 141,599 miles. 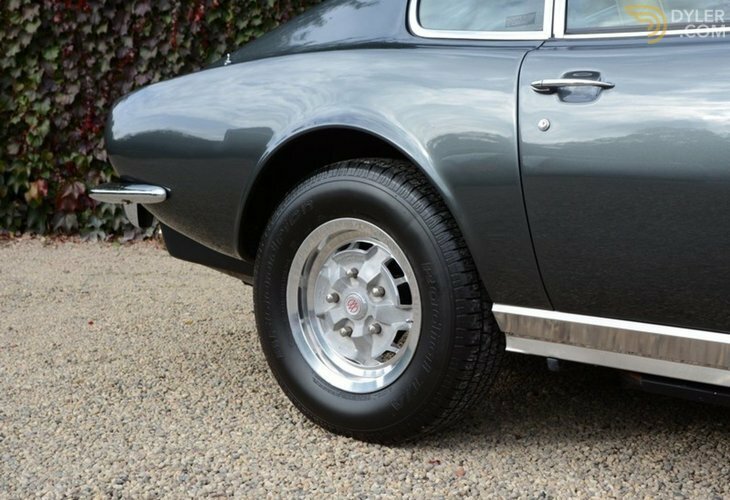 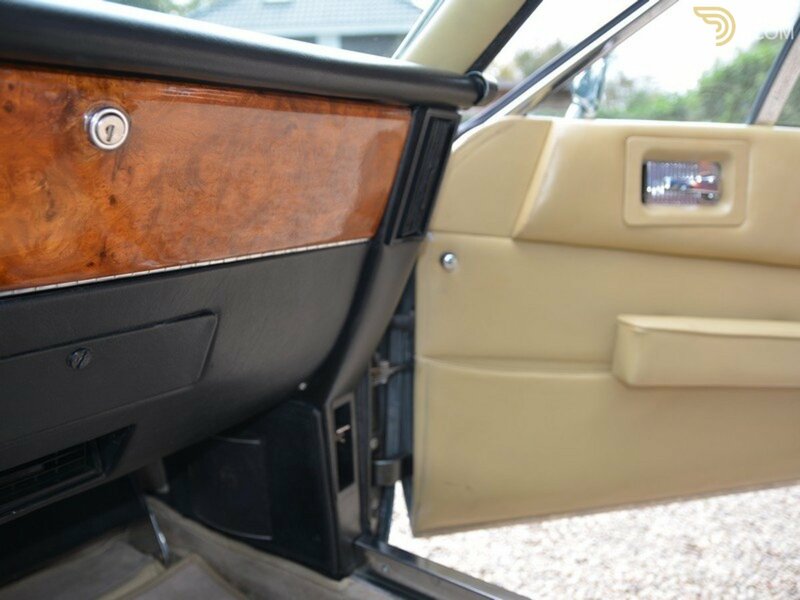 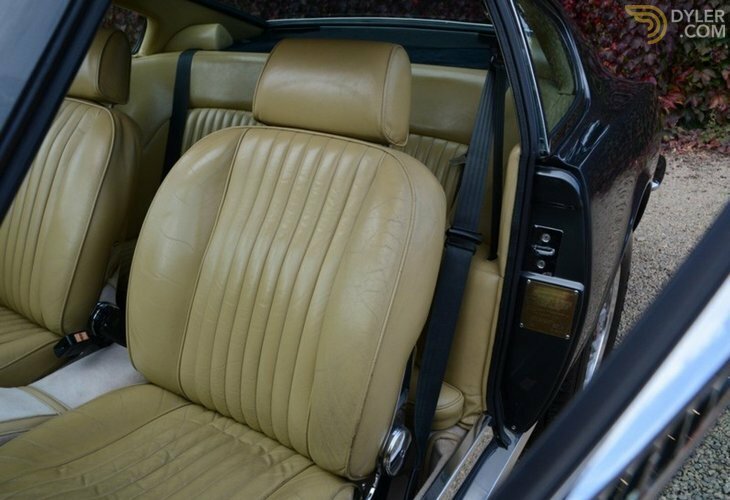 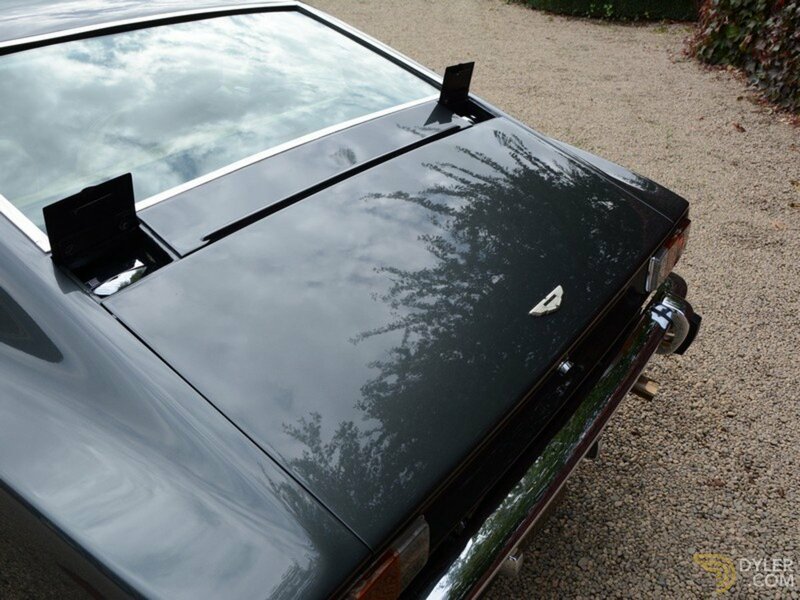 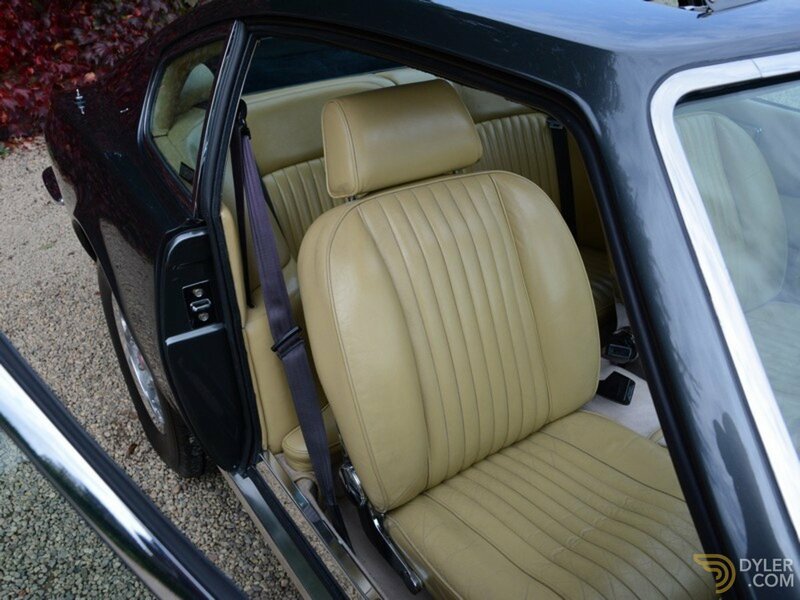 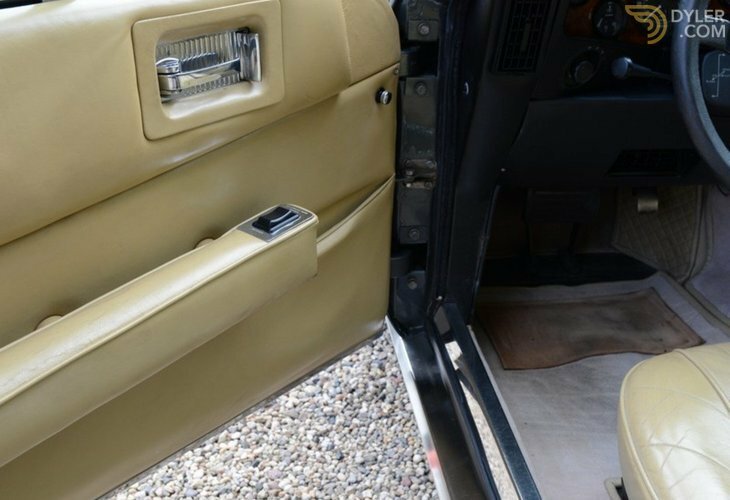 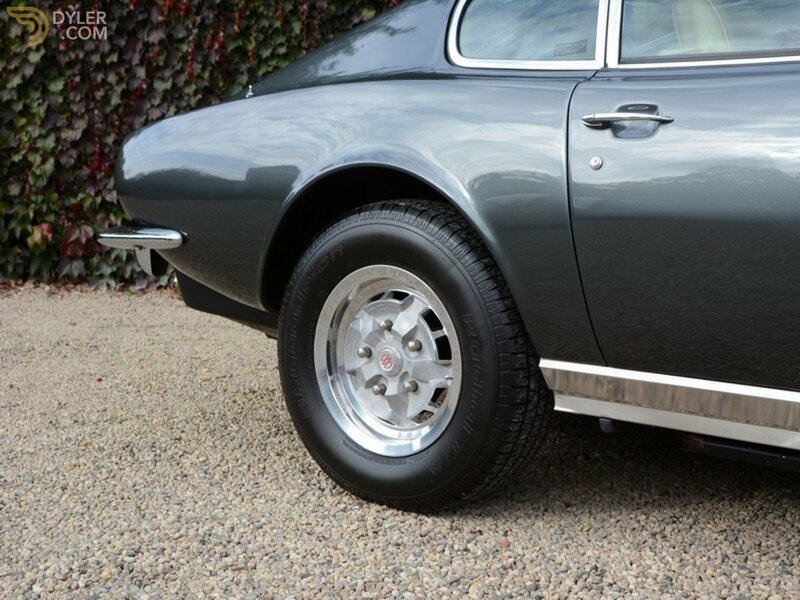 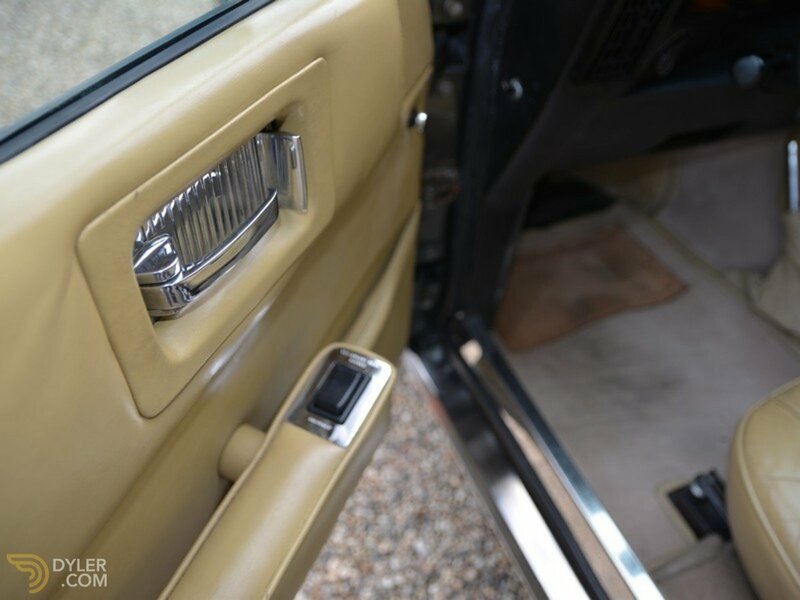 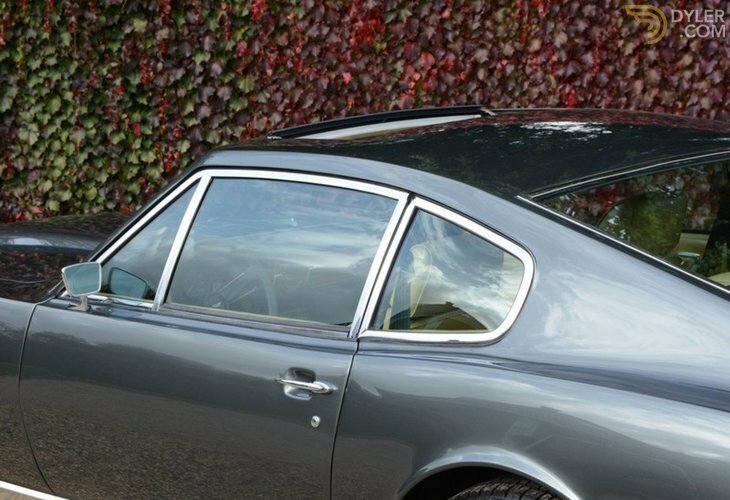 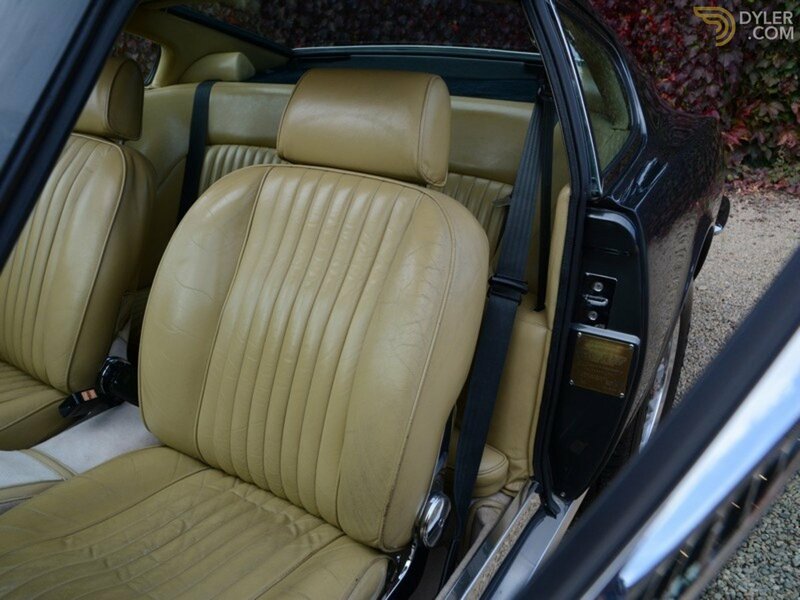 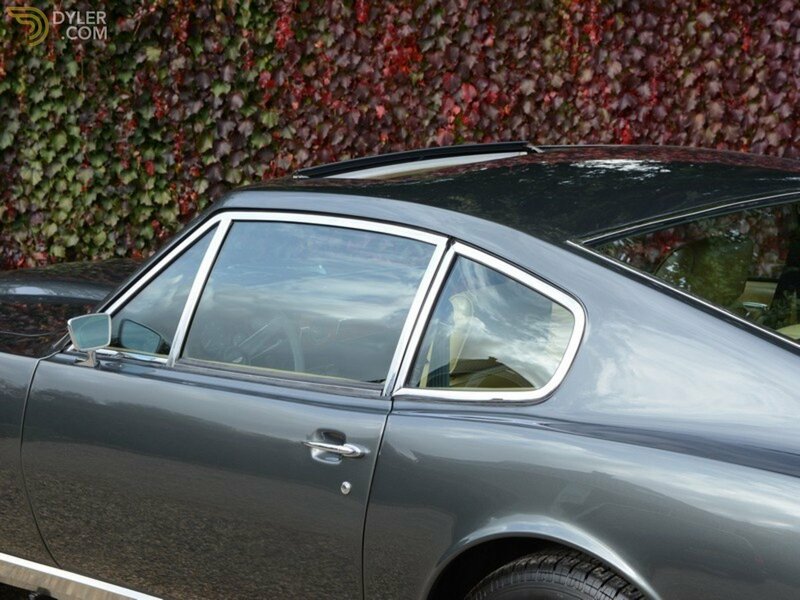 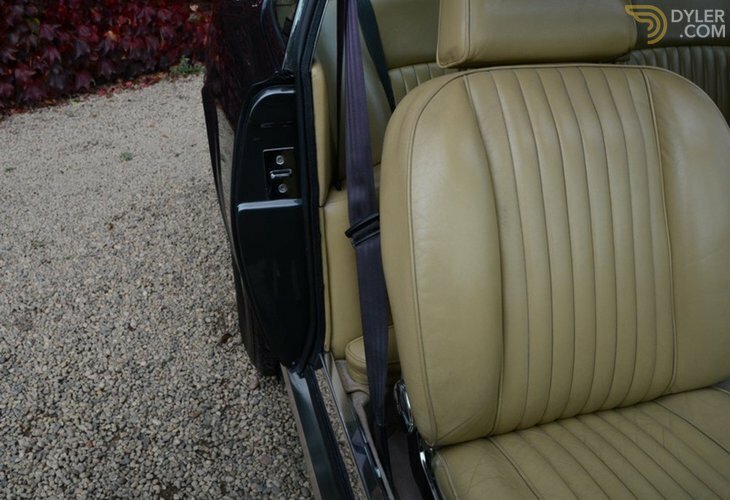 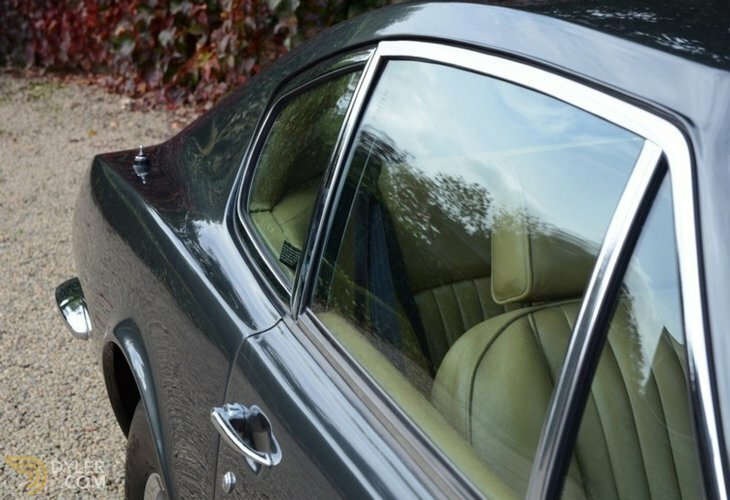 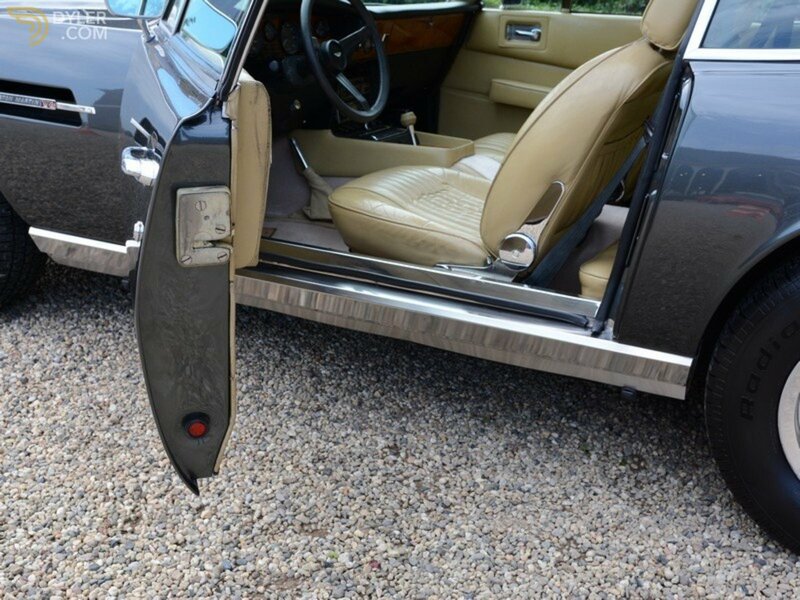 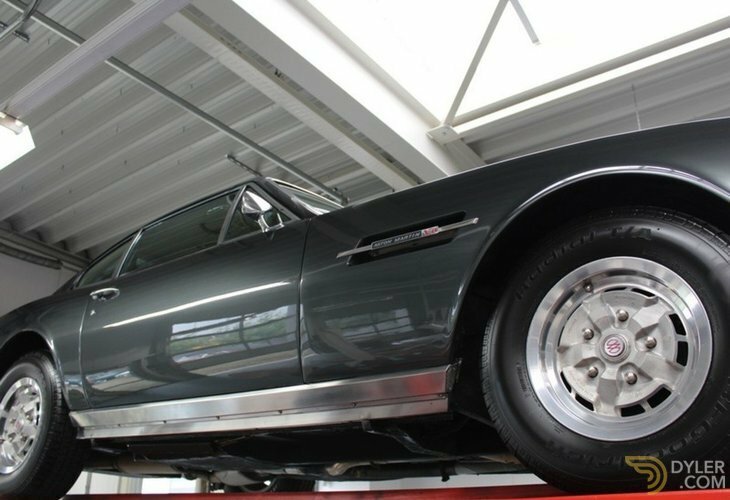 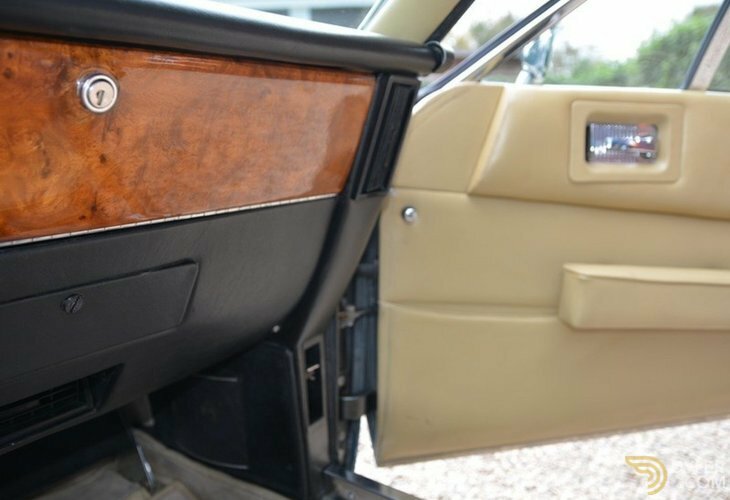 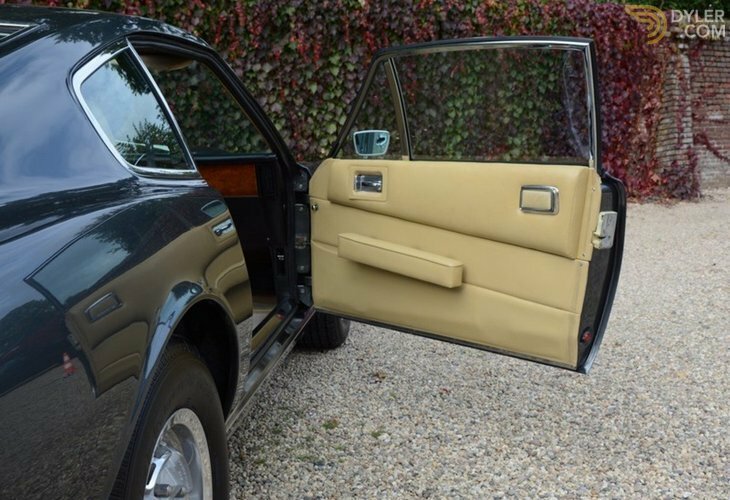 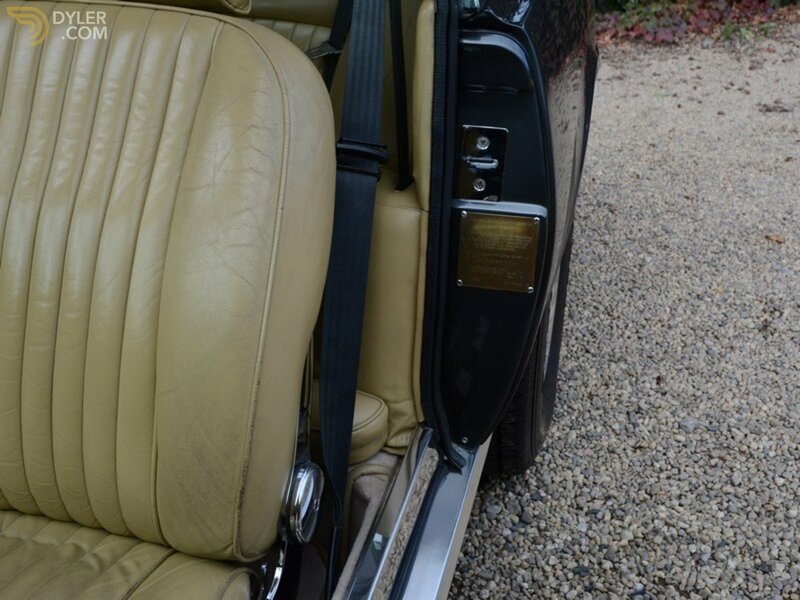 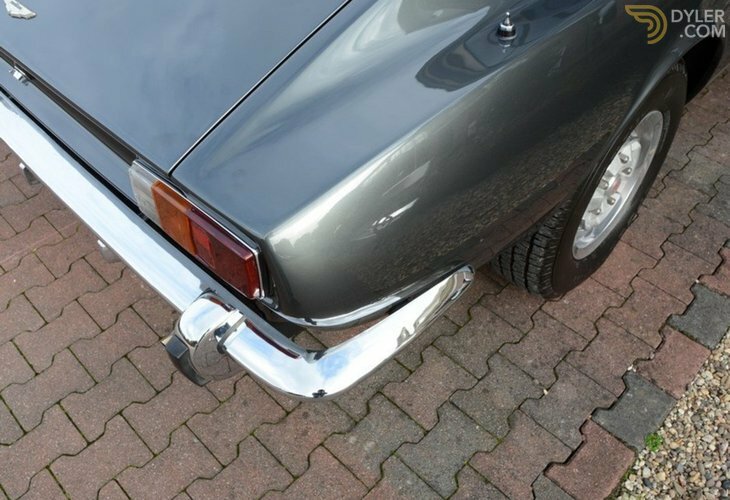 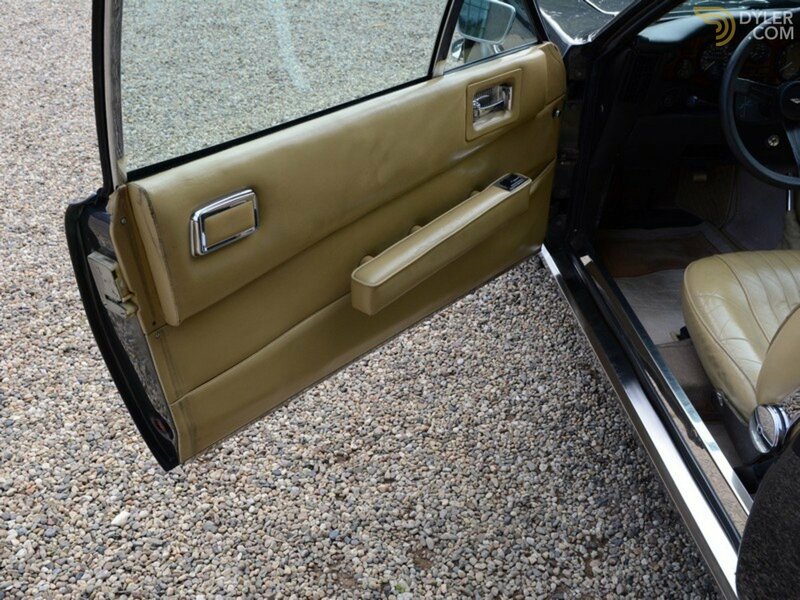 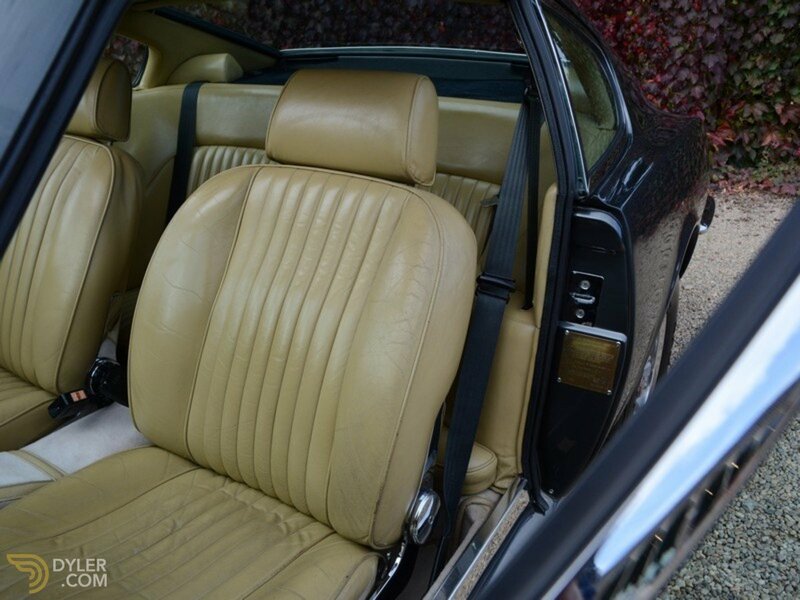 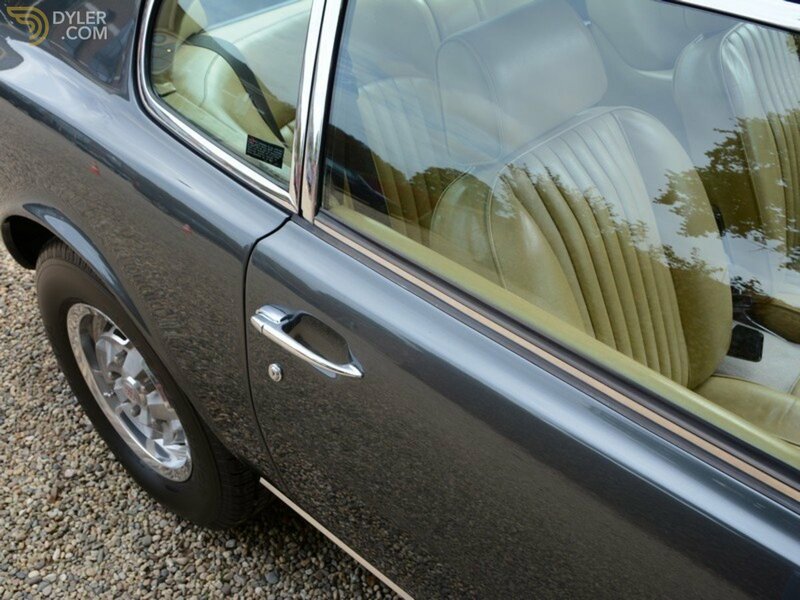 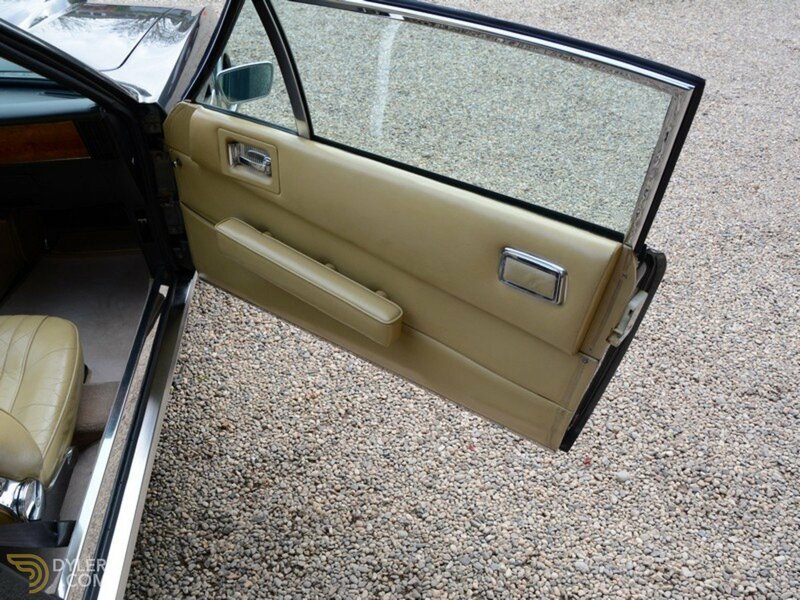 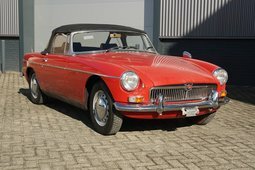 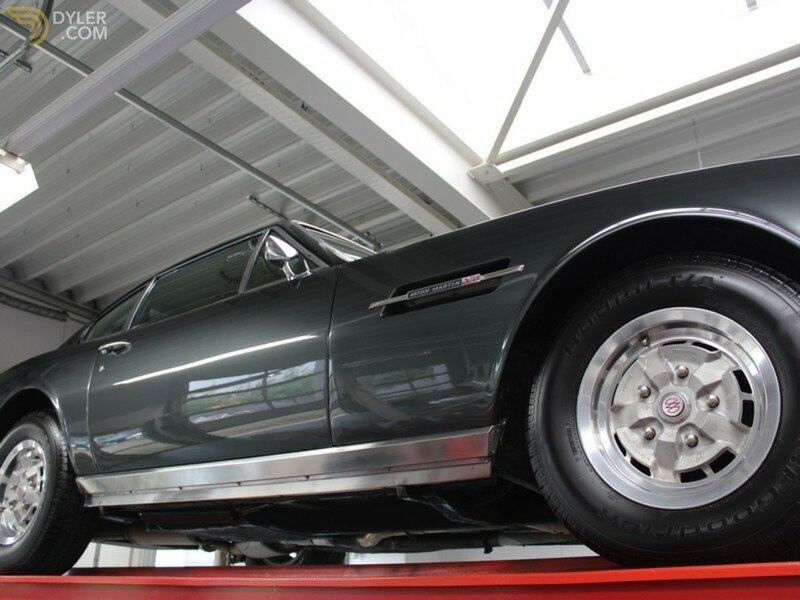 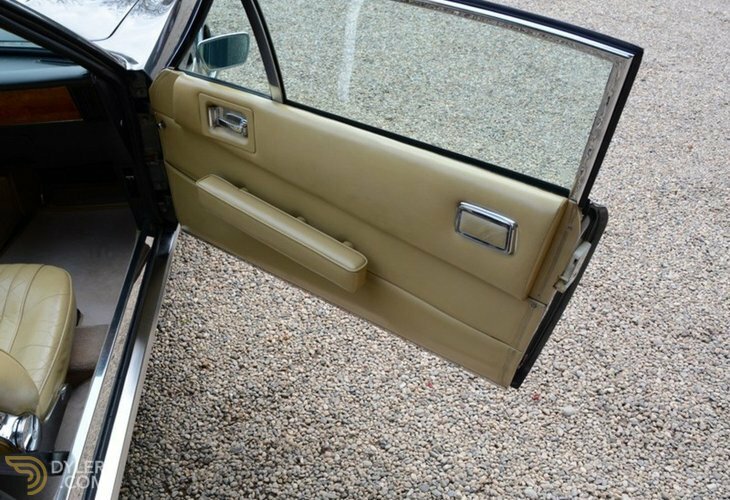 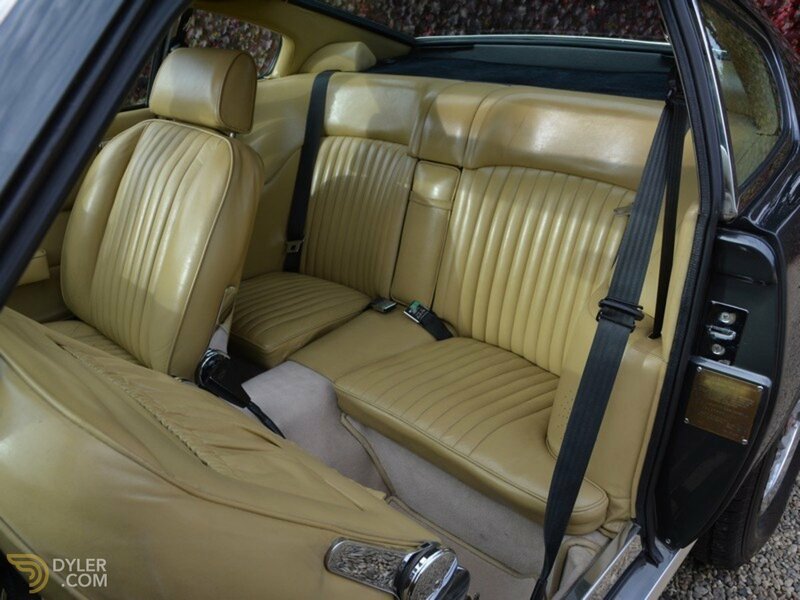 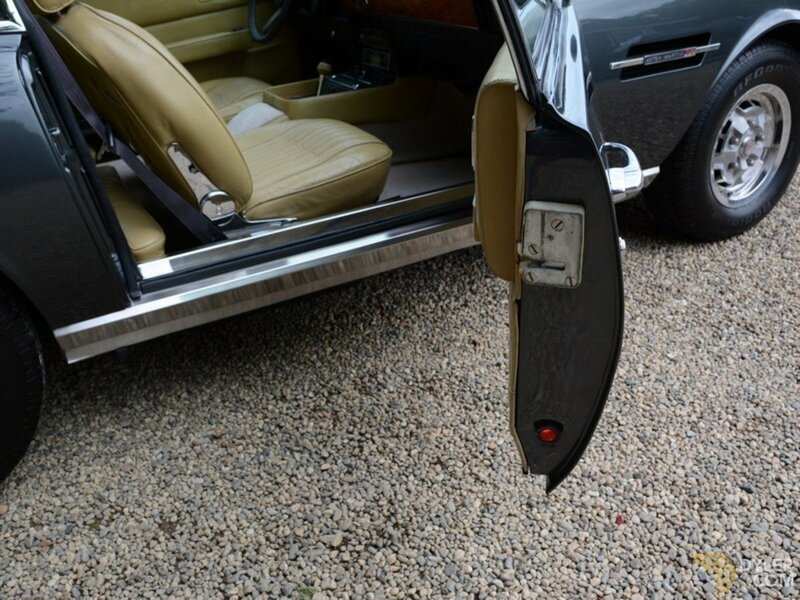 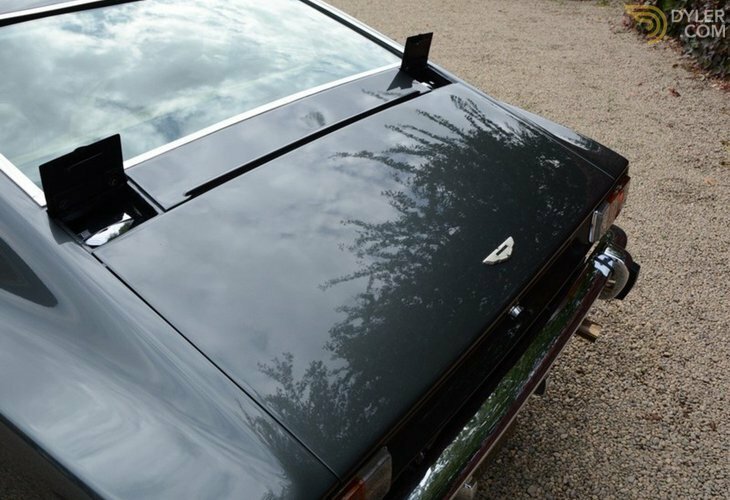 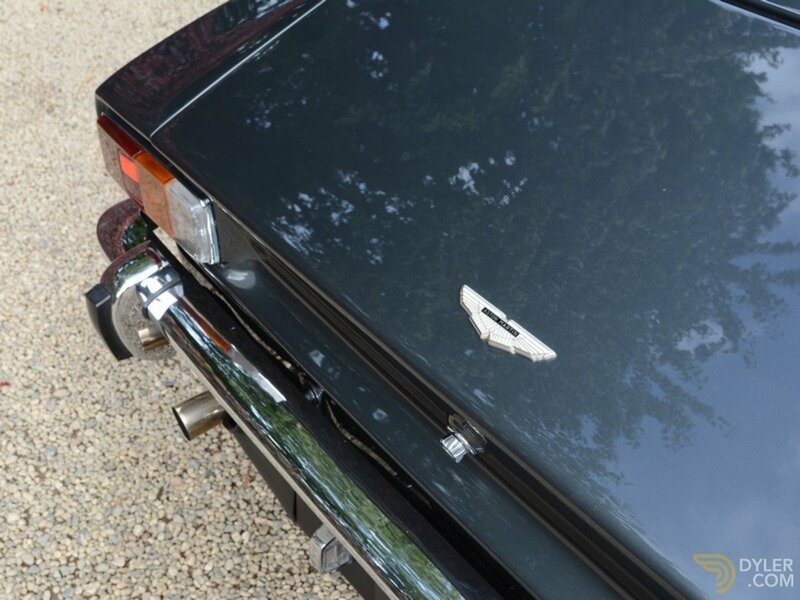 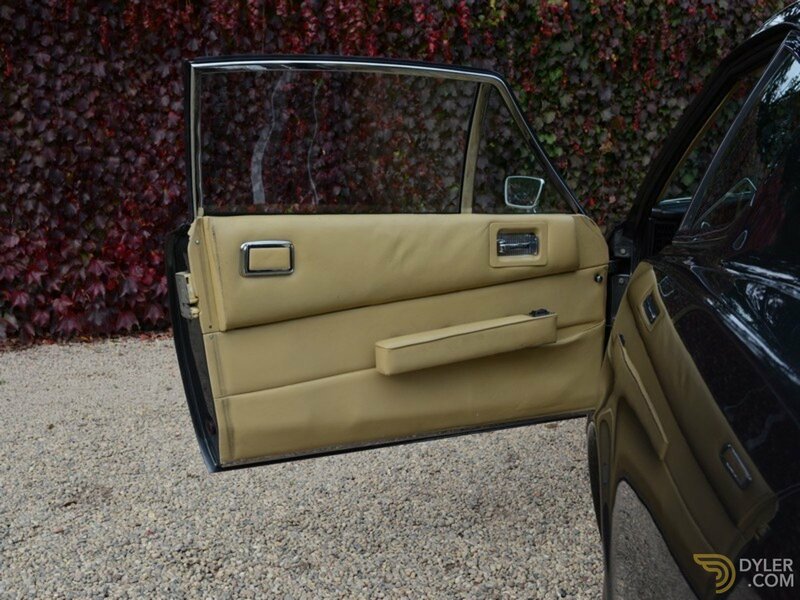 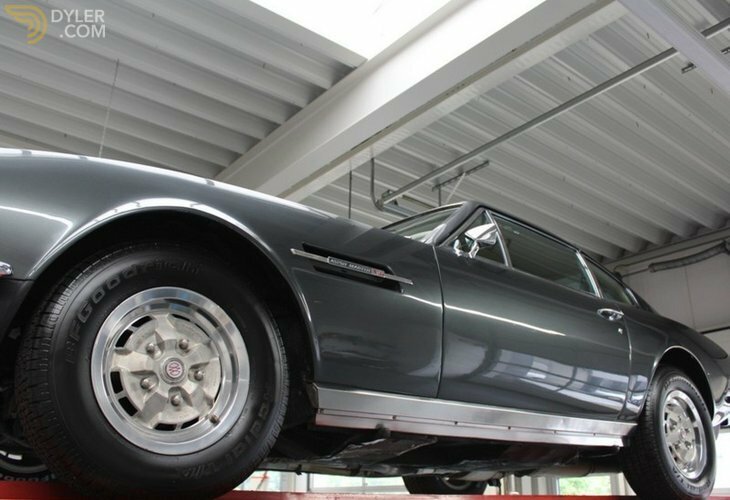 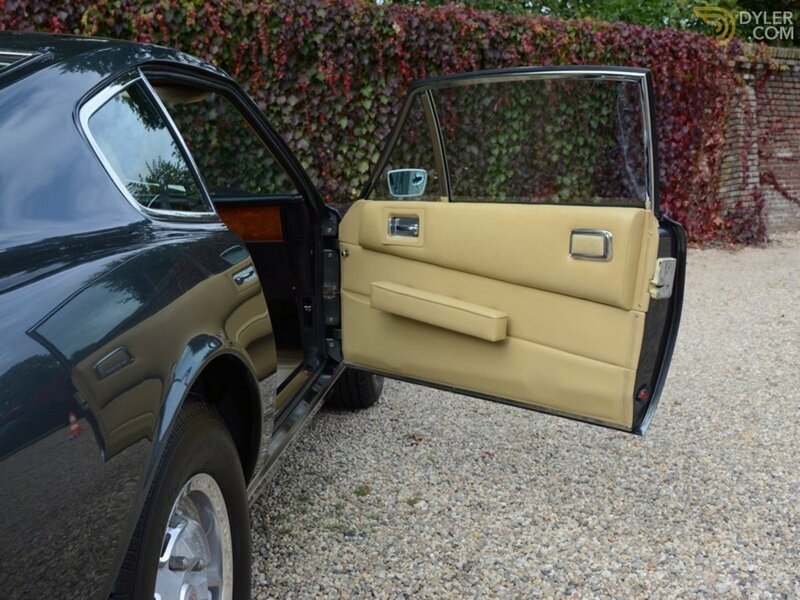 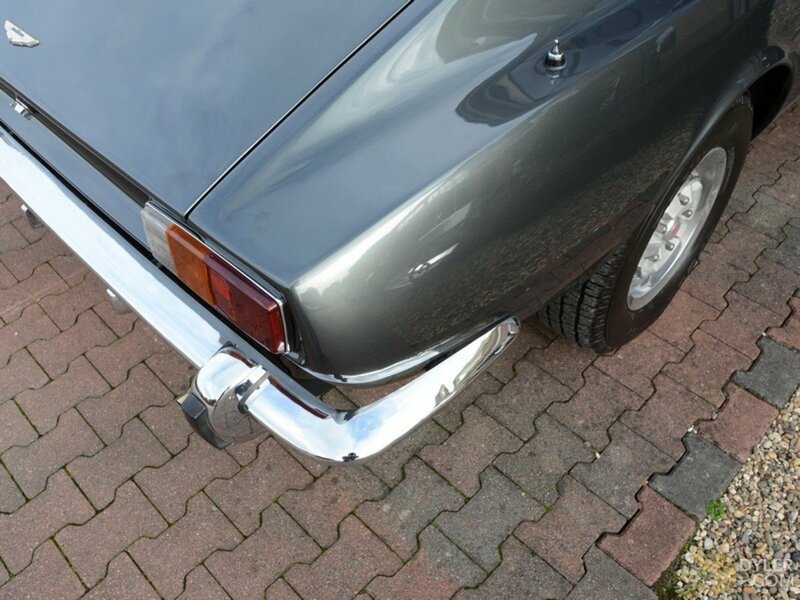 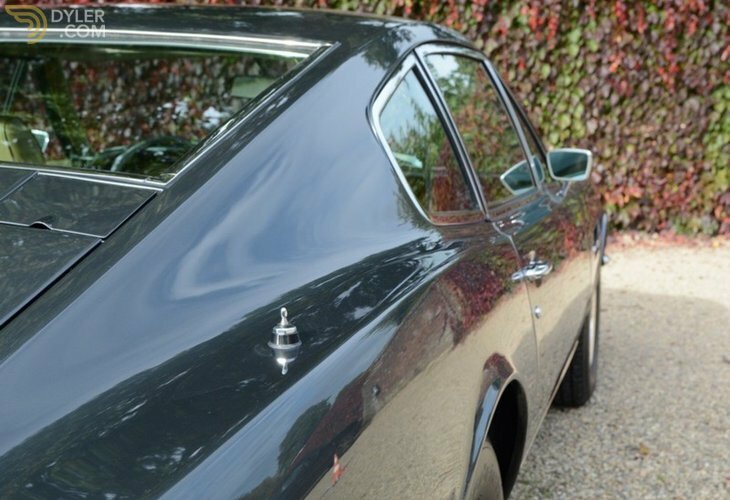 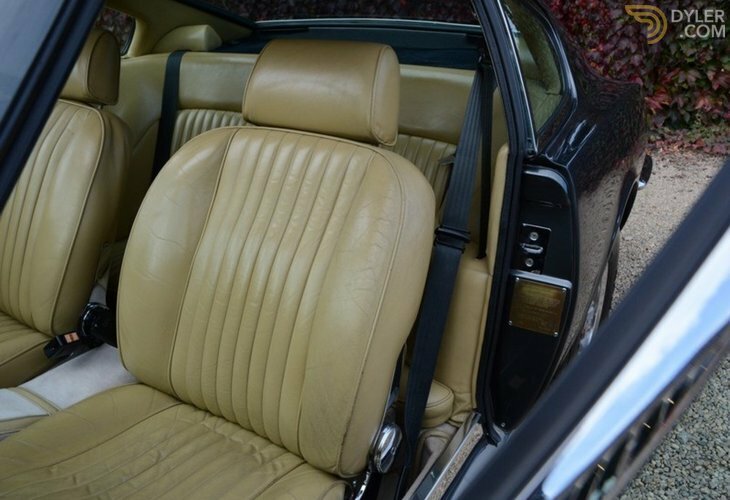 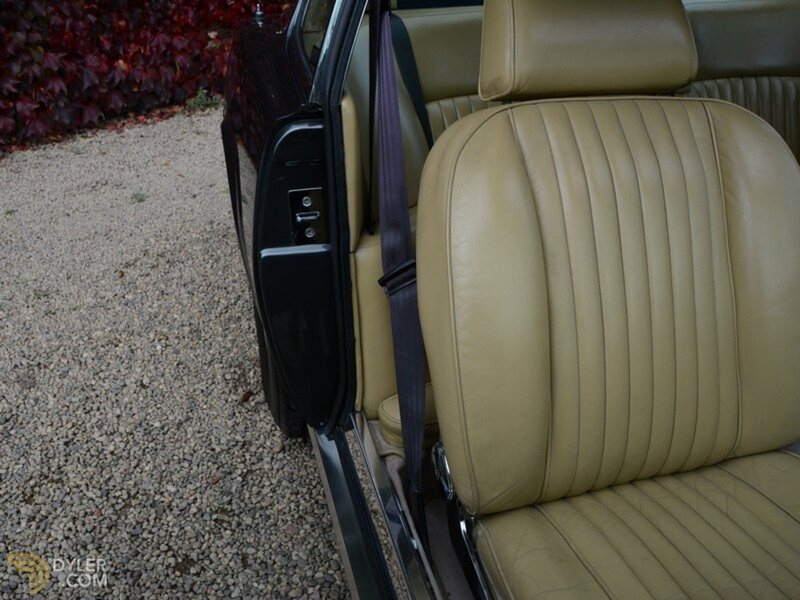 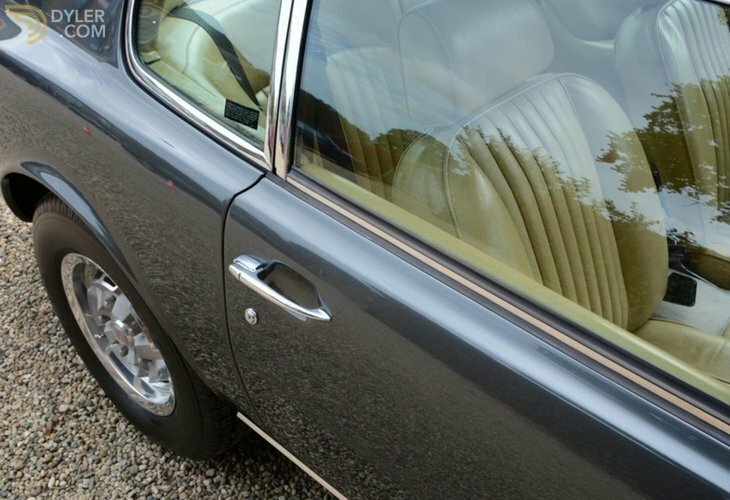 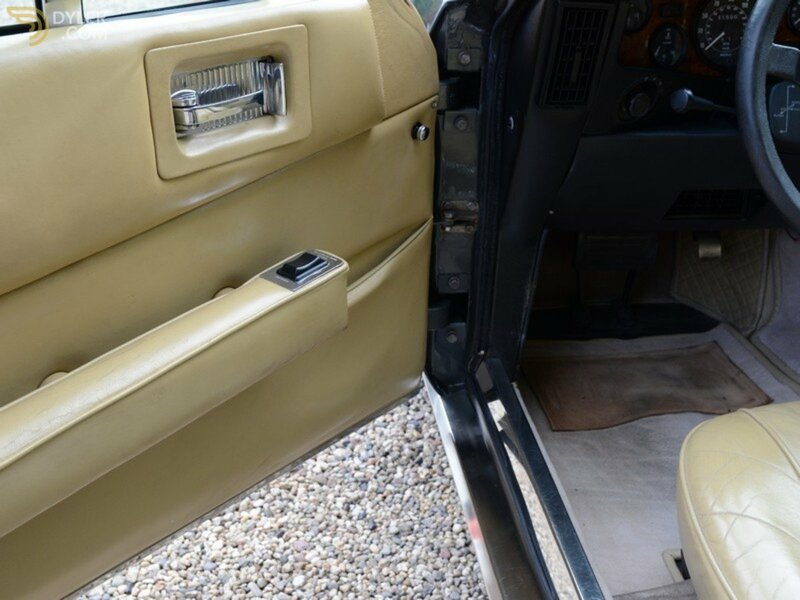 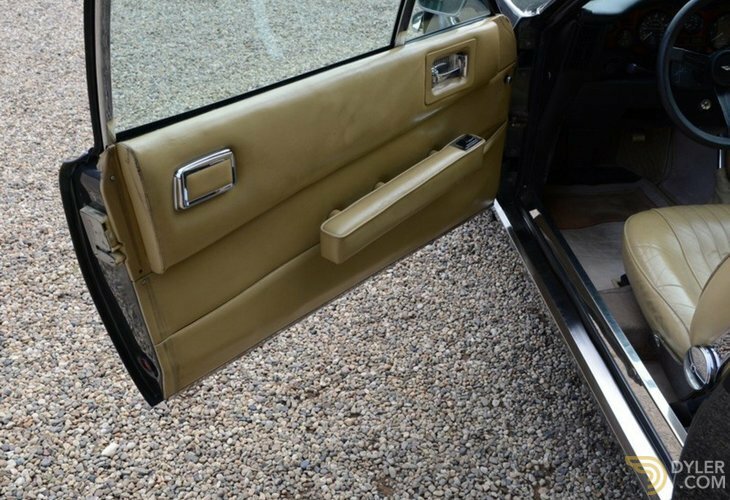 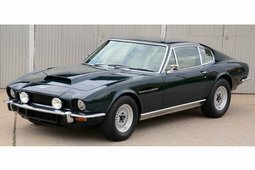 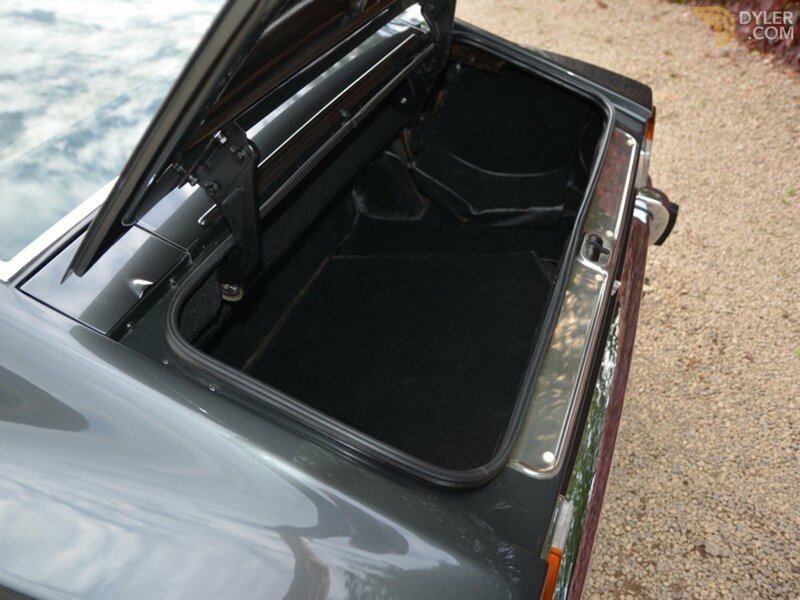 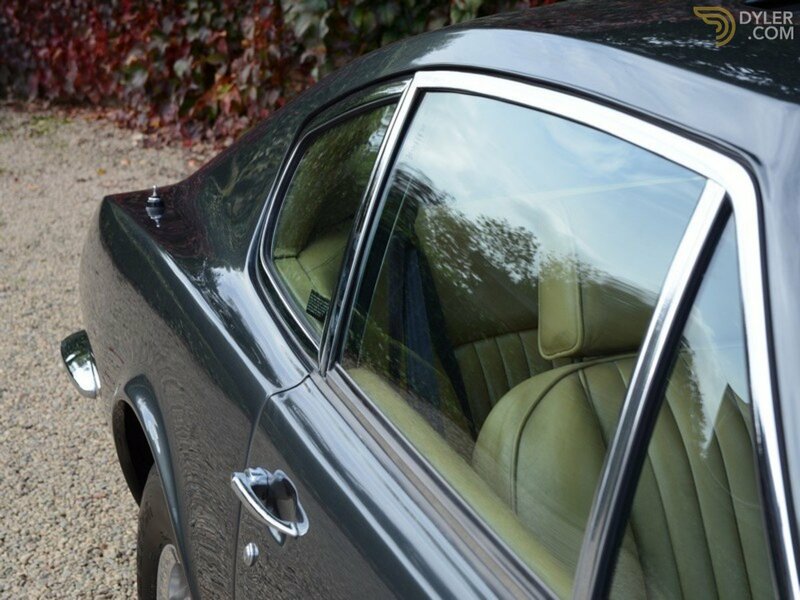 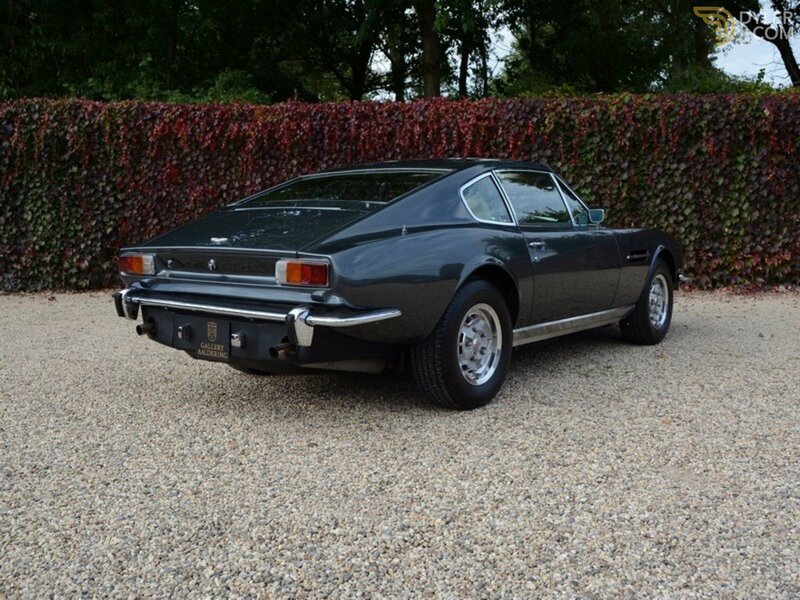 This car has never required any bodywork restoration and comes to you in exceptional and authentic condition. 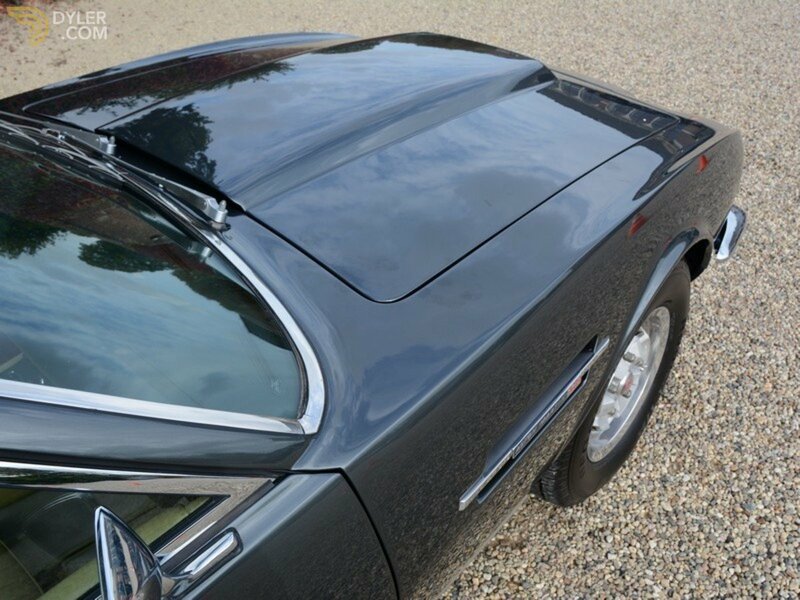 The bodywork has straight panels with all the panel gaps where they should be. 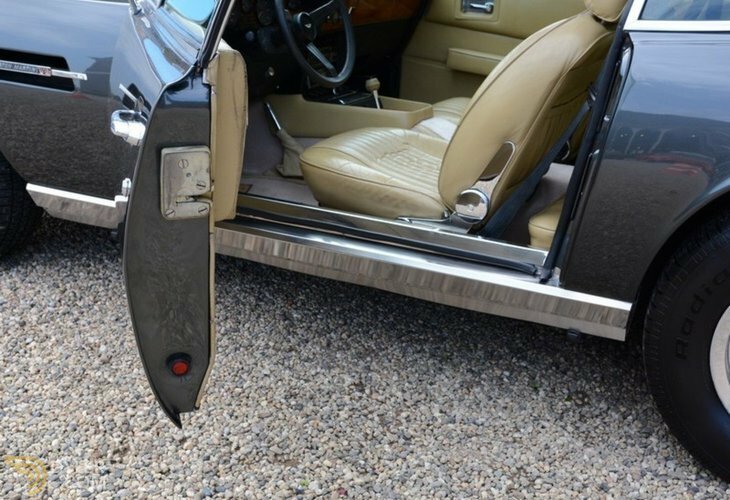 It has a very solid chassis that is completely free from any rust. 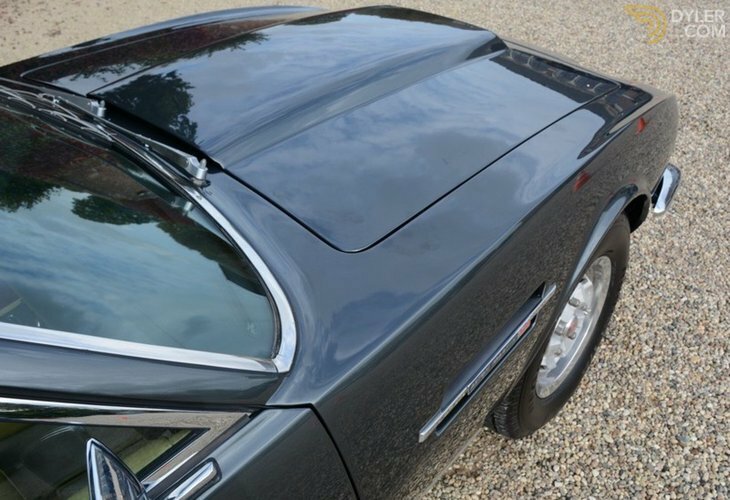 The paint finish was re-sprayed a few years ago in Grey Metallic. 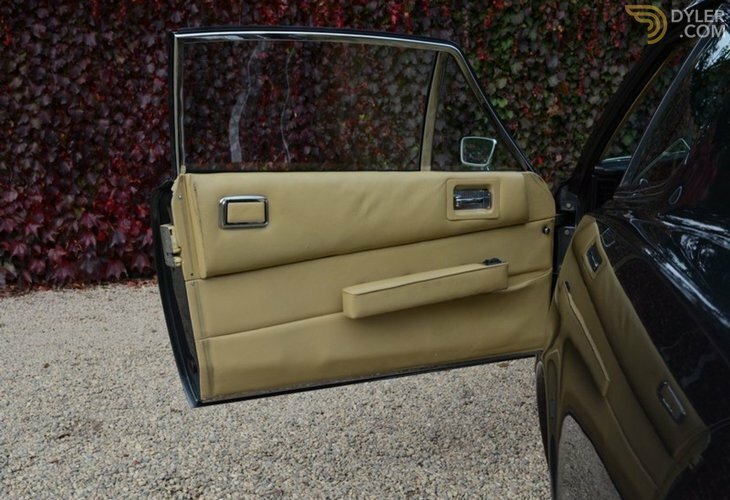 It has impeccable Connelly fawn trim that exudes the right amount of patina. 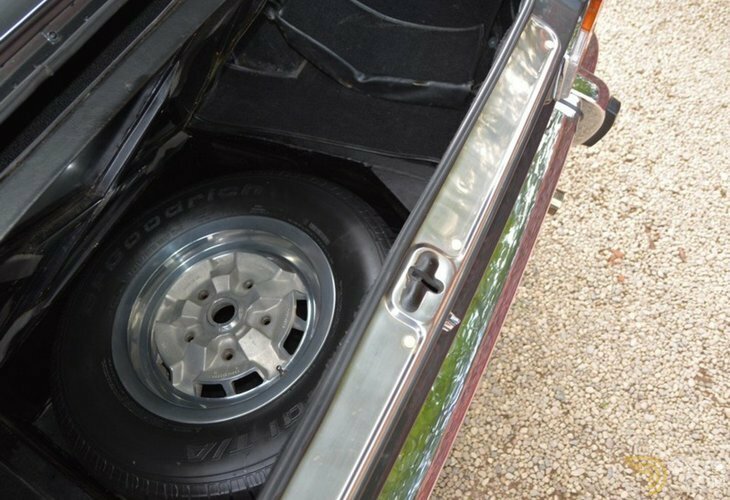 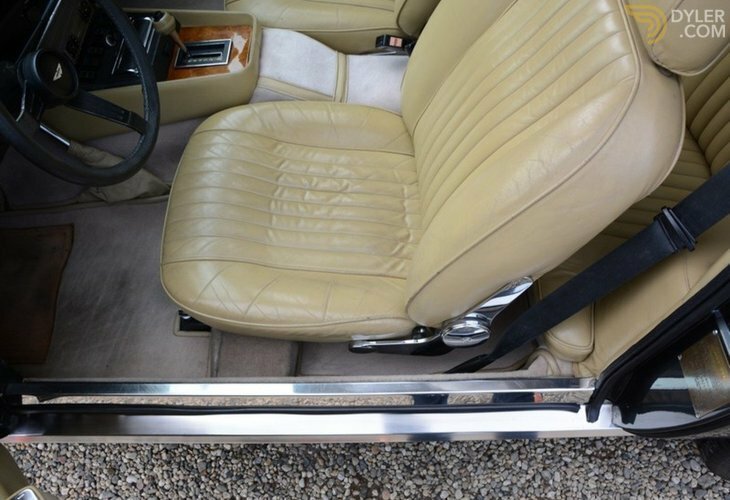 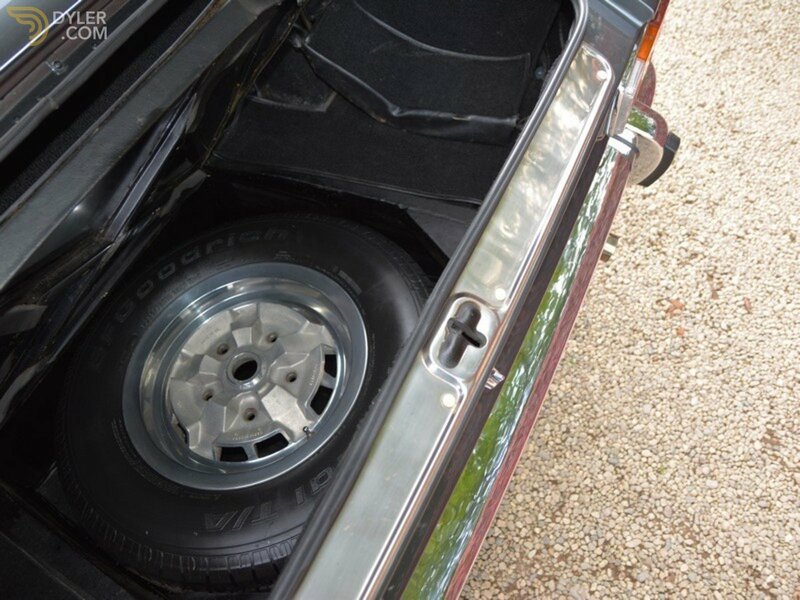 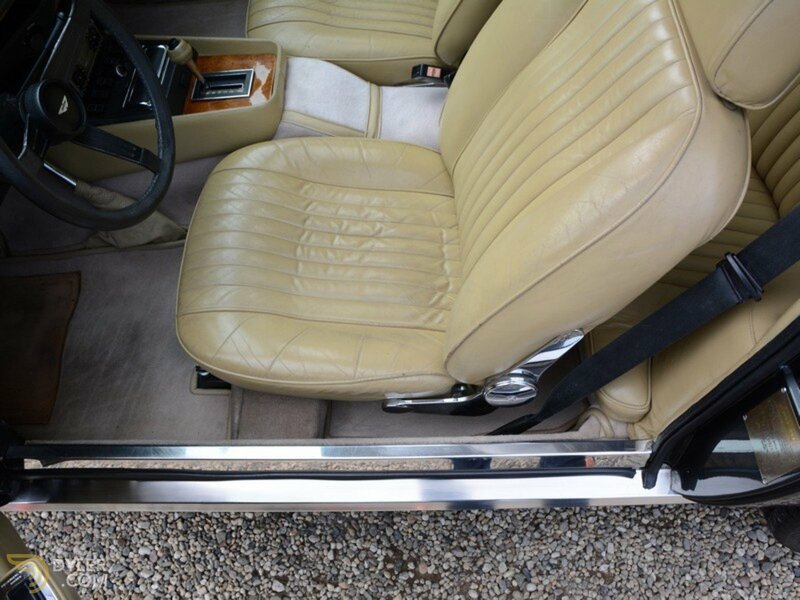 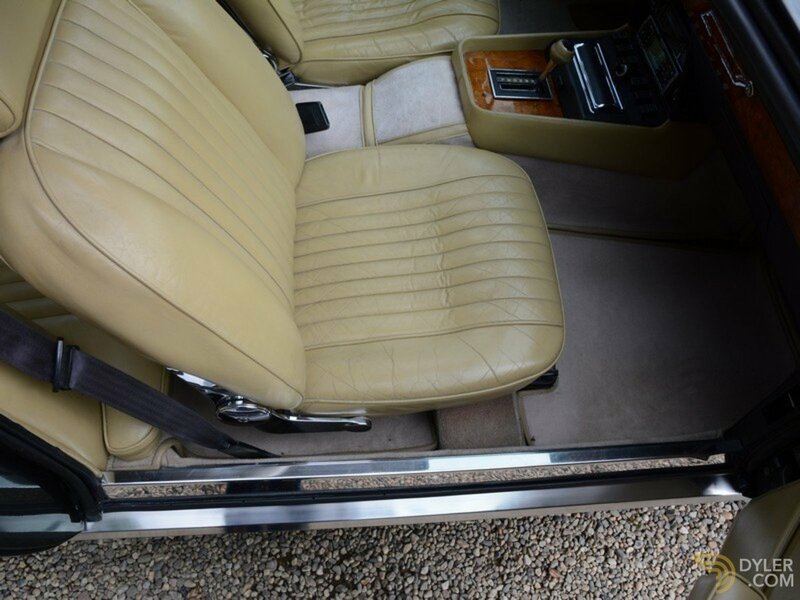 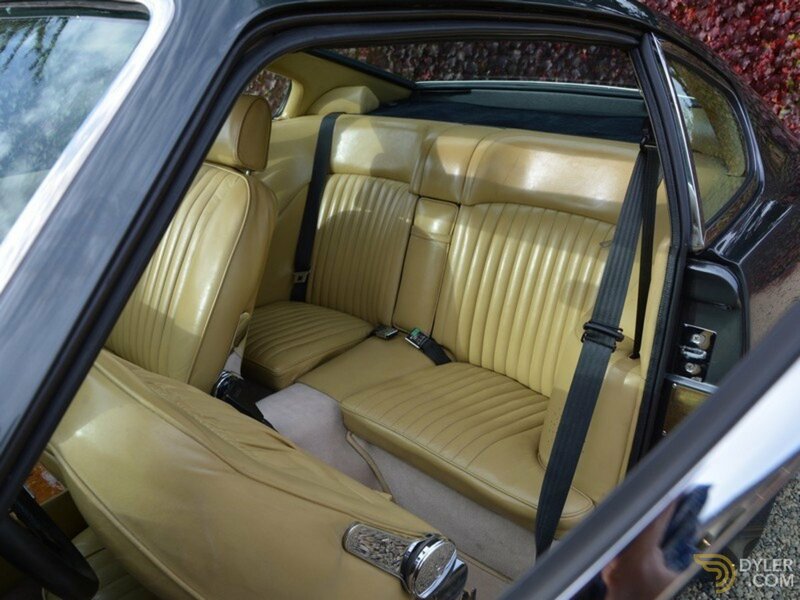 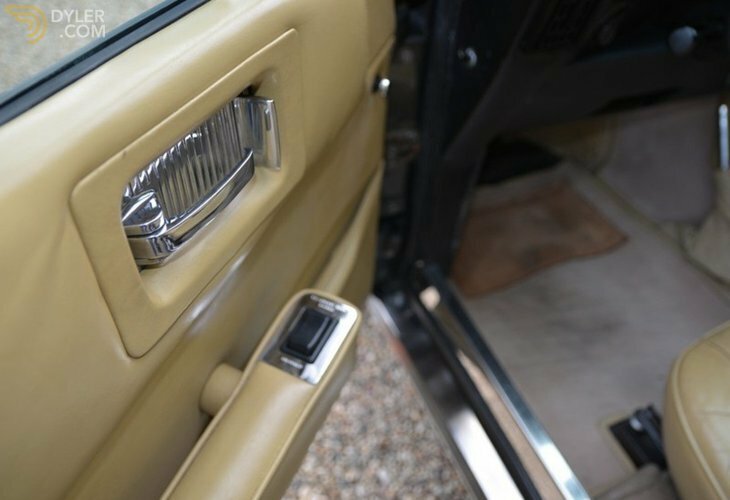 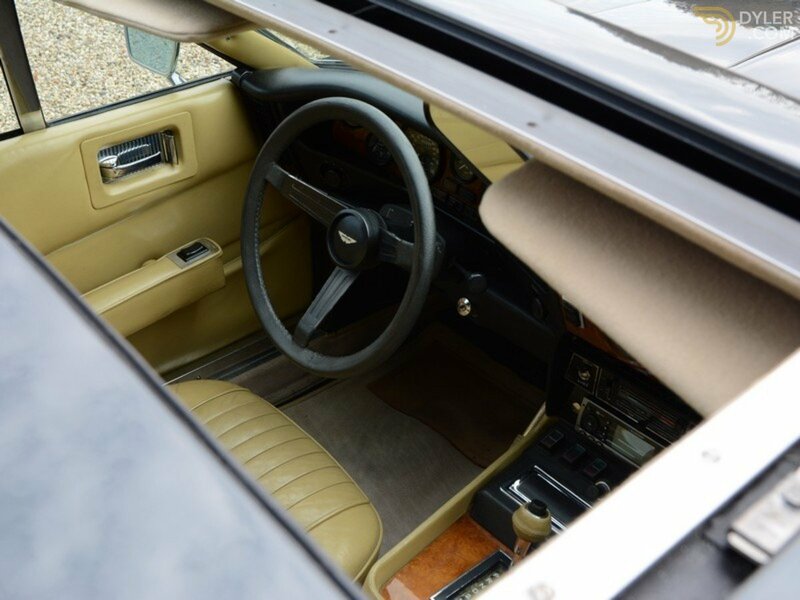 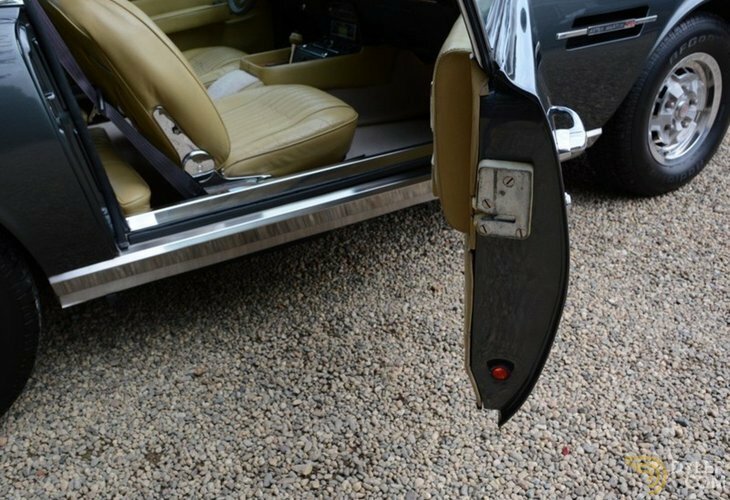 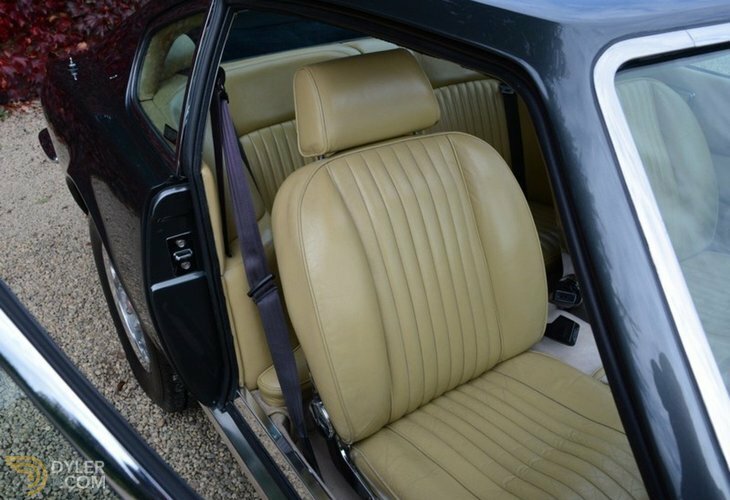 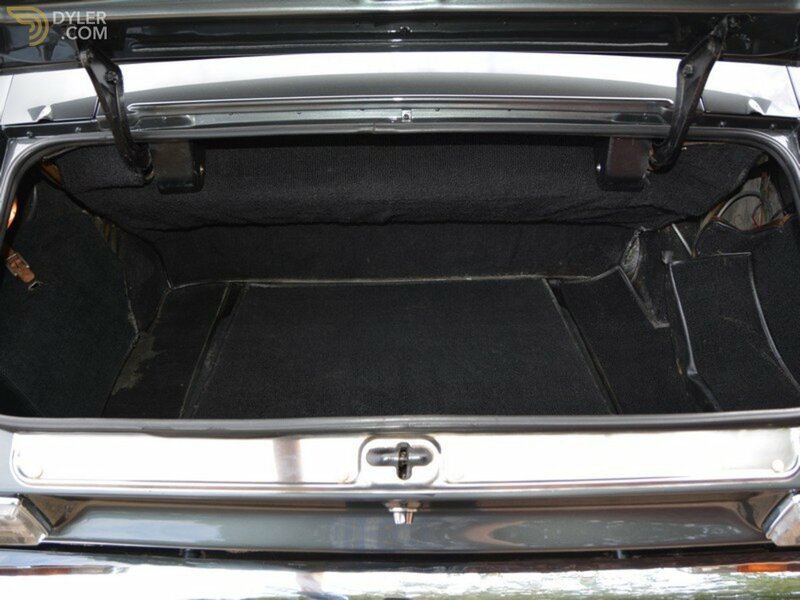 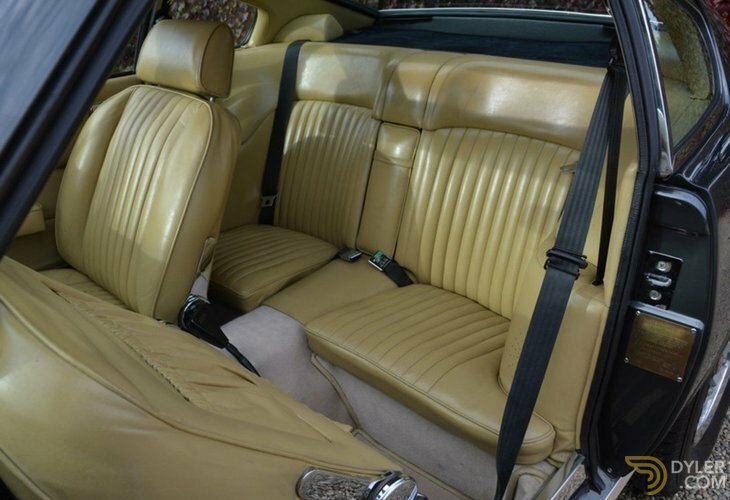 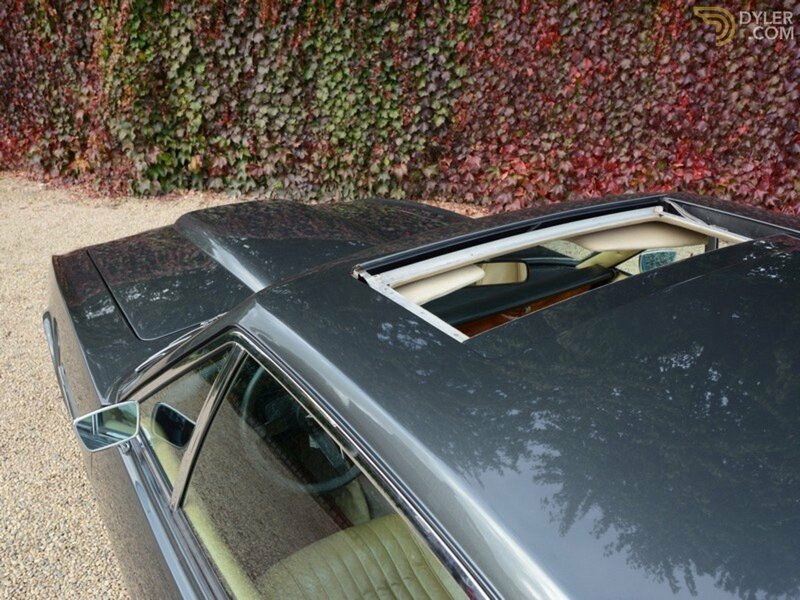 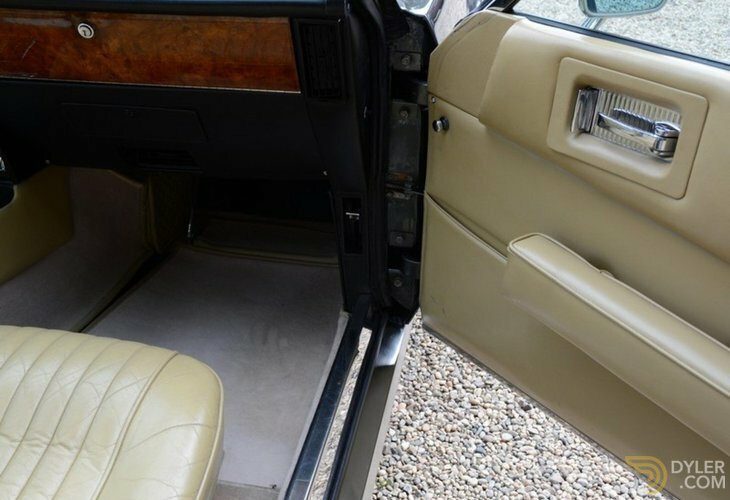 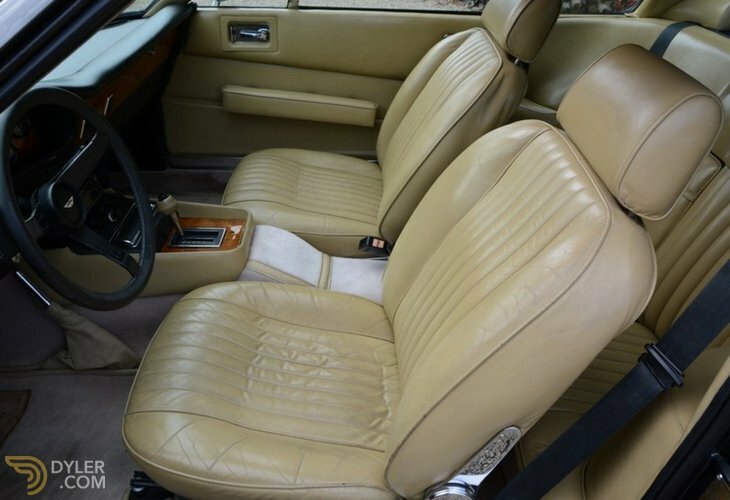 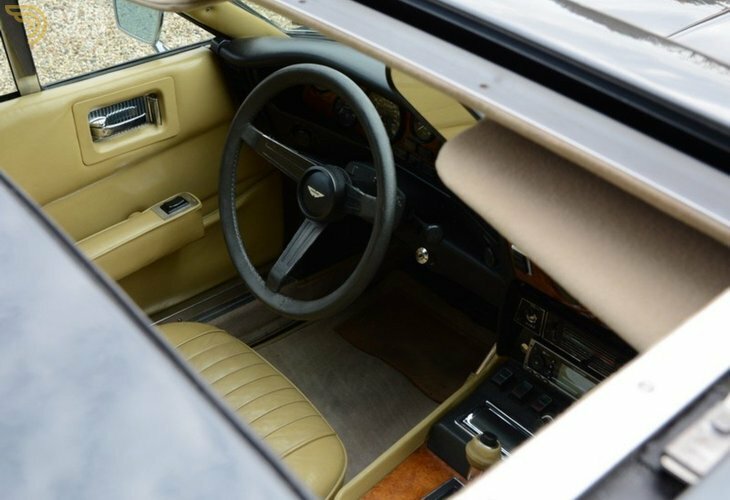 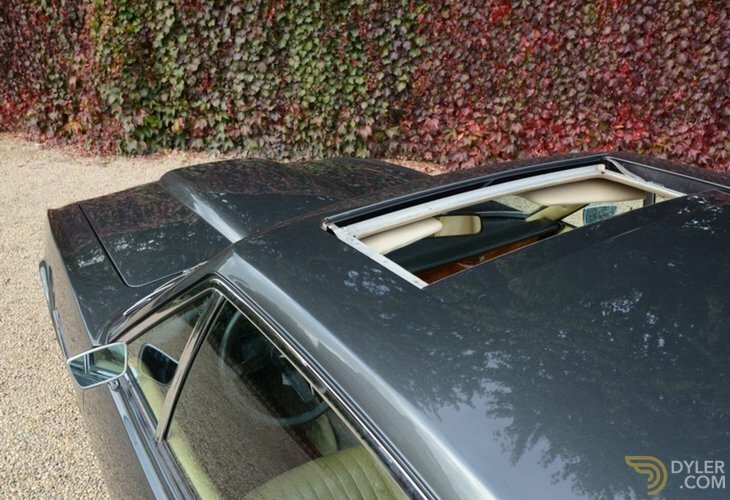 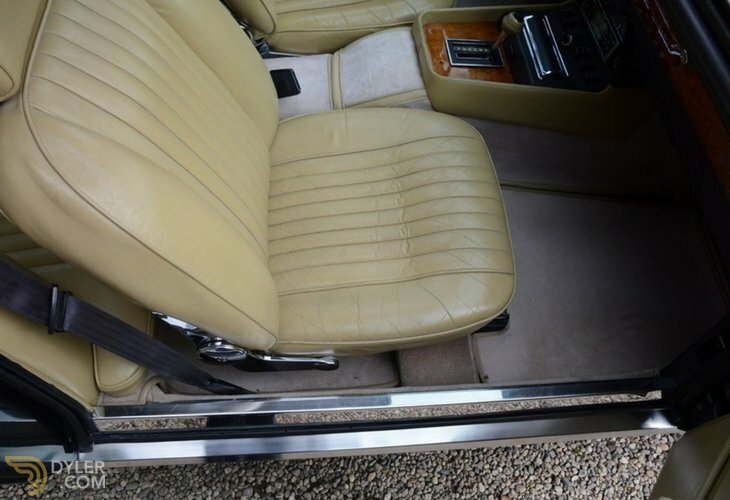 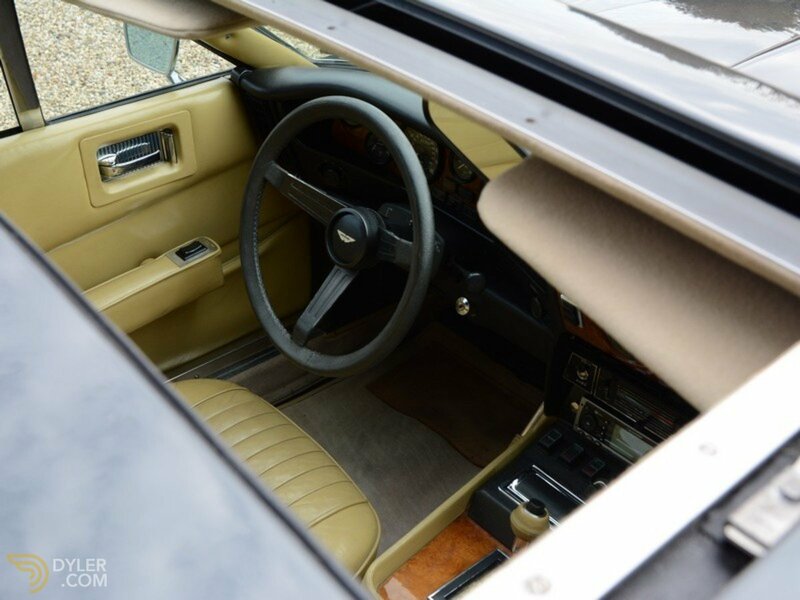 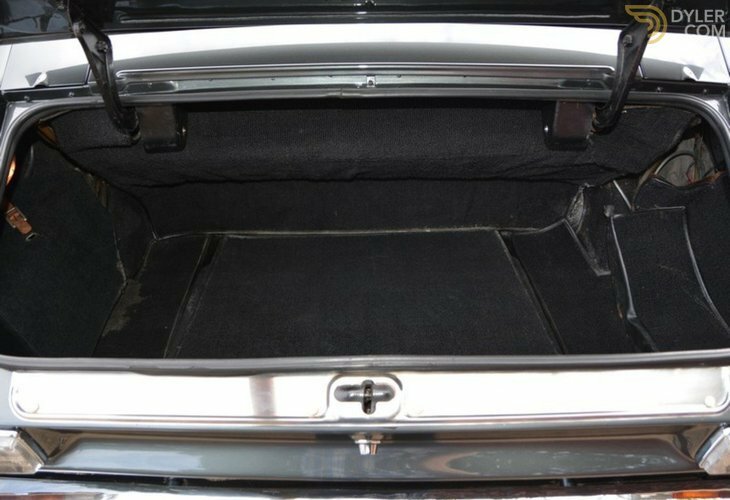 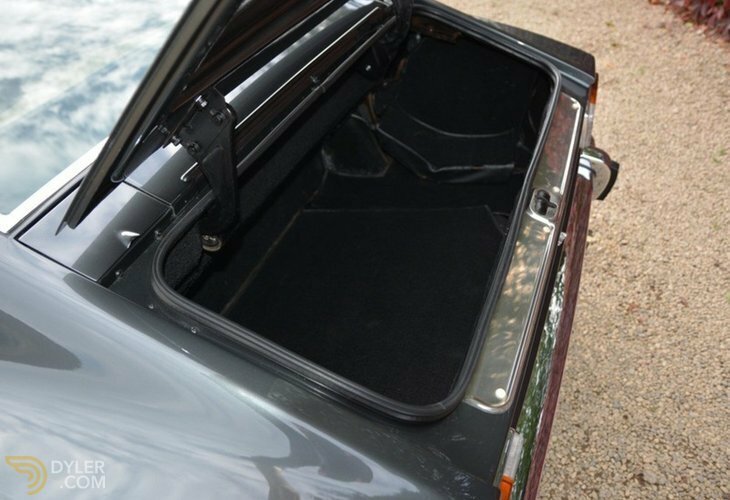 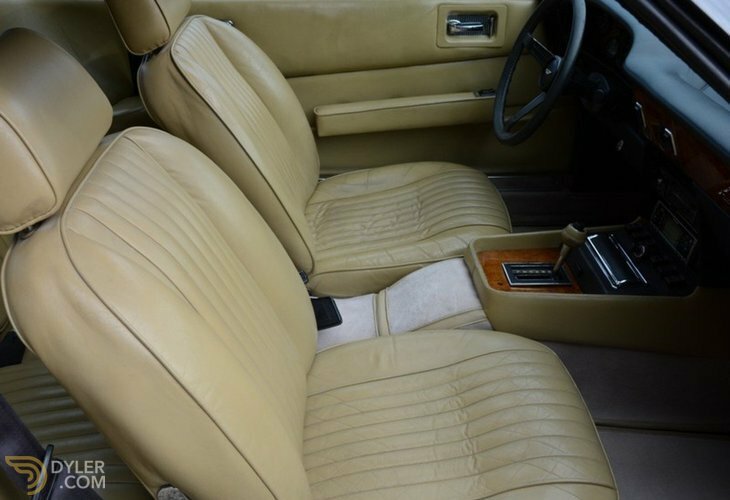 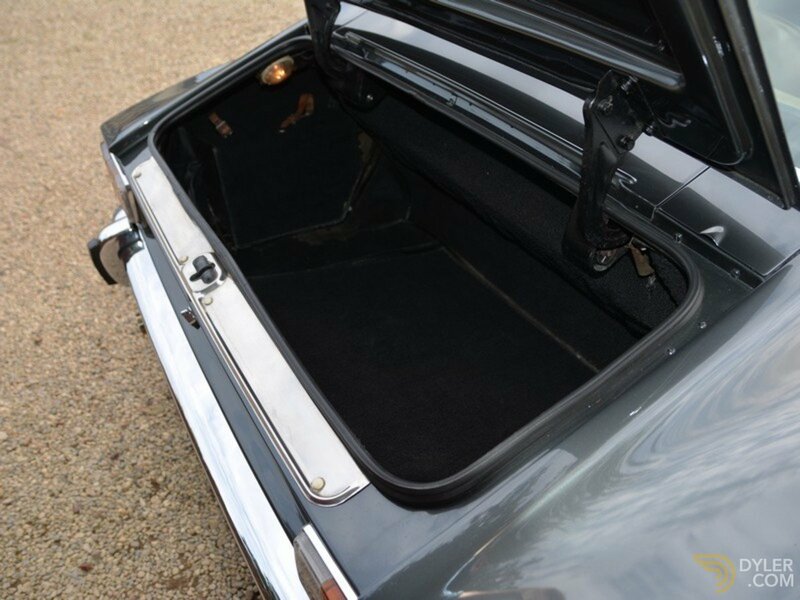 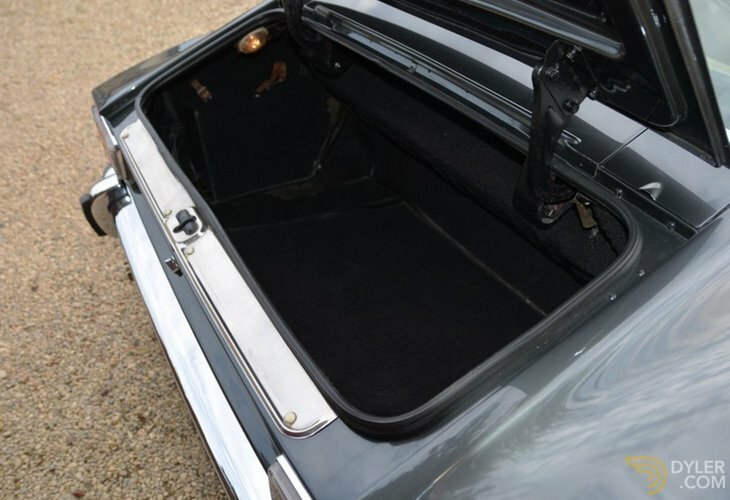 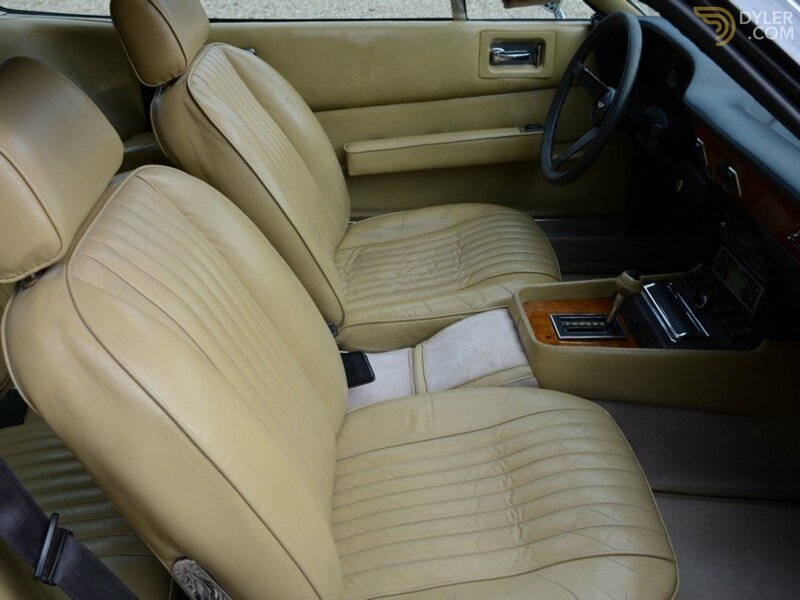 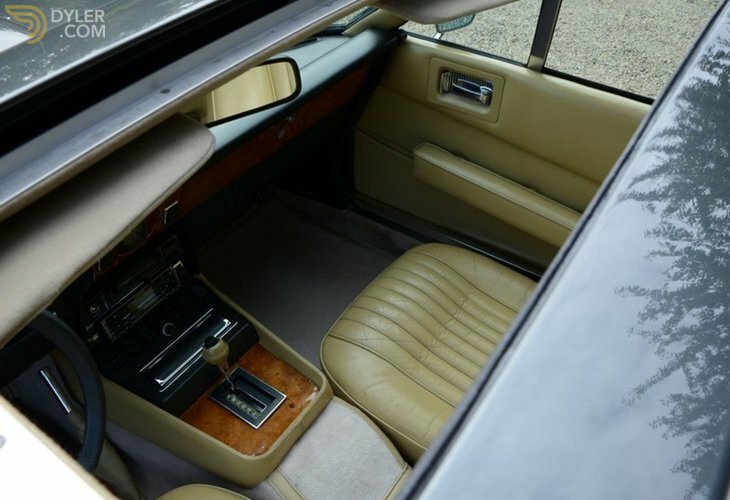 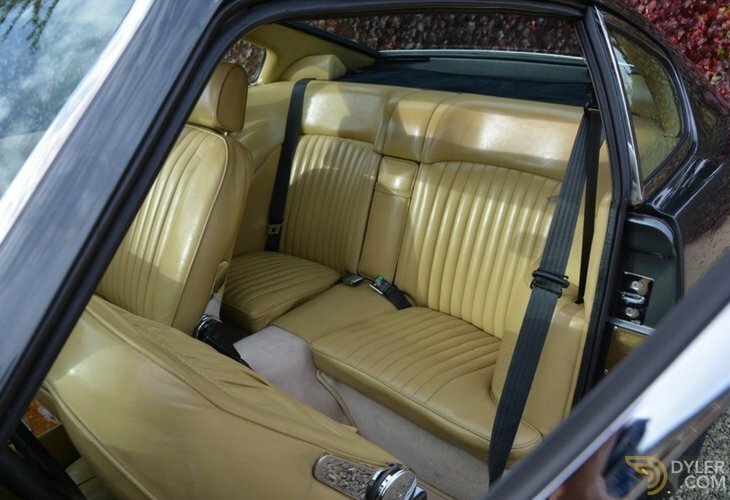 As special features, it has factory fitted electric sunroof and Weber carburetors. 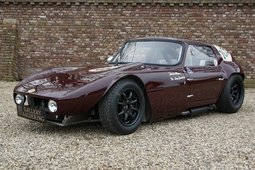 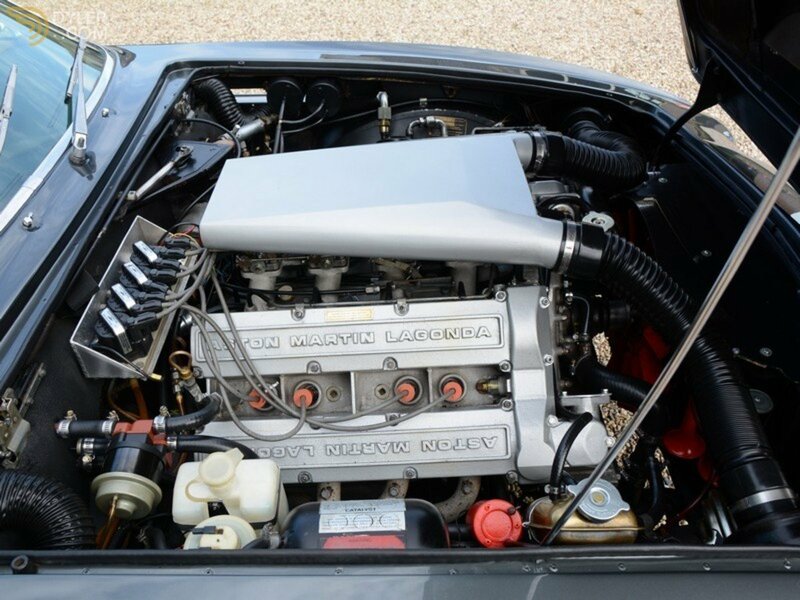 The car the original, Heritage Trust certified, matching numbers V8 engine. 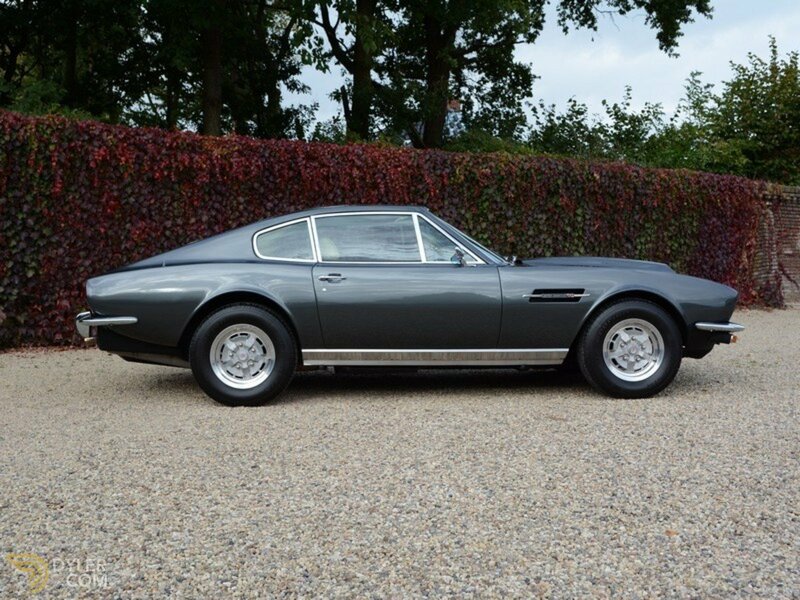 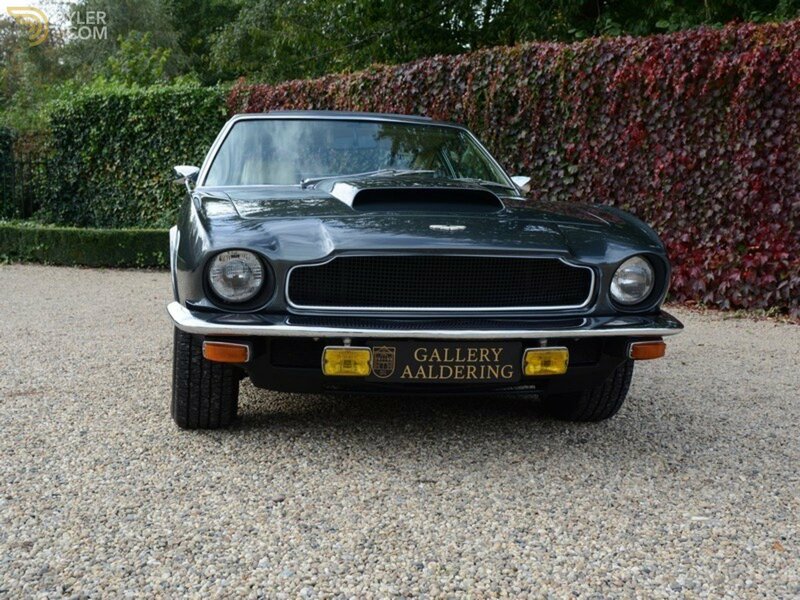 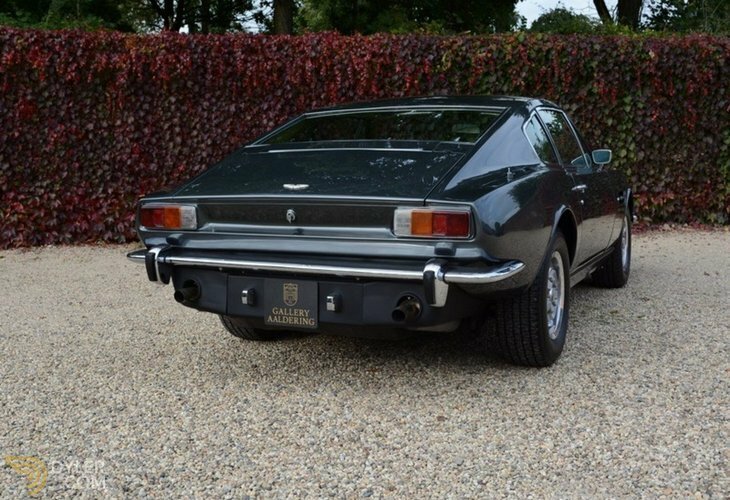 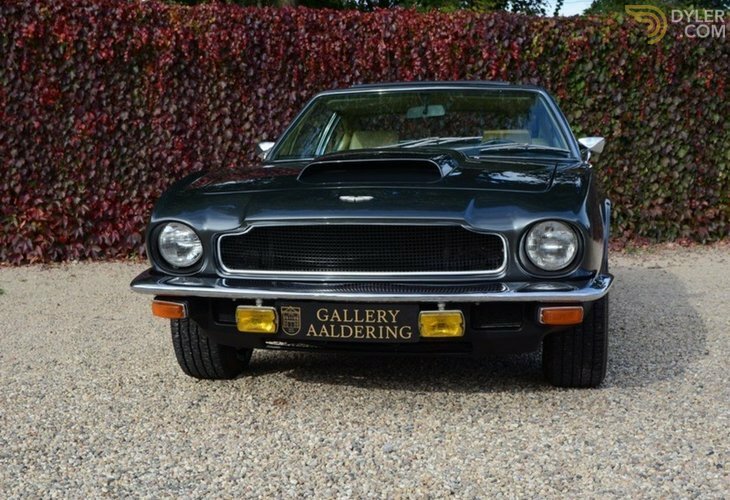 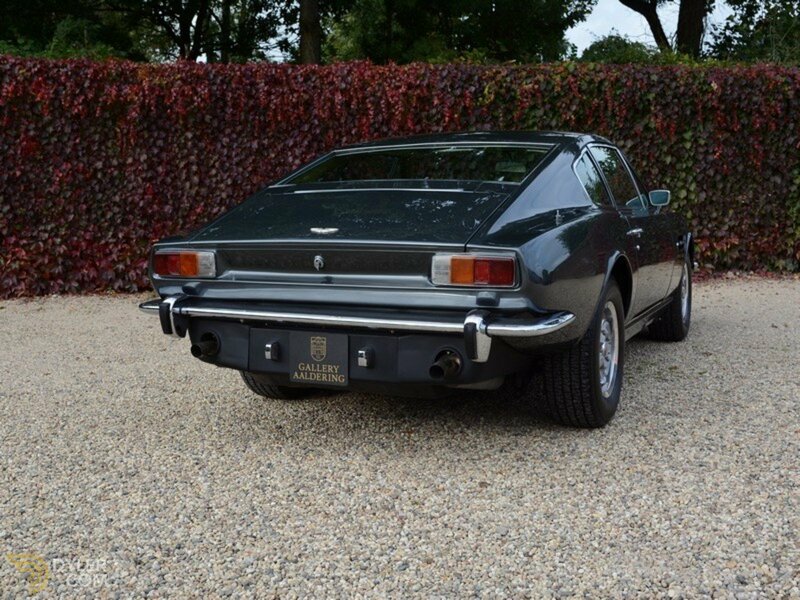 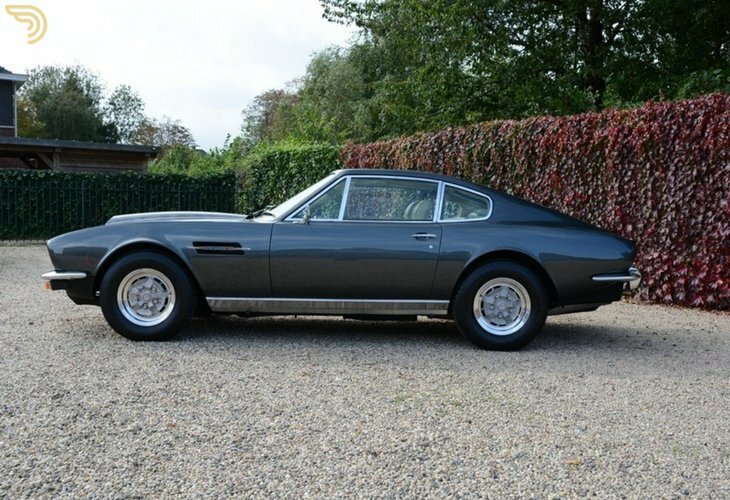 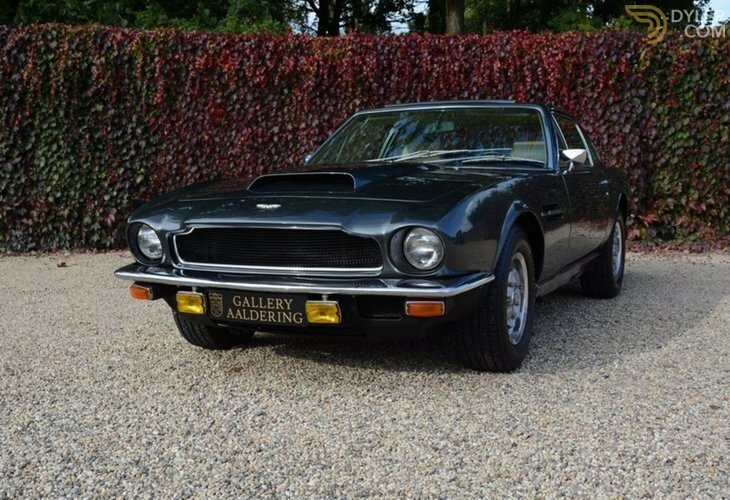 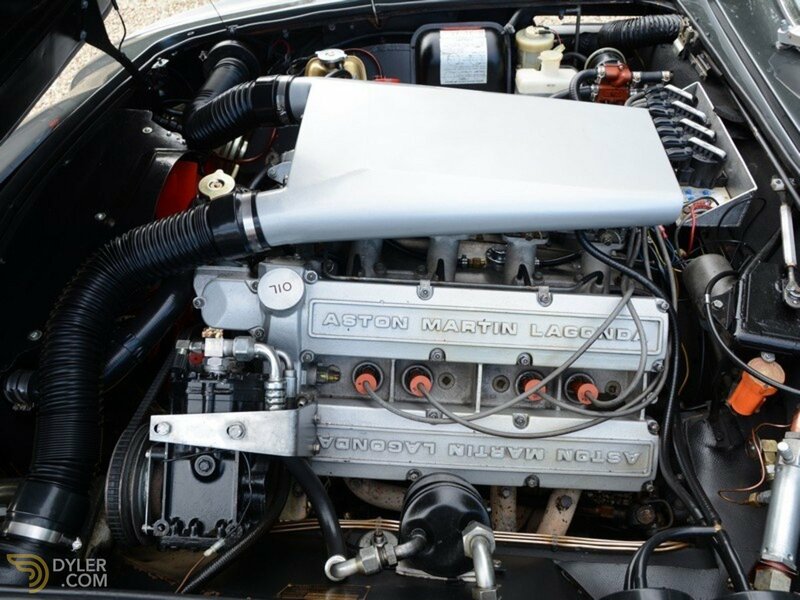 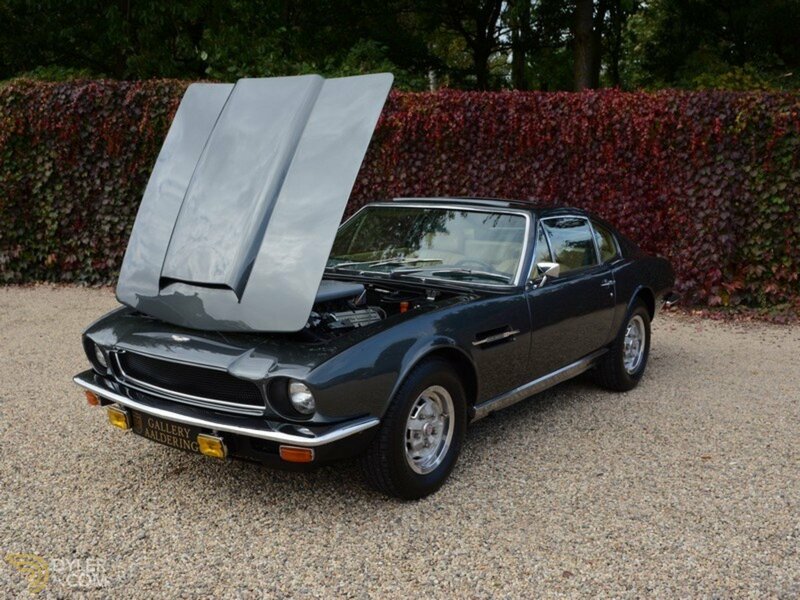 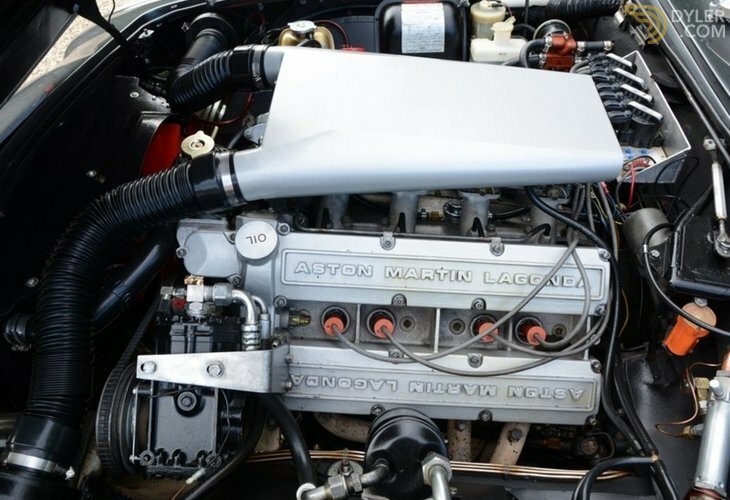 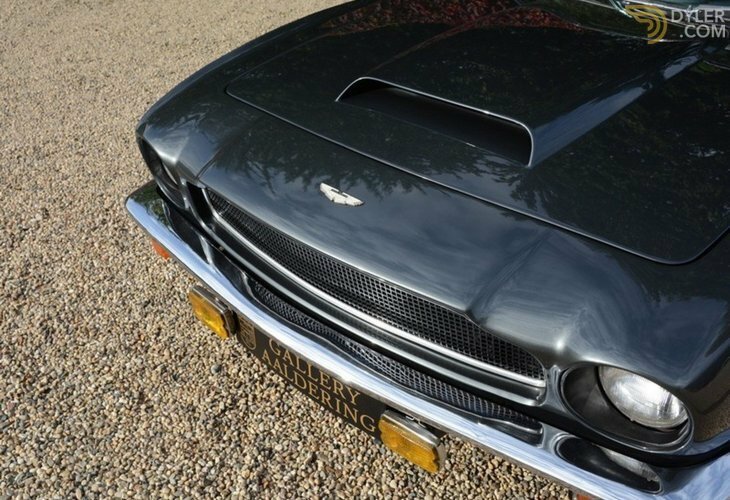 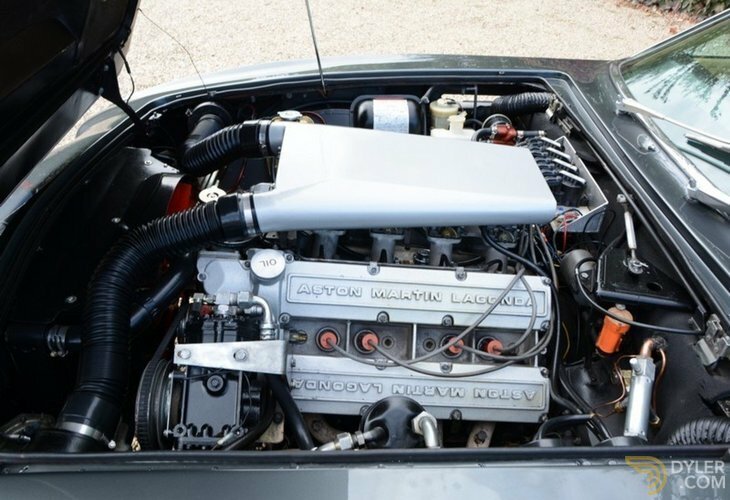 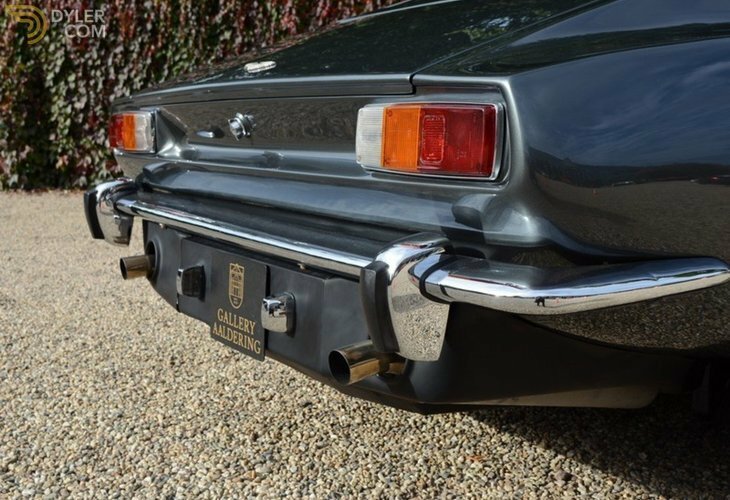 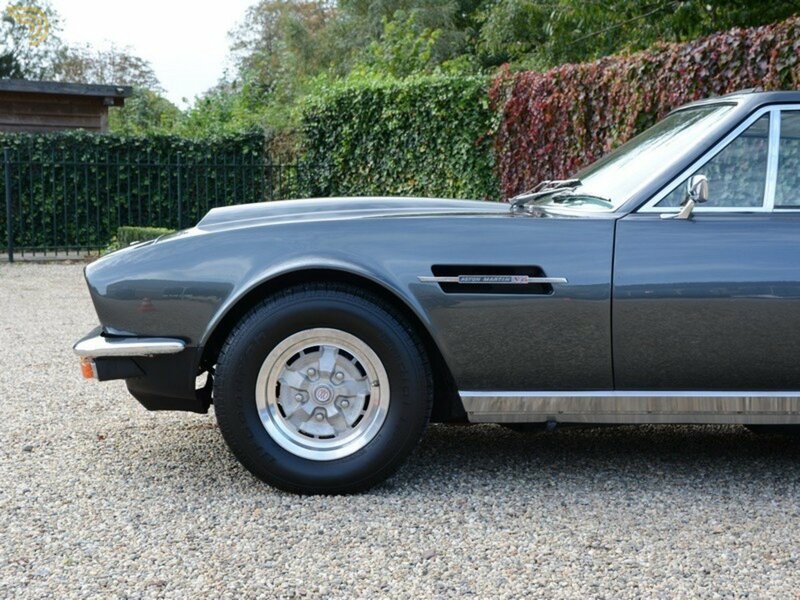 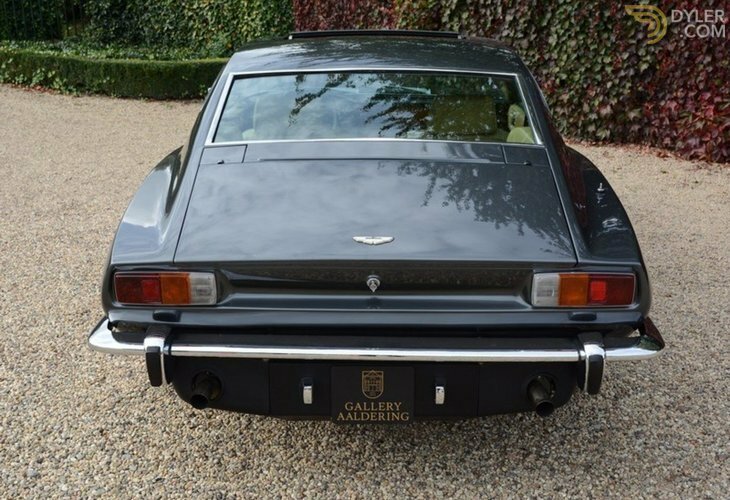 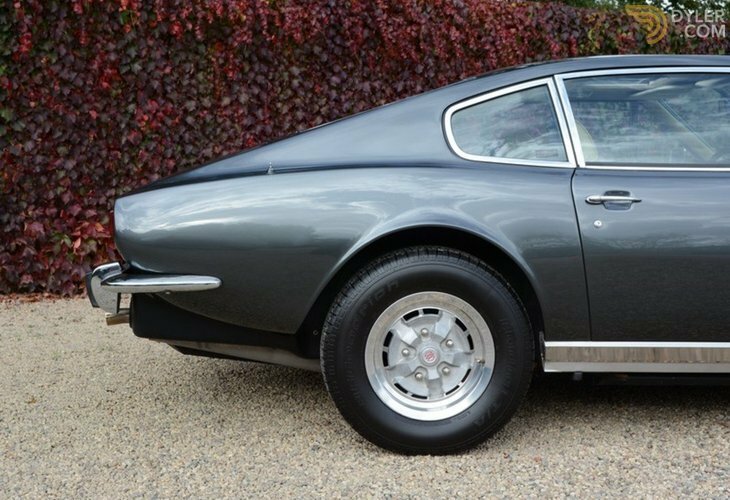 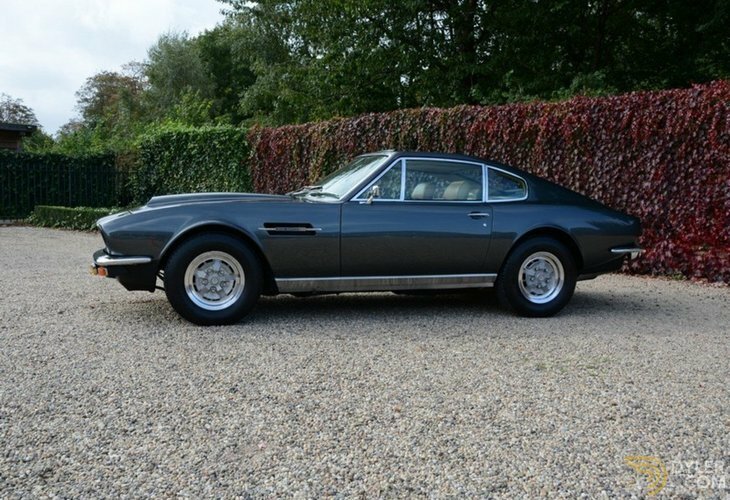 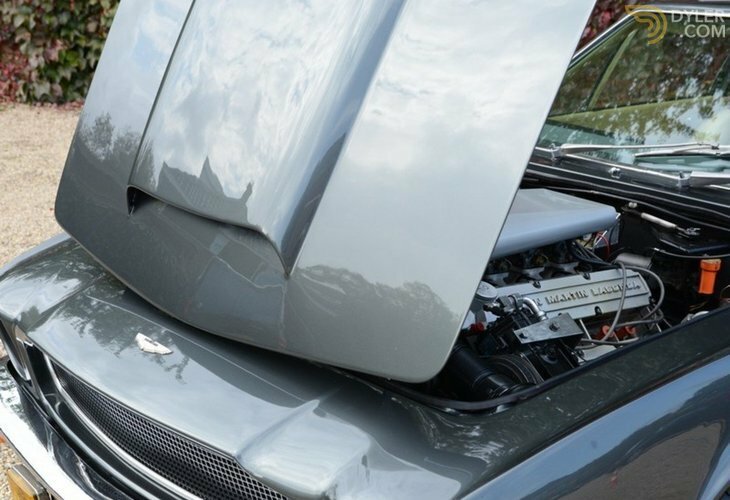 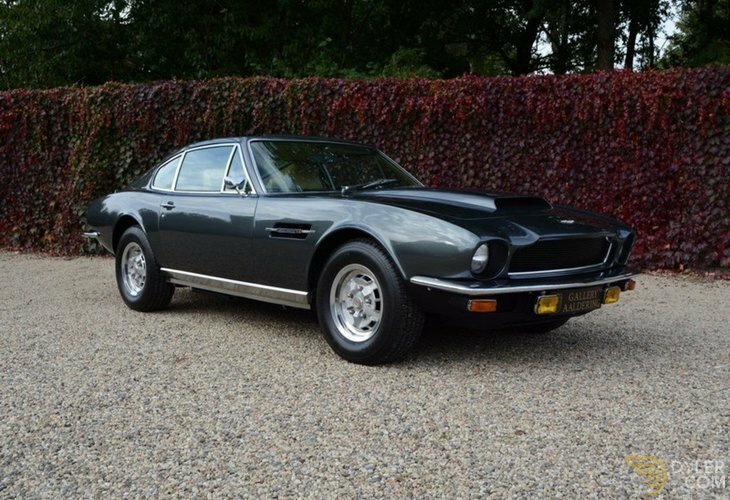 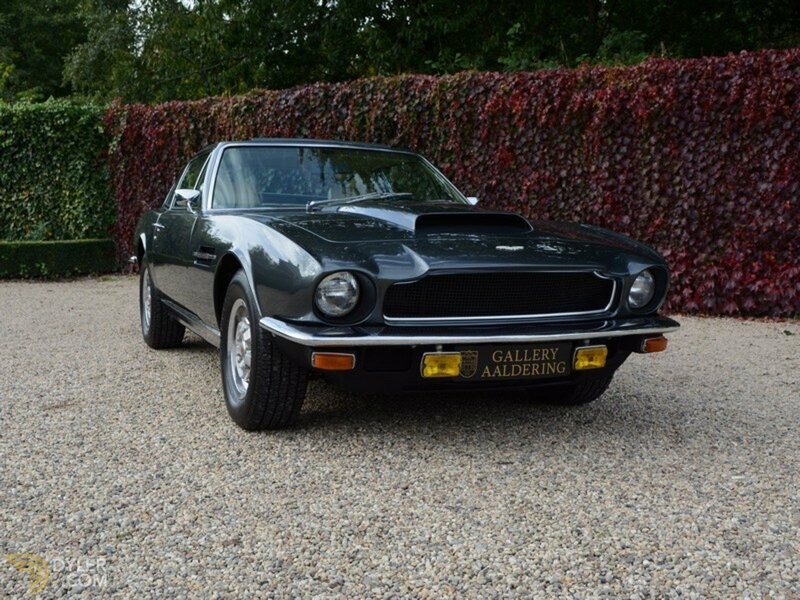 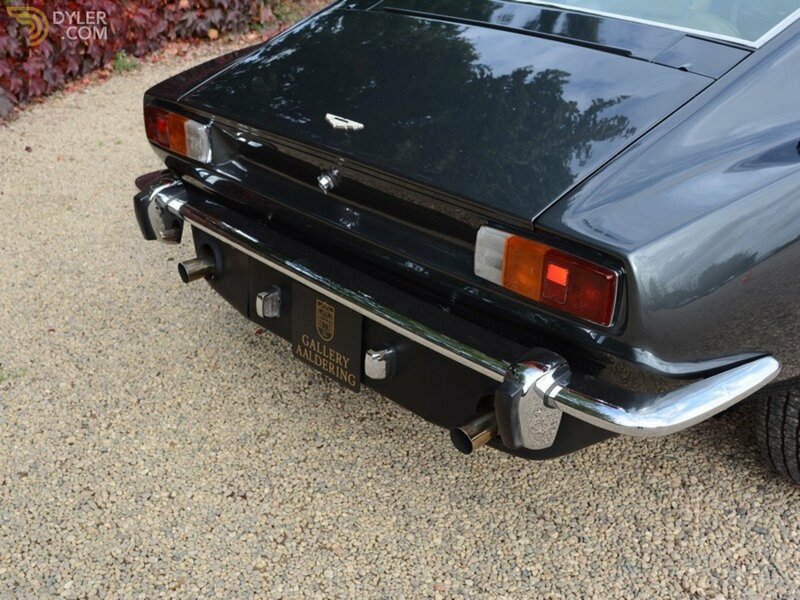 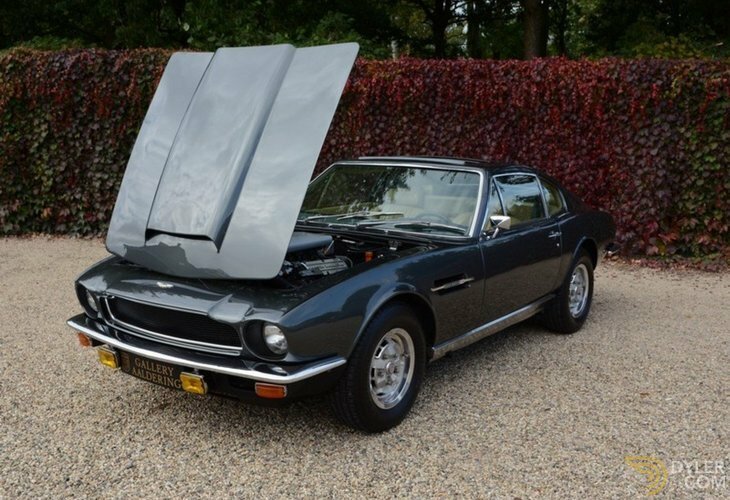 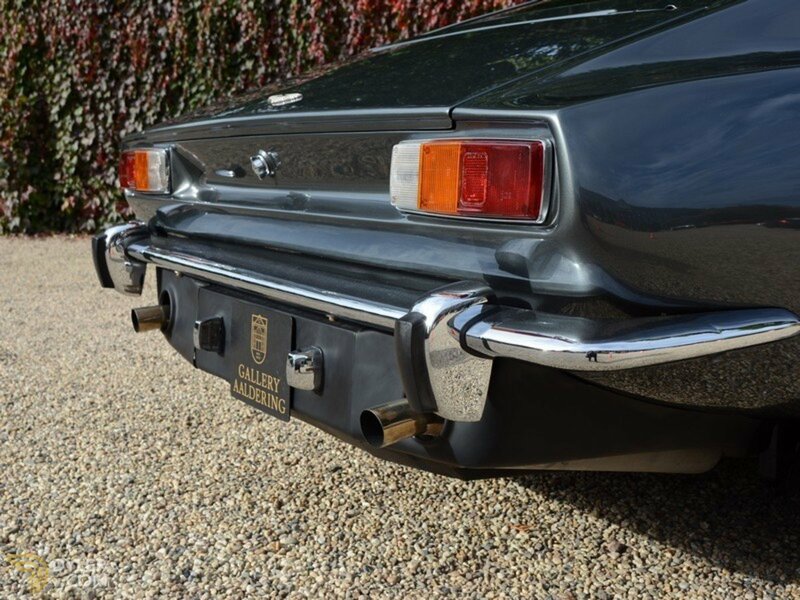 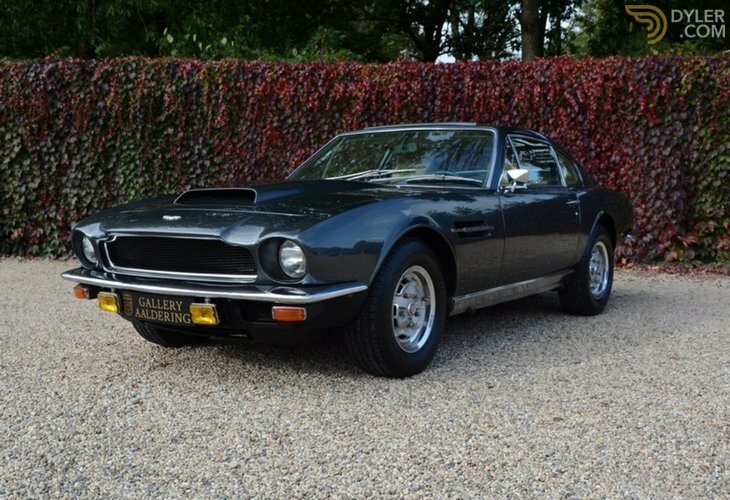 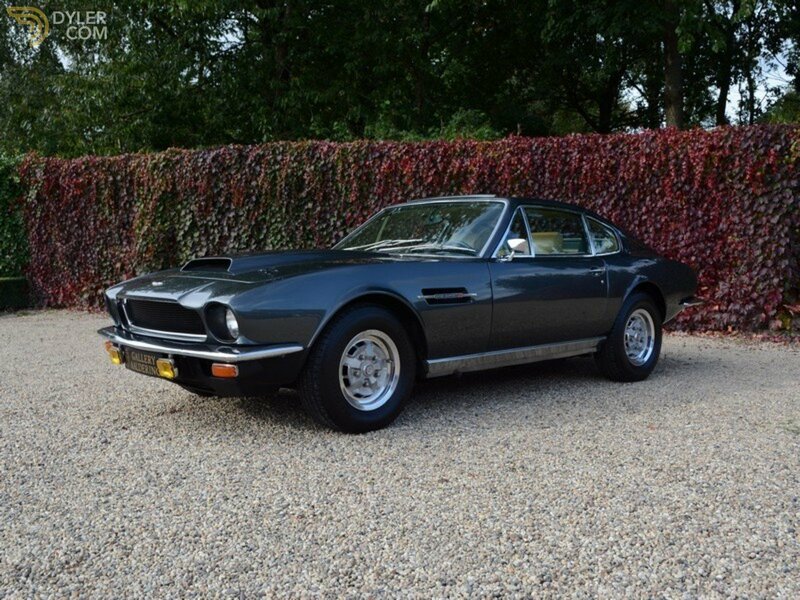 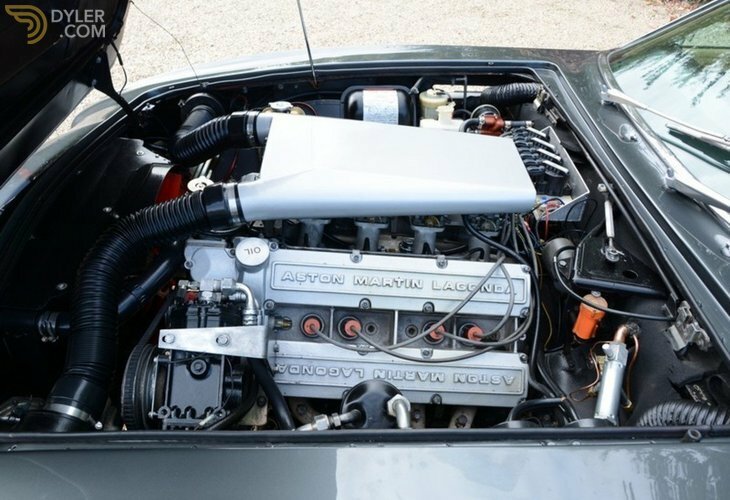 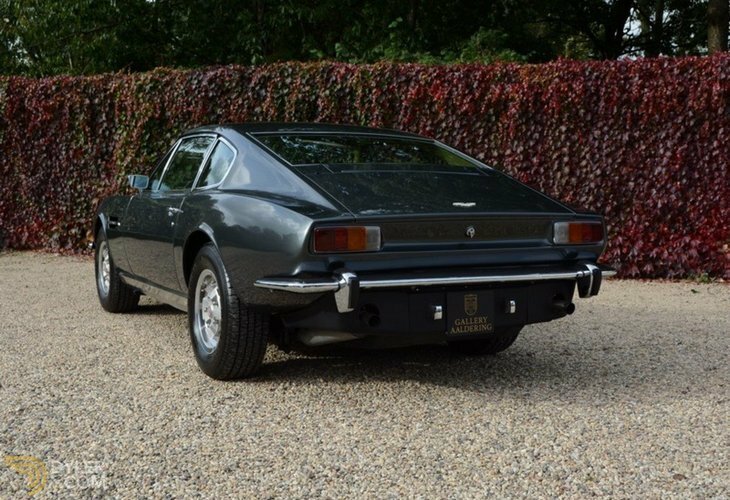 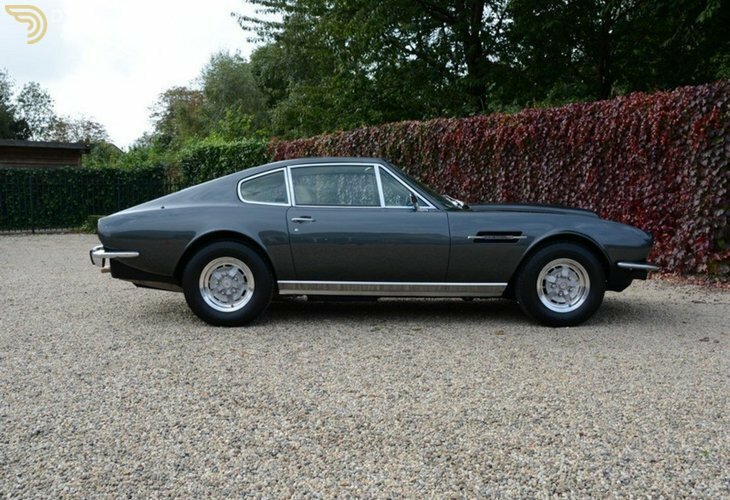 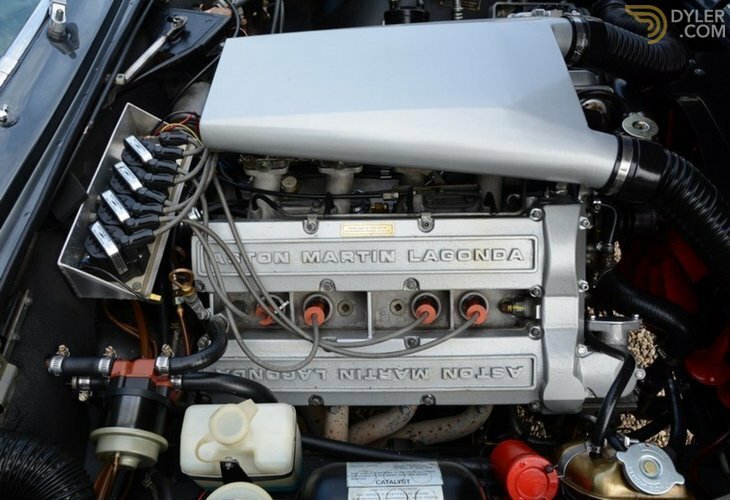 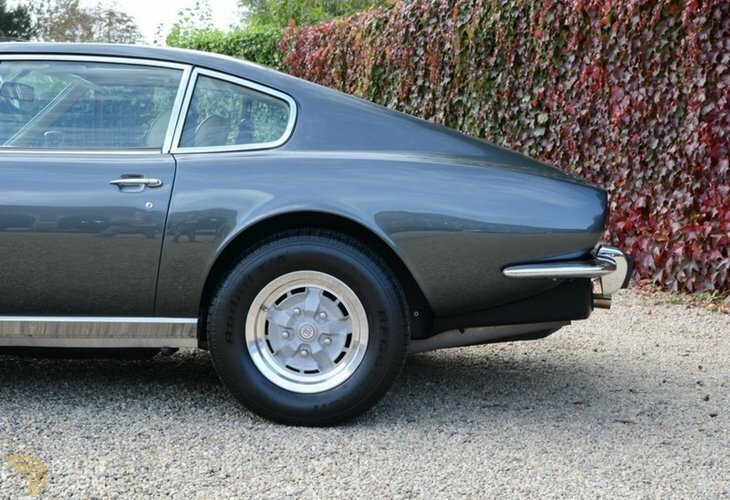 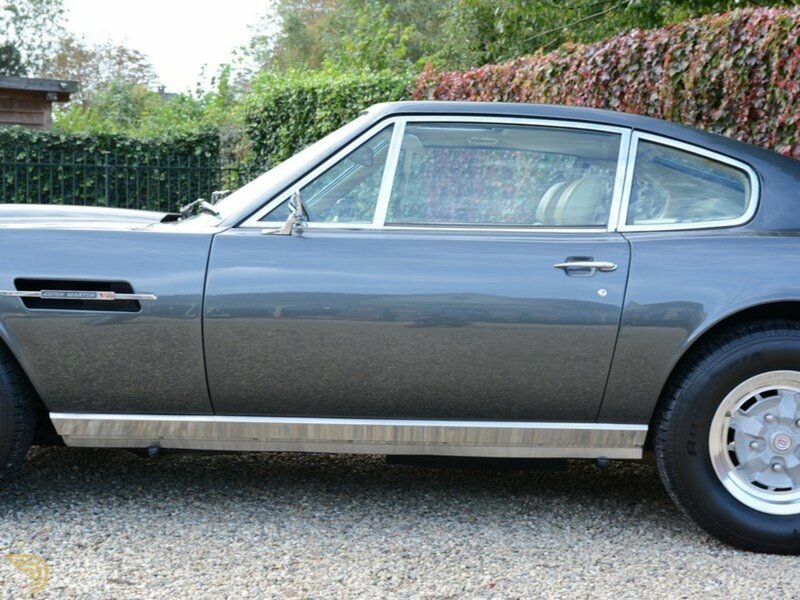 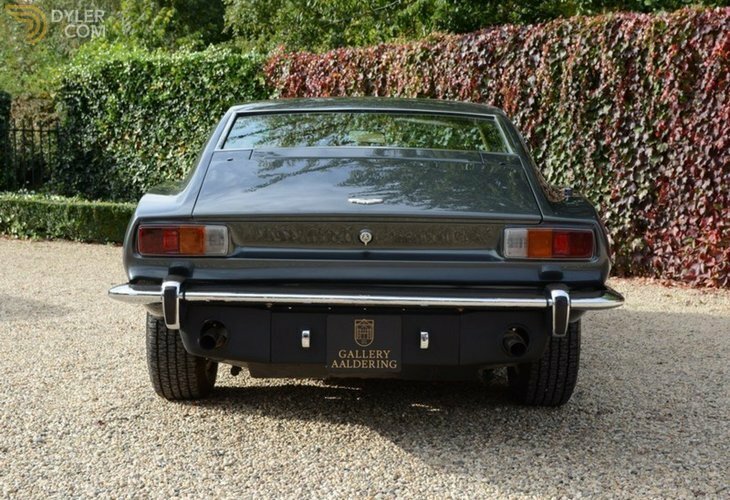 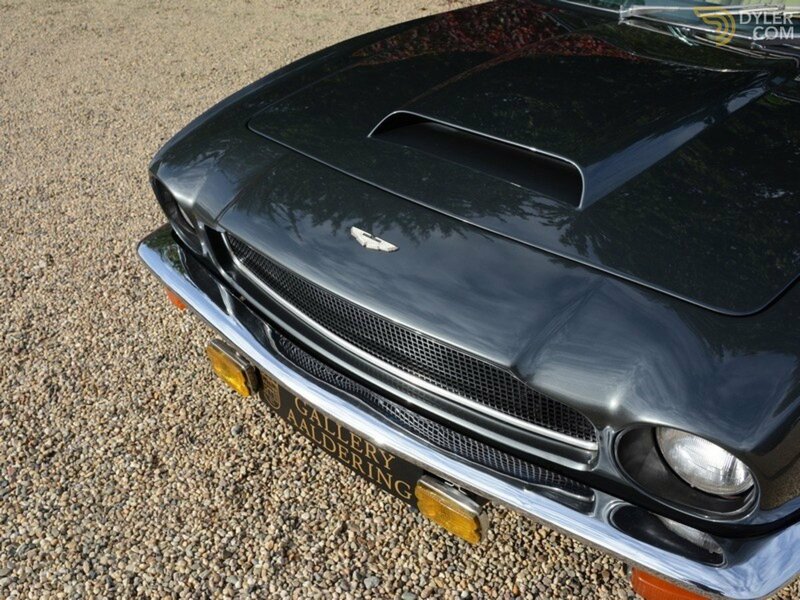 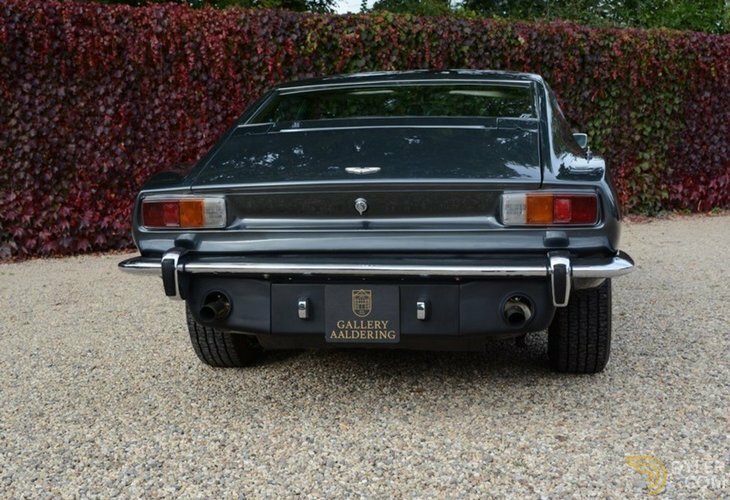 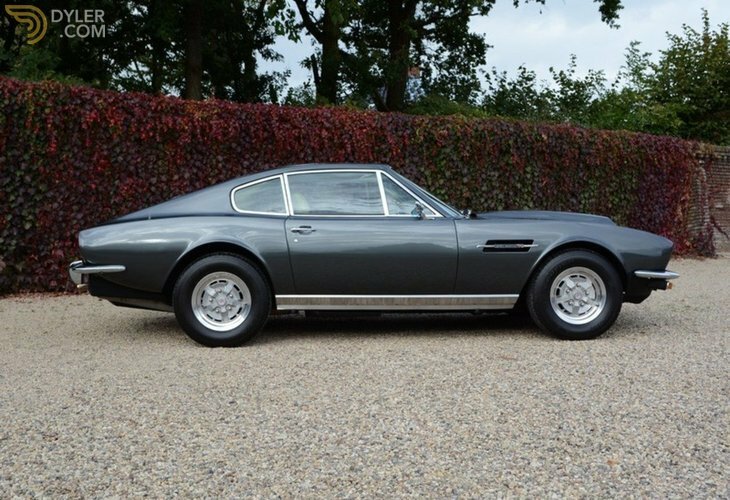 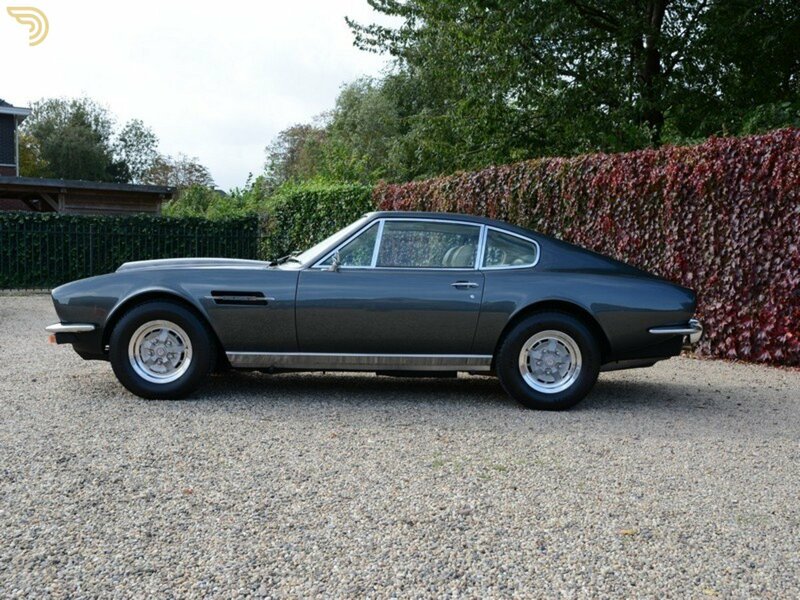 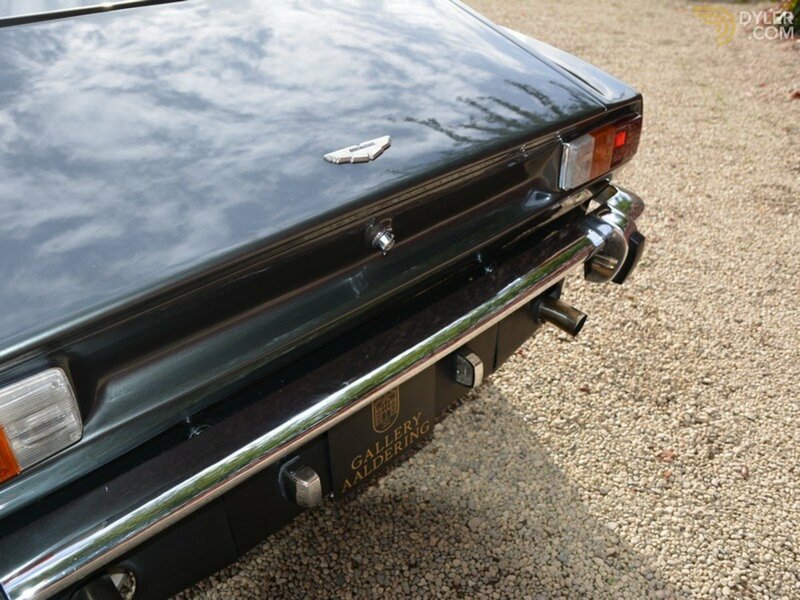 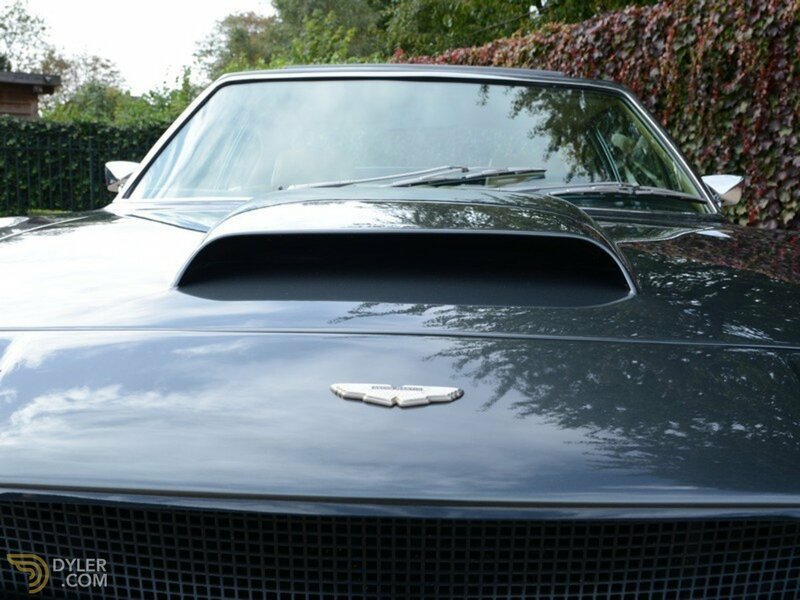 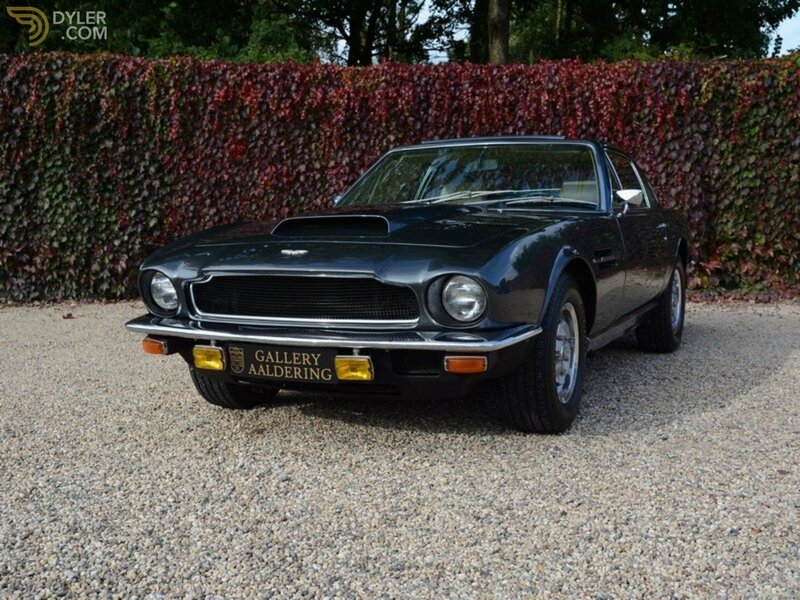 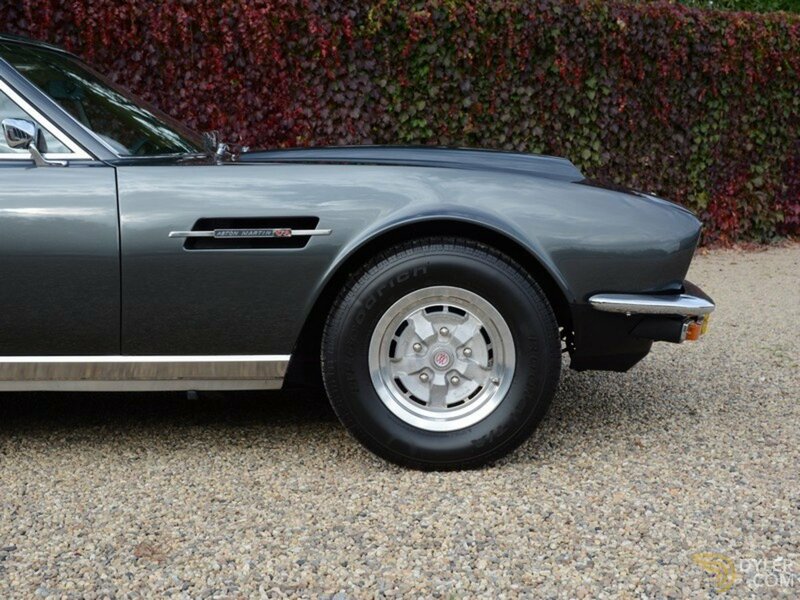 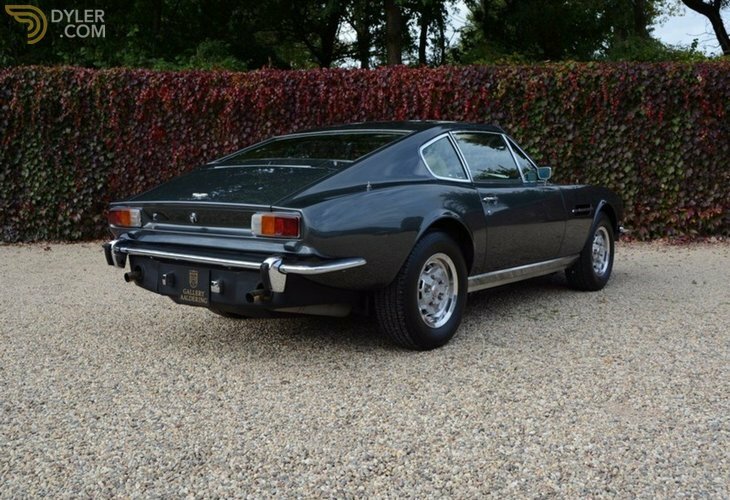 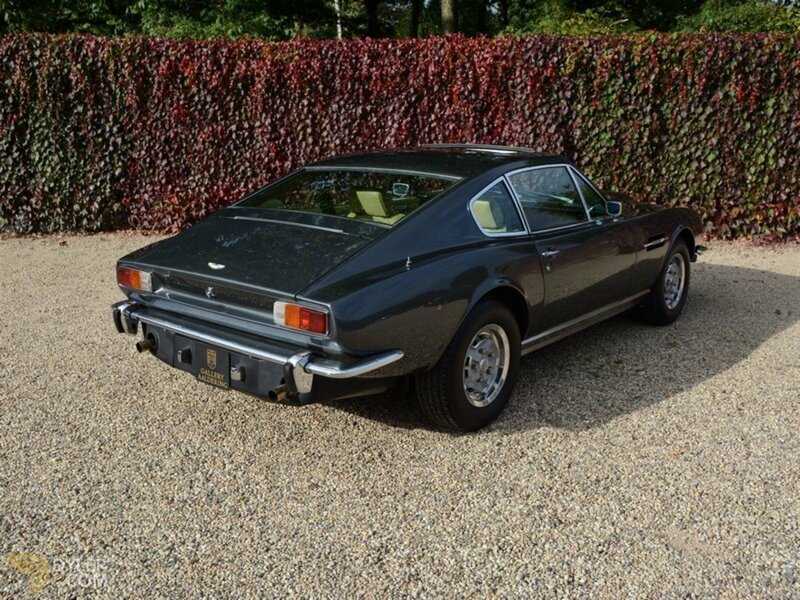 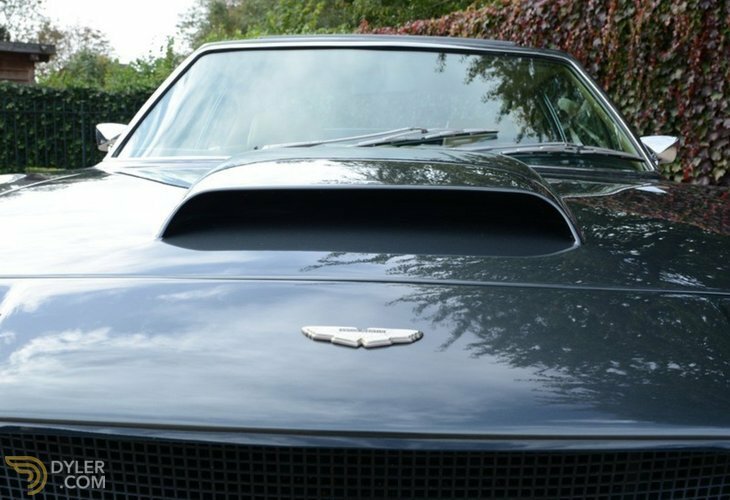 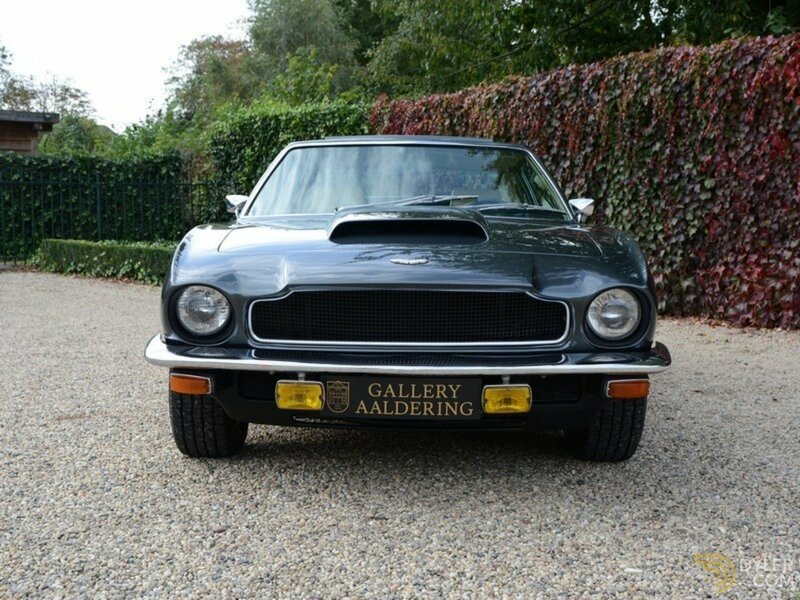 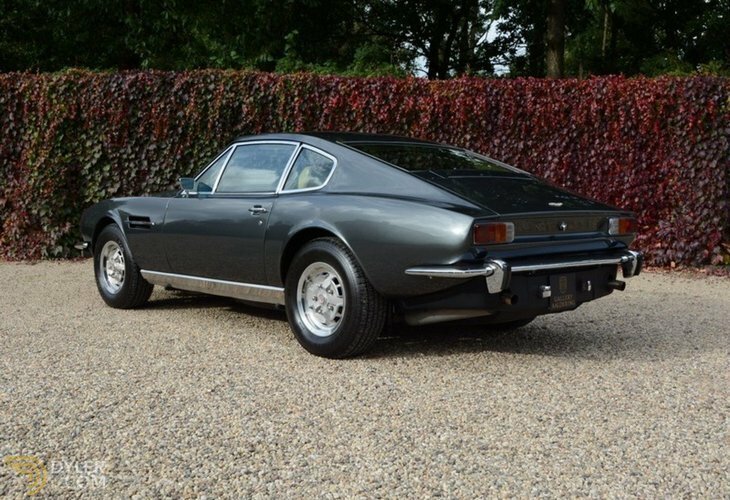 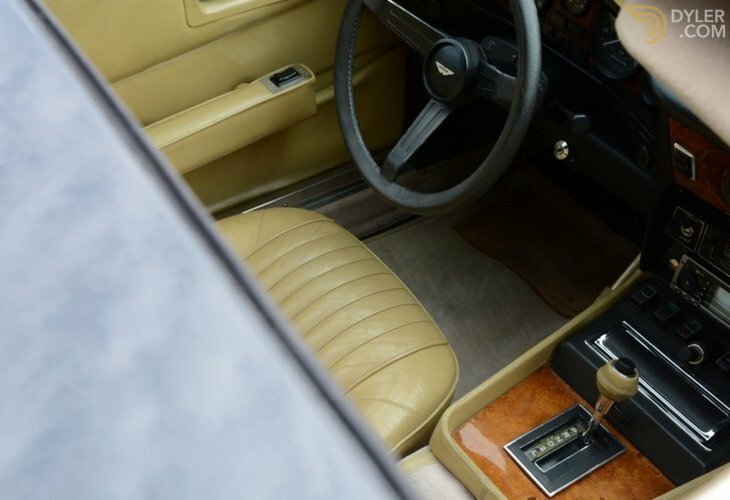 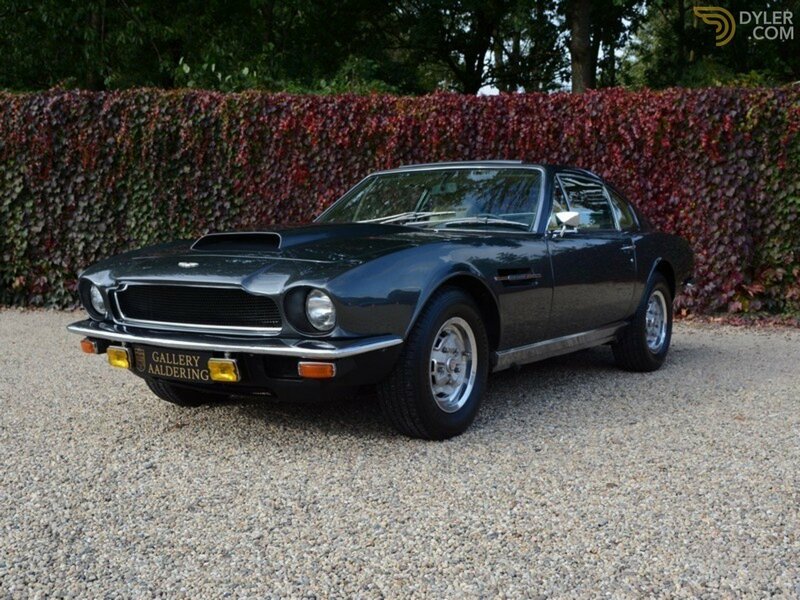 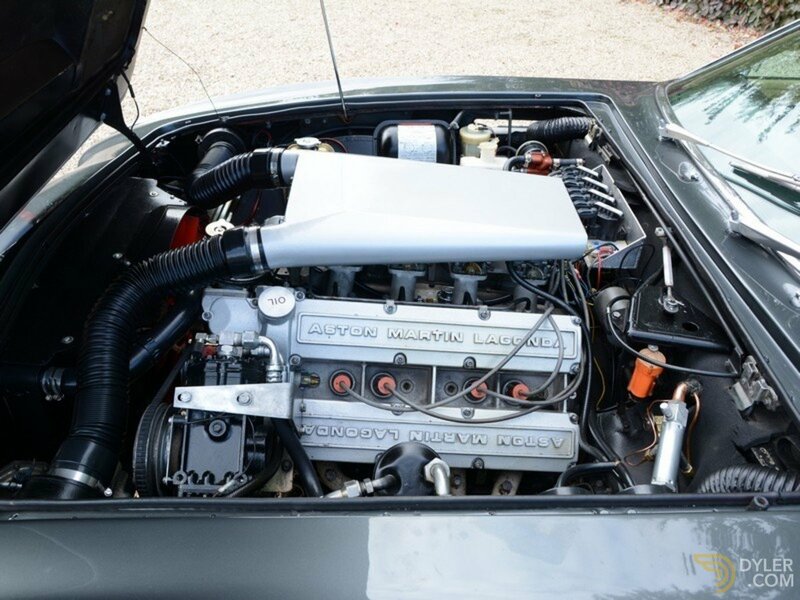 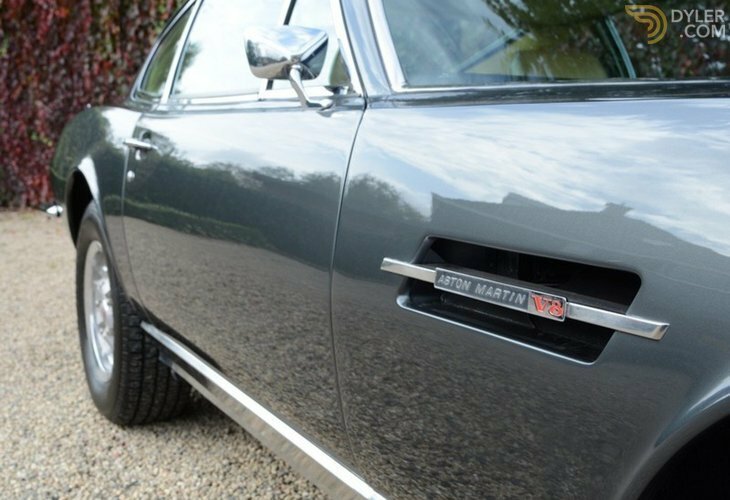 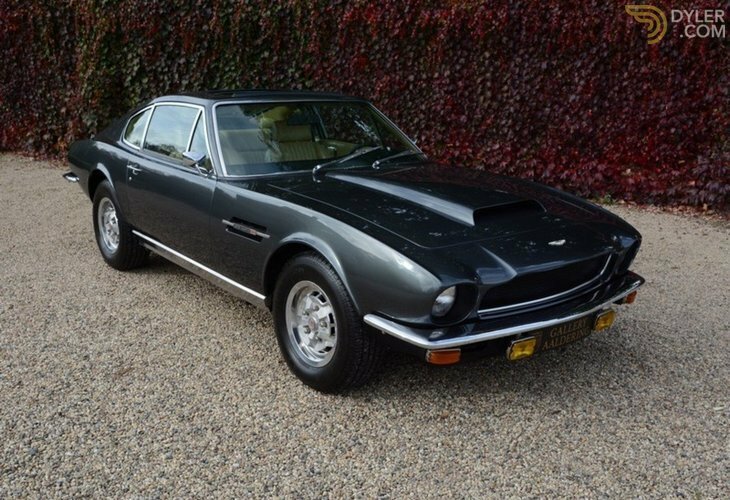 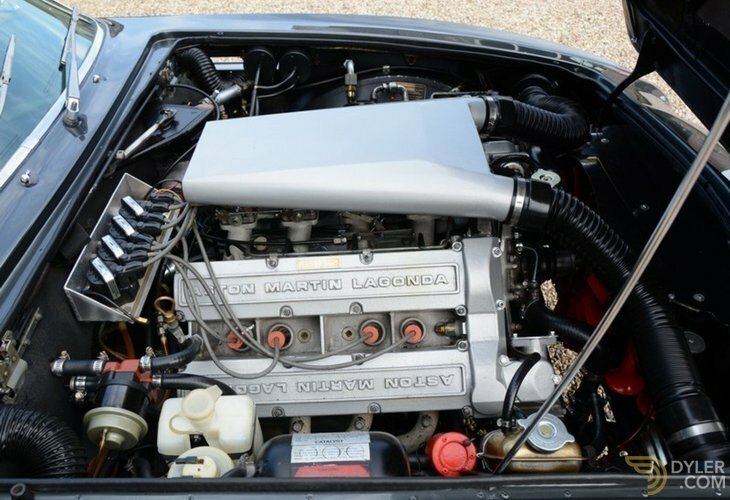 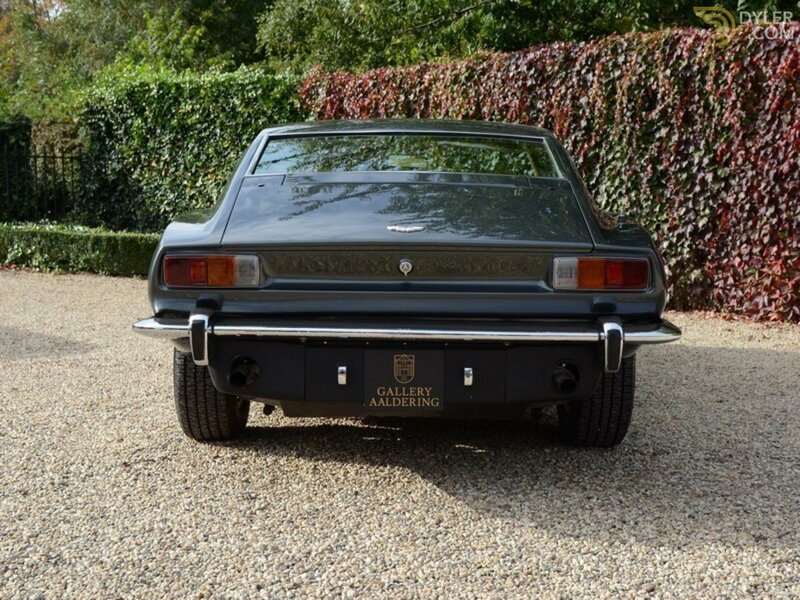 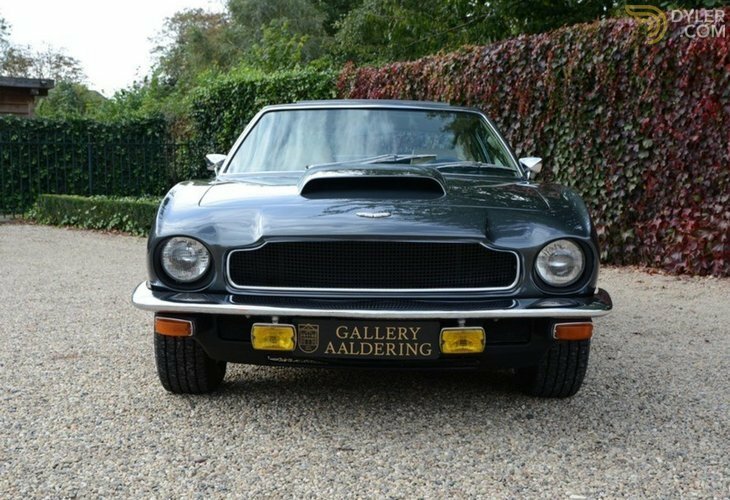 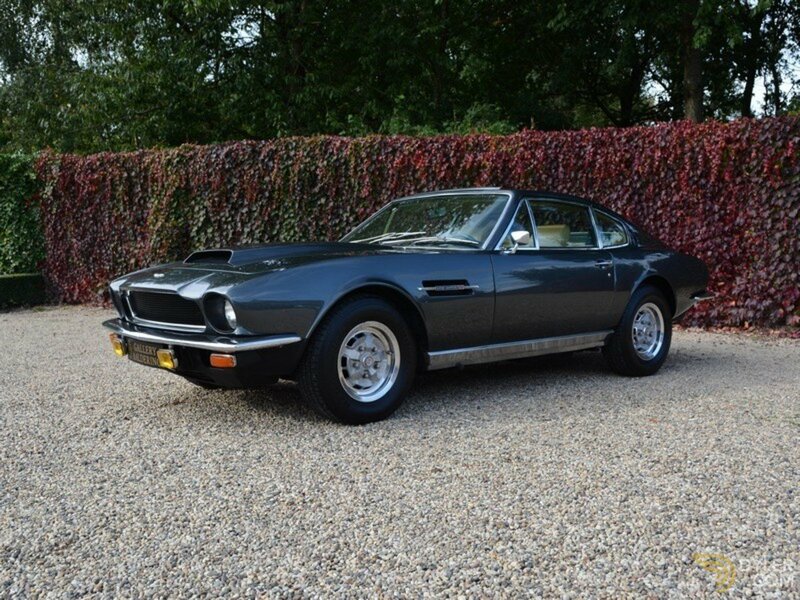 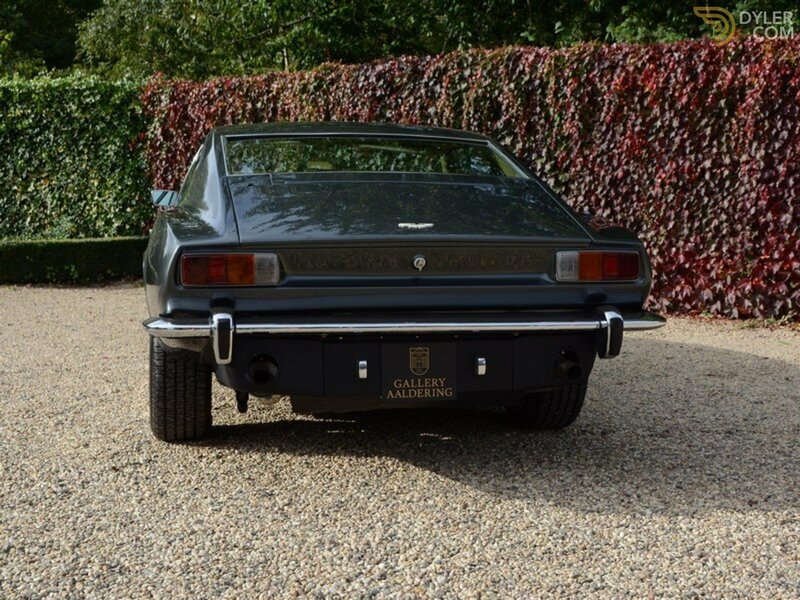 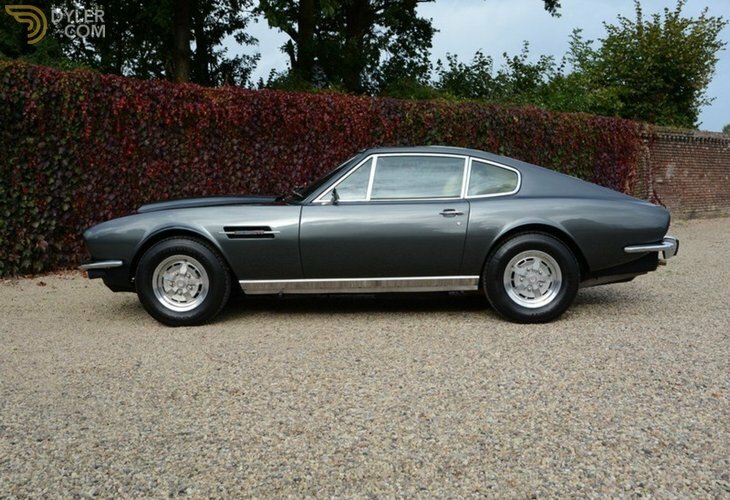 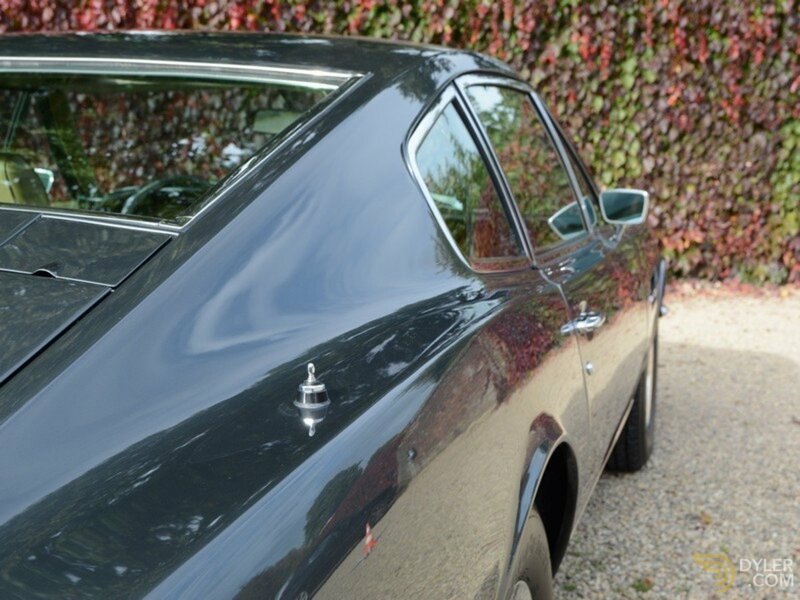 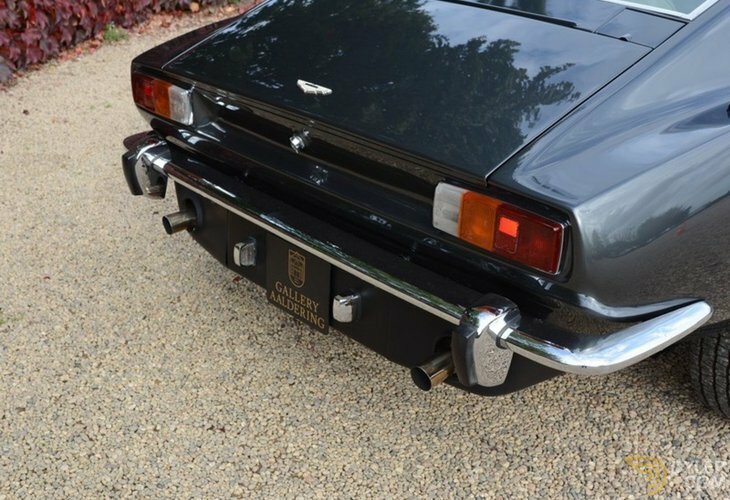 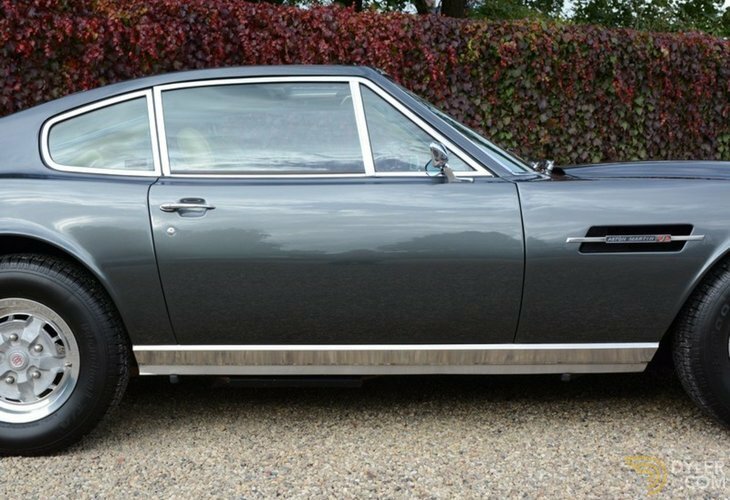 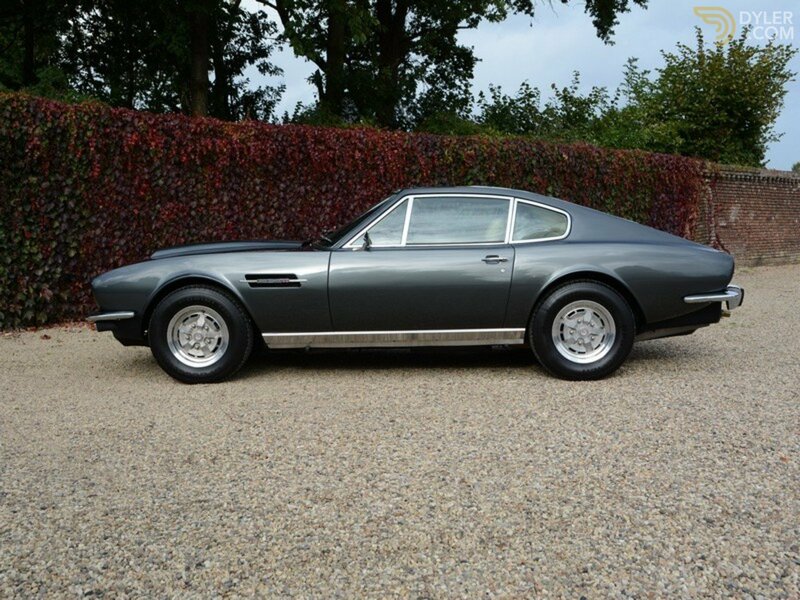 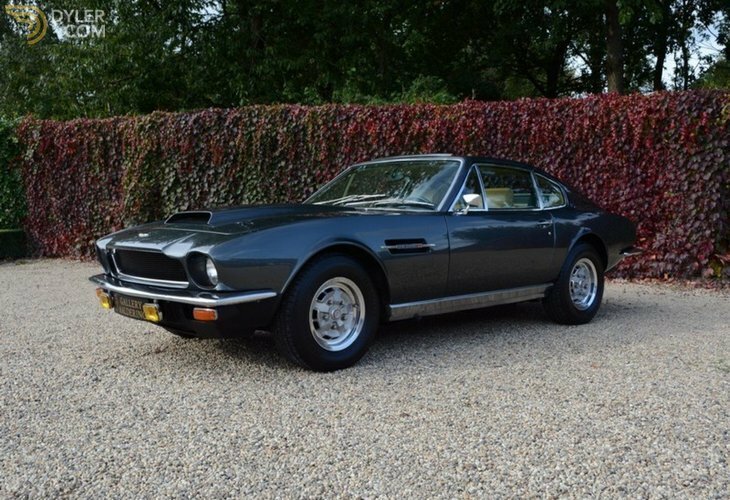 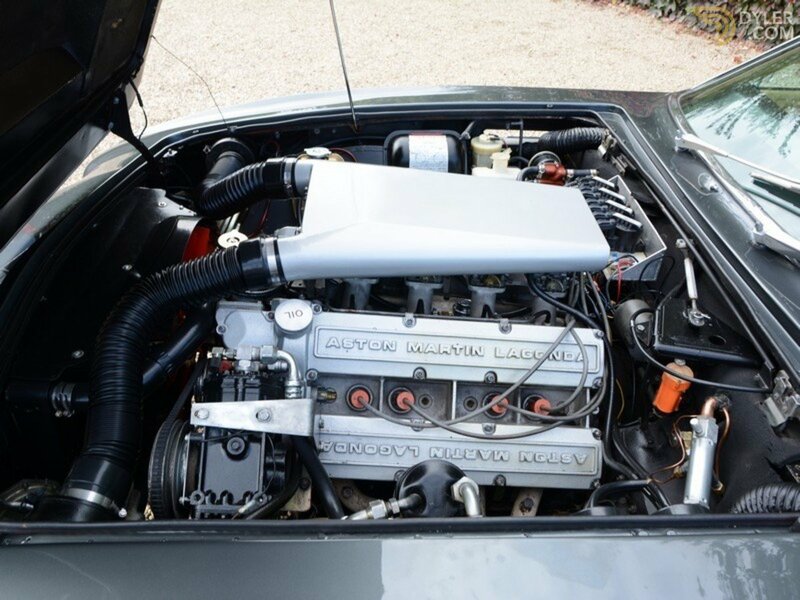 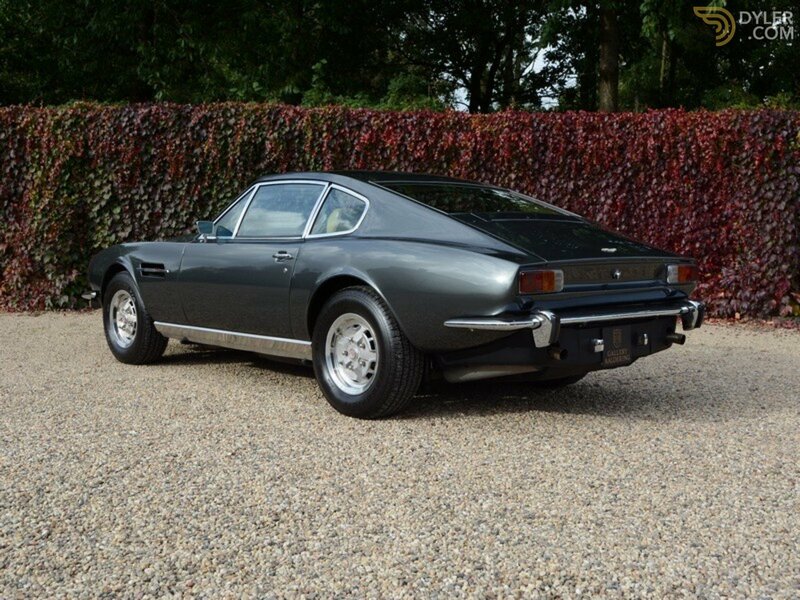 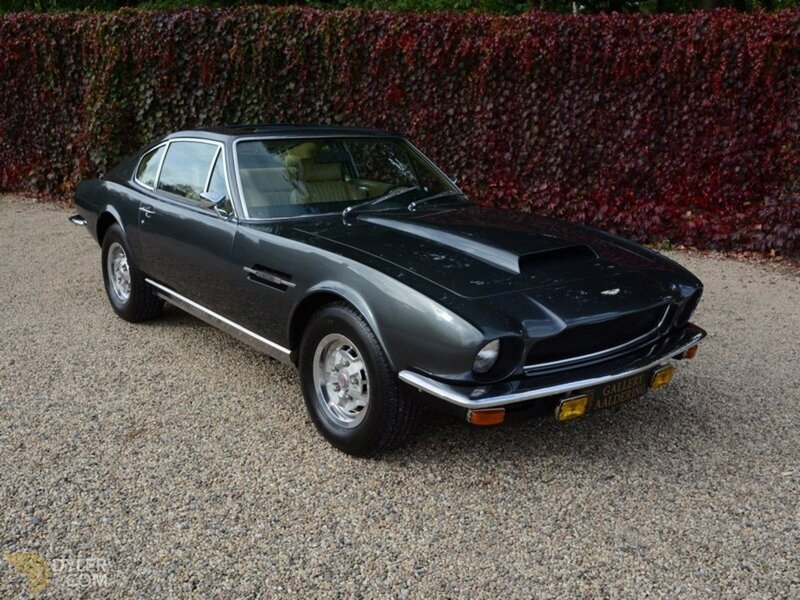 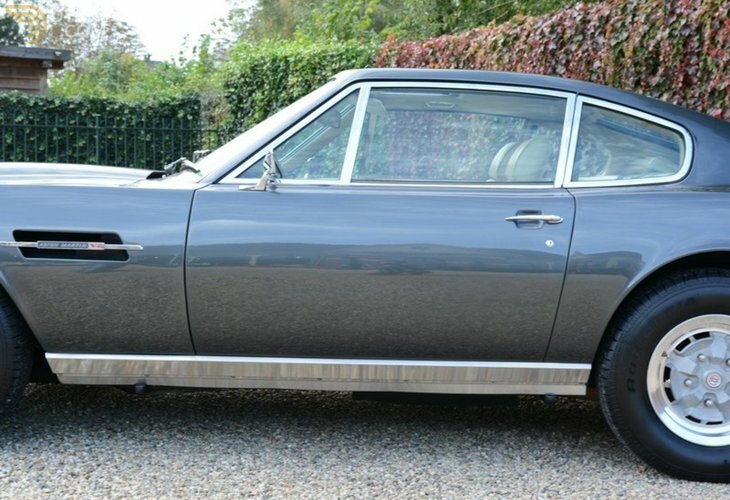 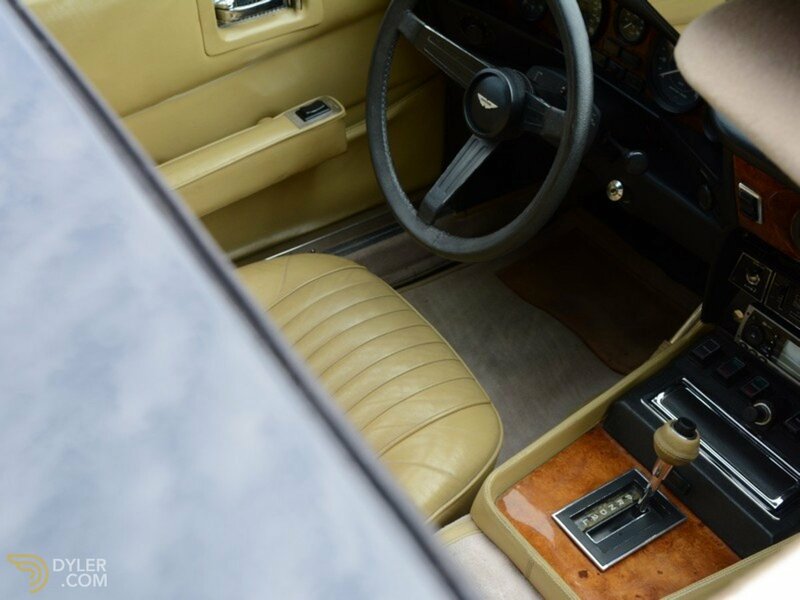 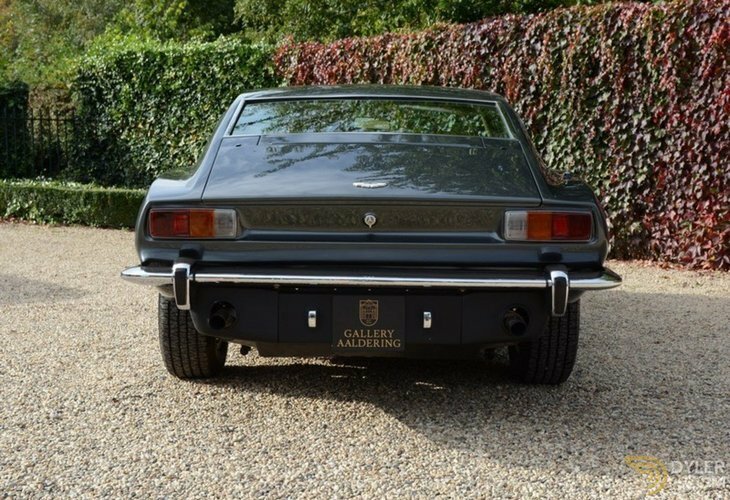 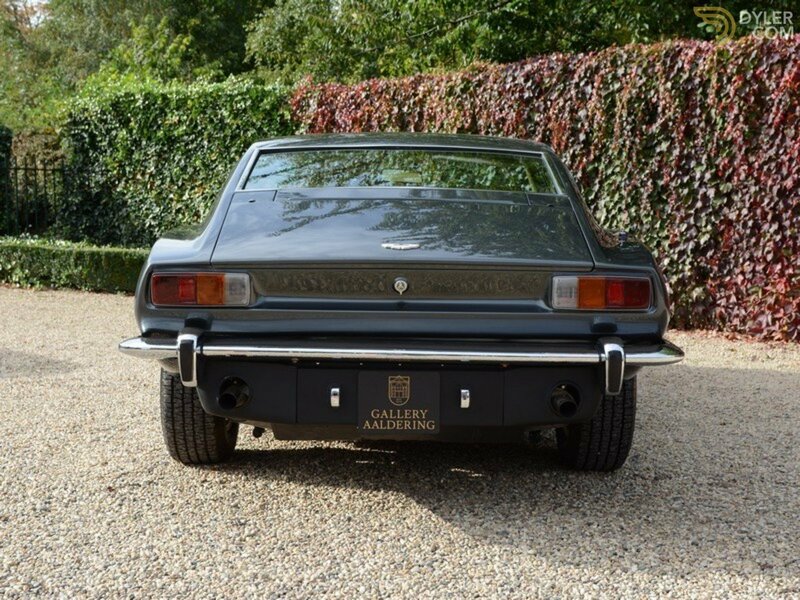 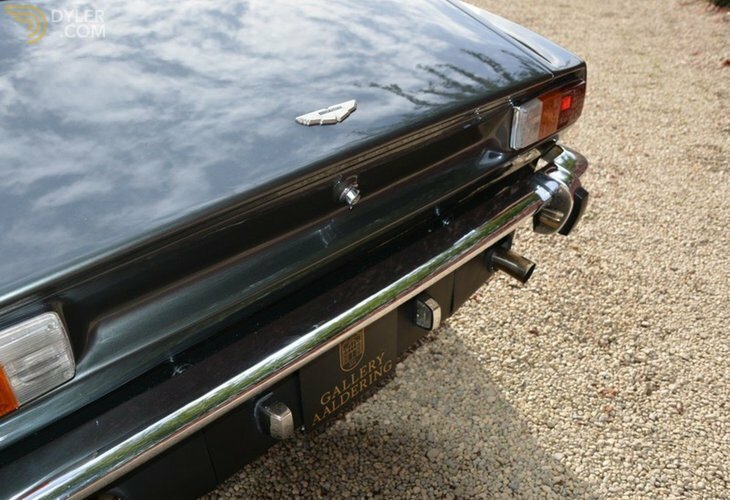 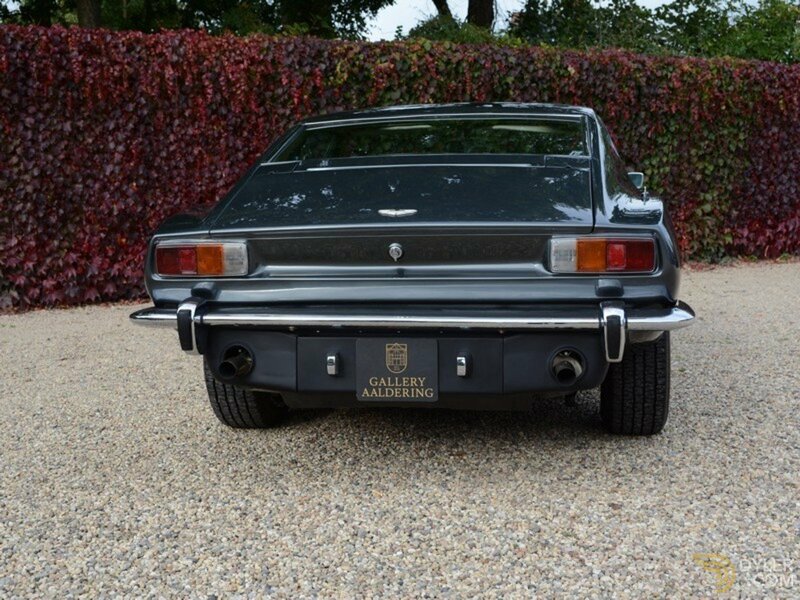 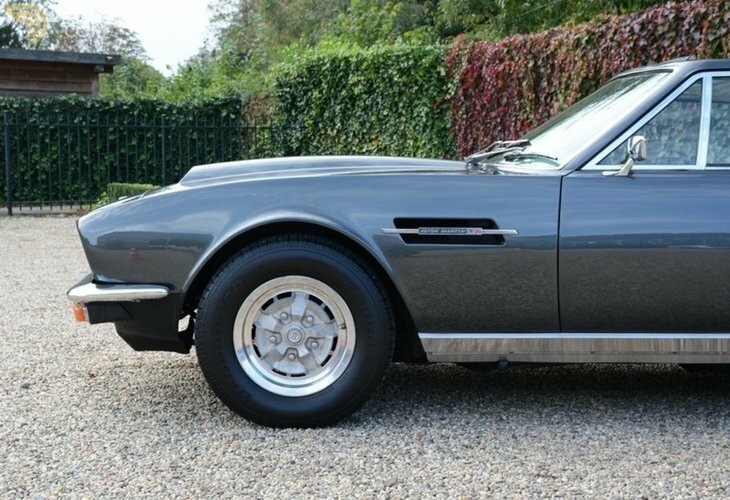 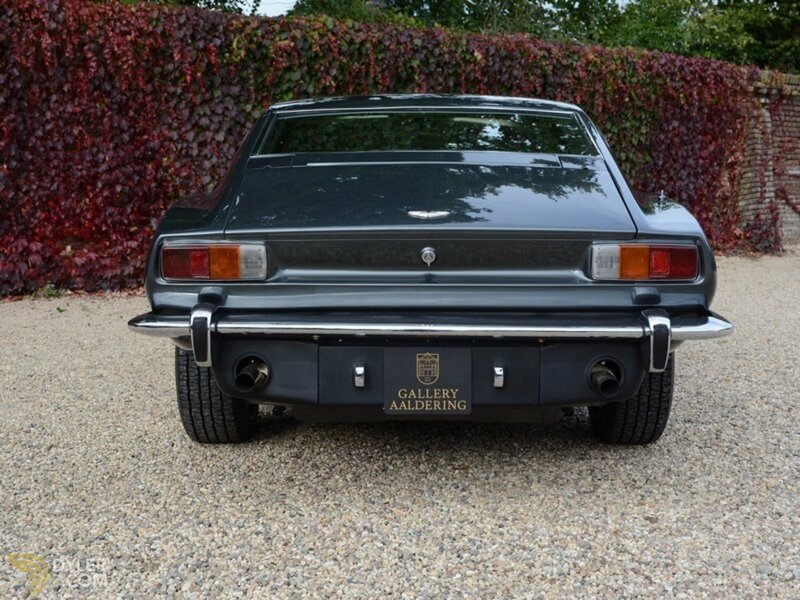 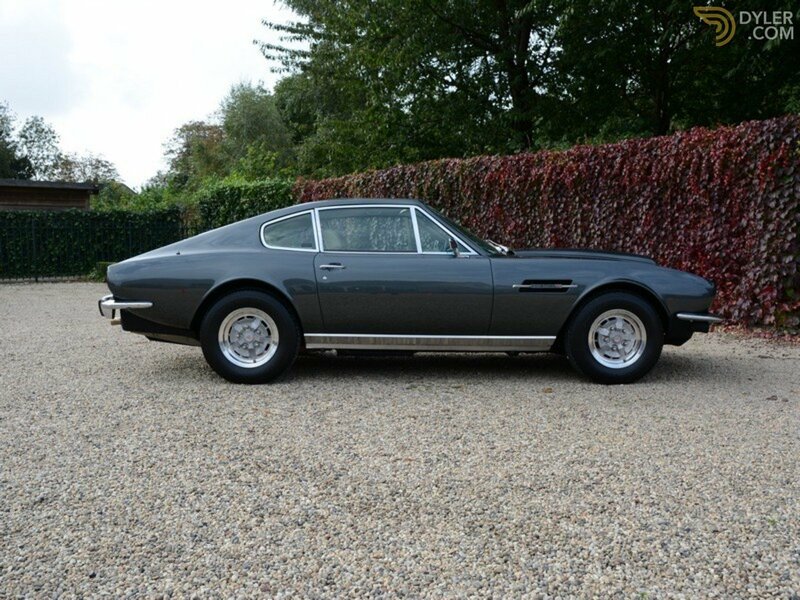 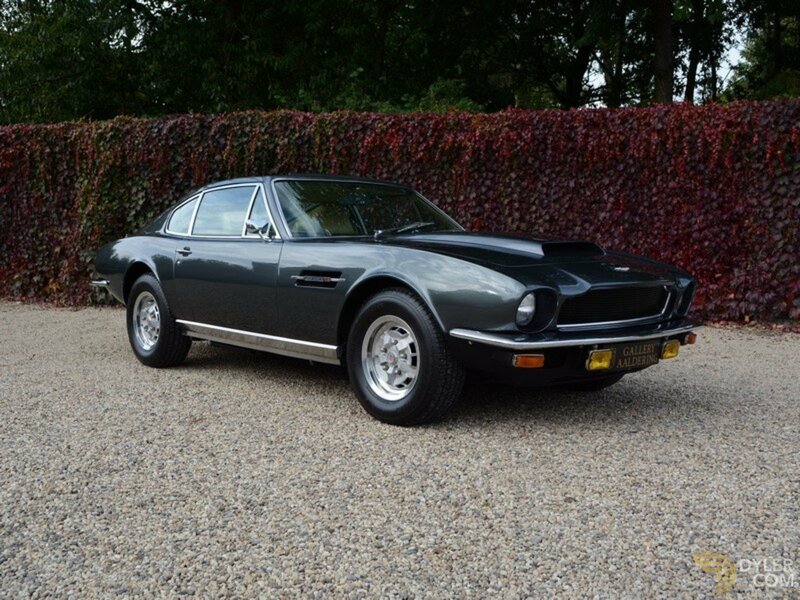 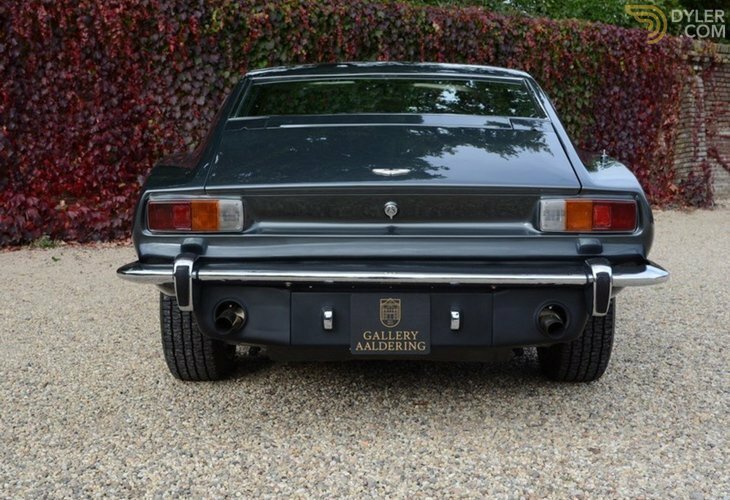 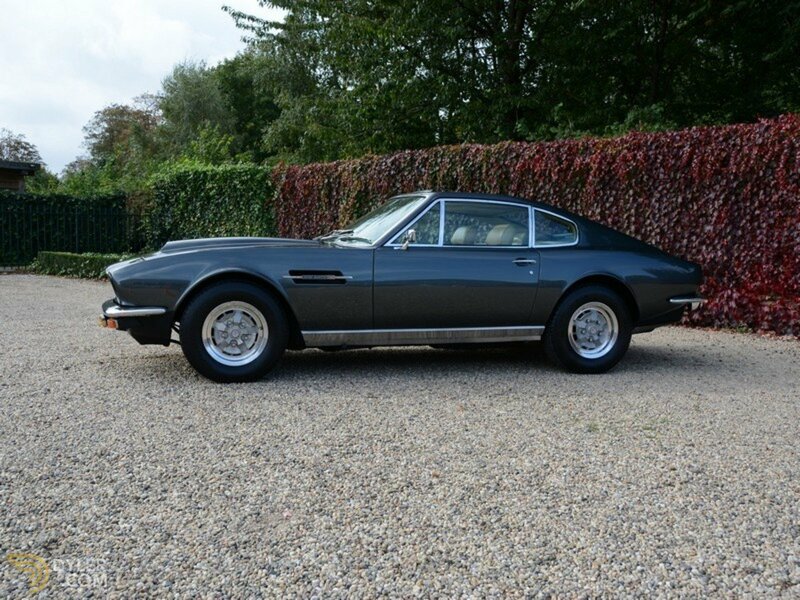 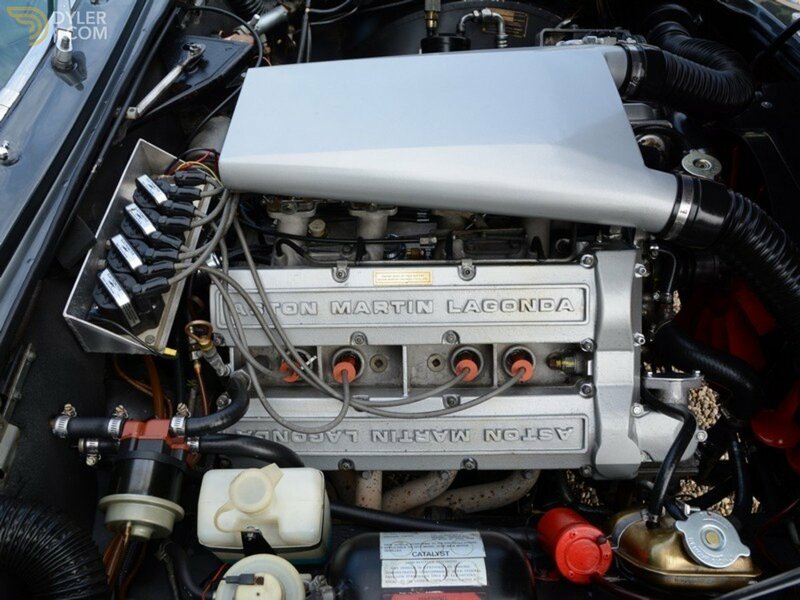 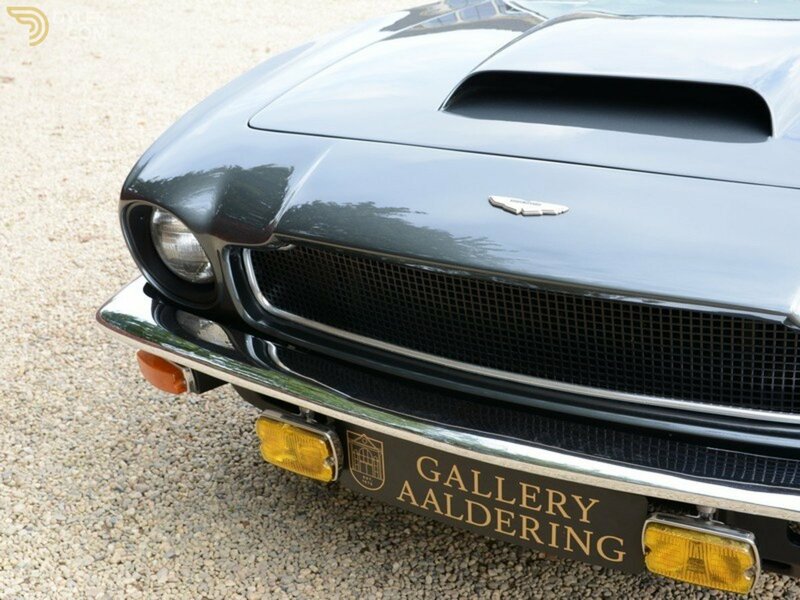 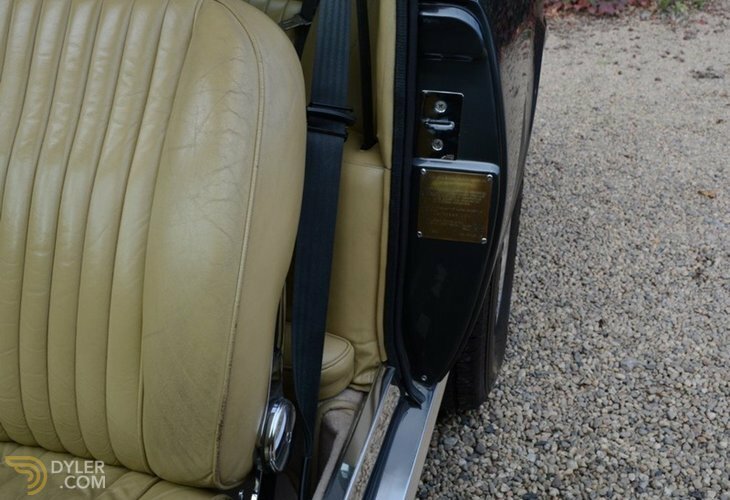 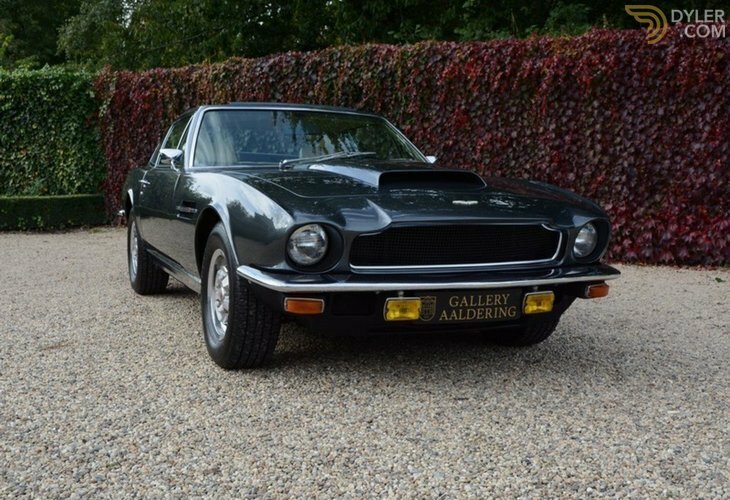 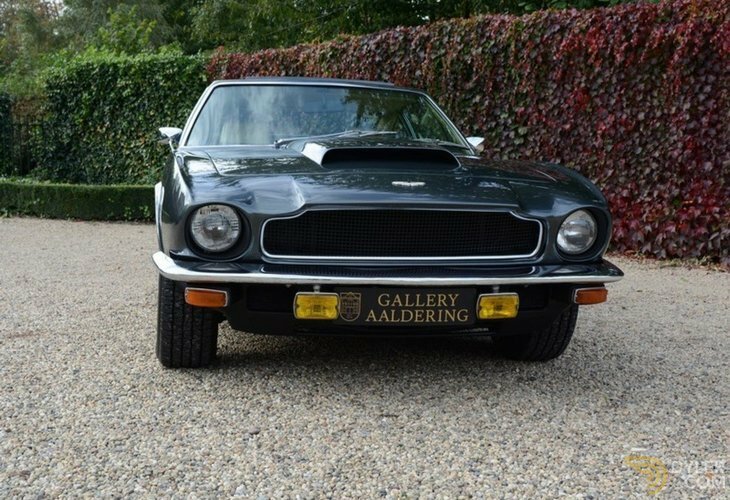 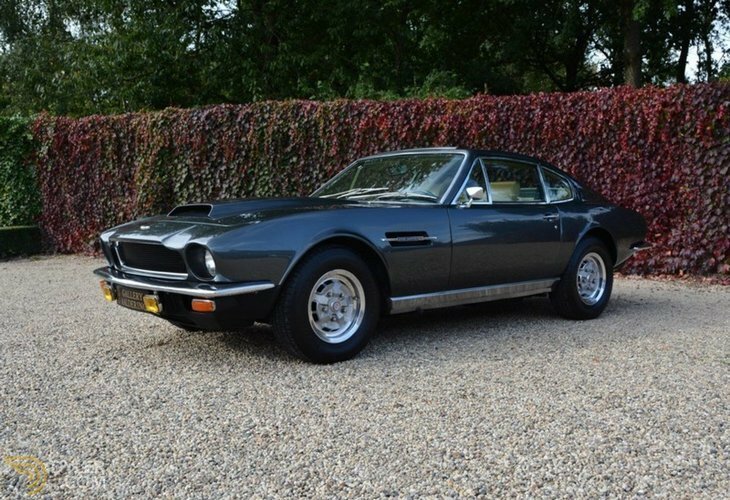 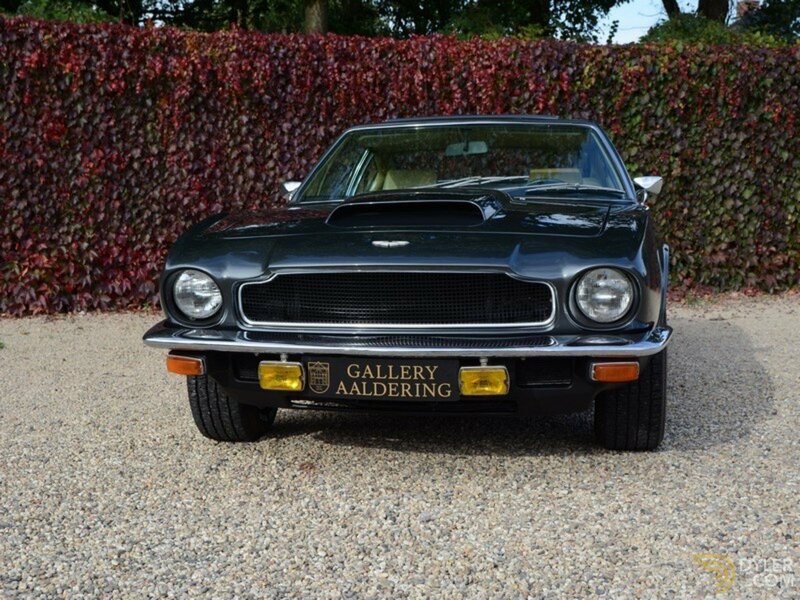 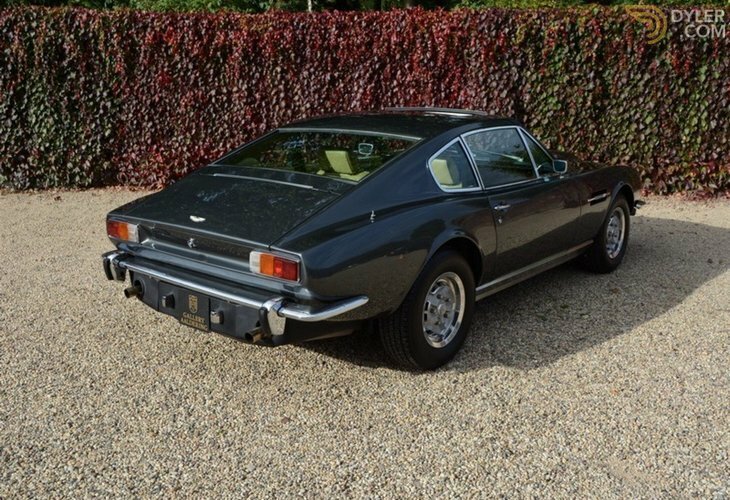 We have seldom come across such a lovely and authentic, well-documented Aston V8!